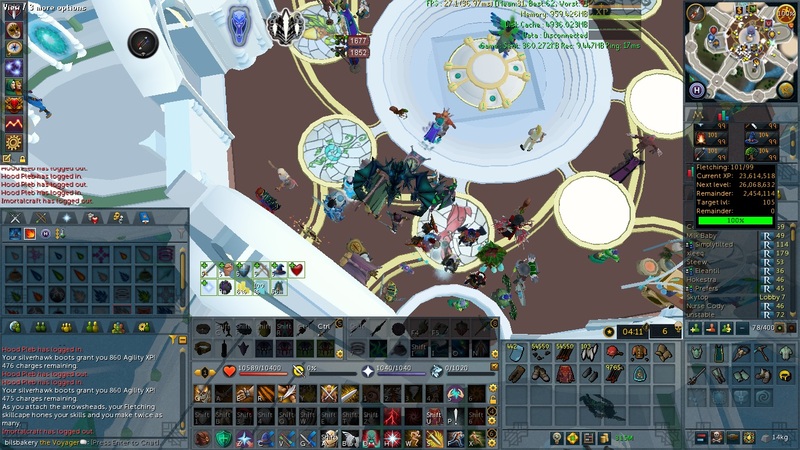 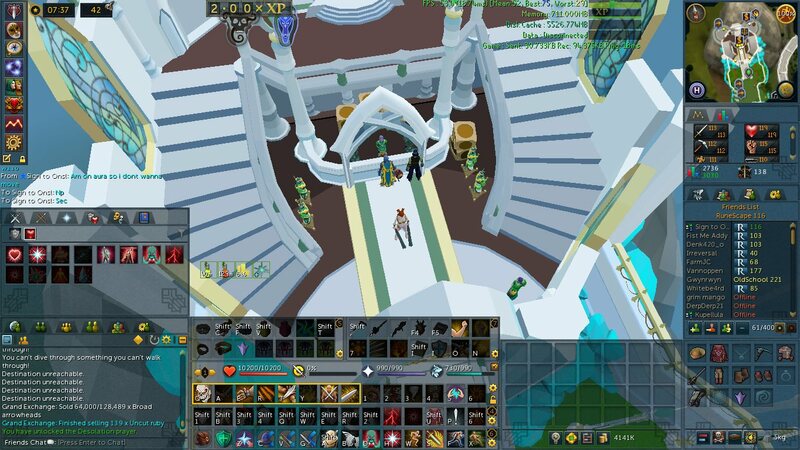 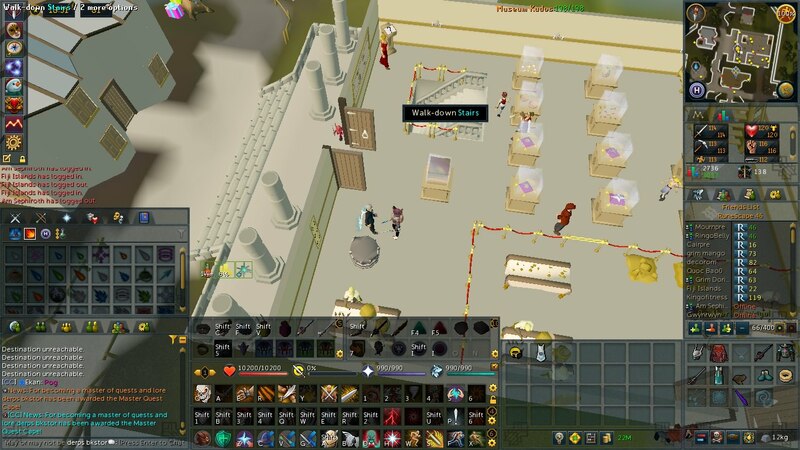 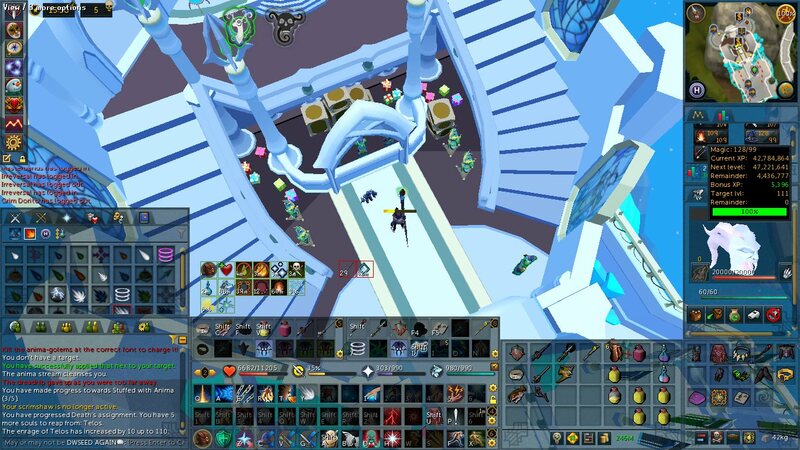 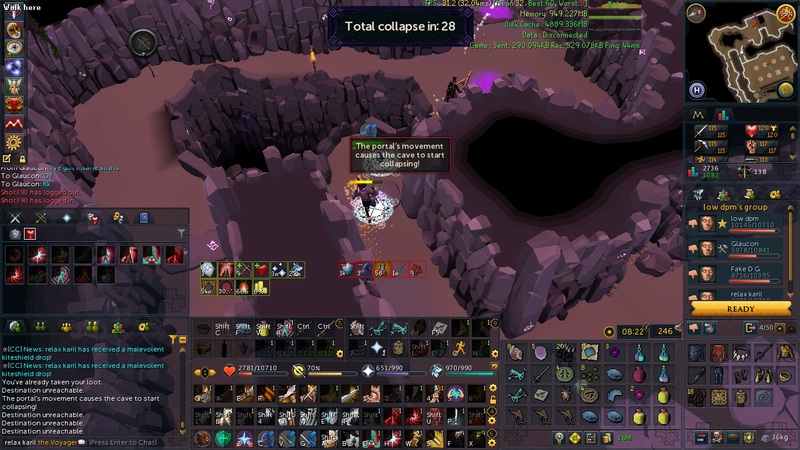 350m debt paid off + Tenacity finally obtained @ 2882 KC... man towards the end I really really started to hate that boss, I'm so glad it's finally over lol. 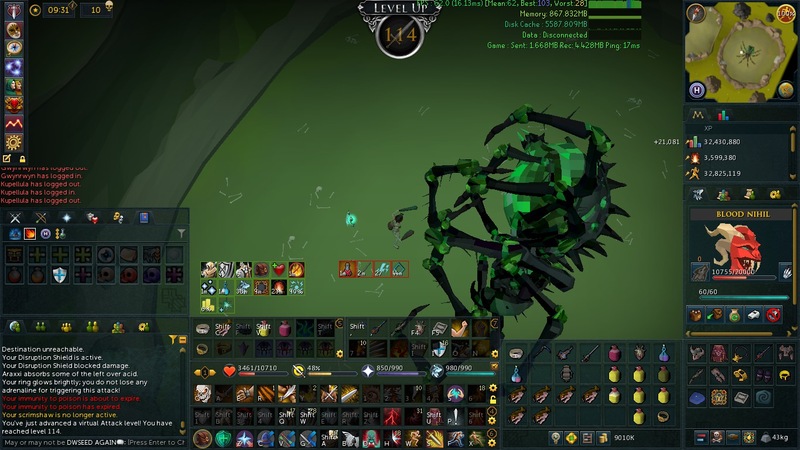 I'm not sure what I'll do next but it'll probably be a lot of ROTS, AOD, rago and solak learning, and pushing for EDG KC and log items. 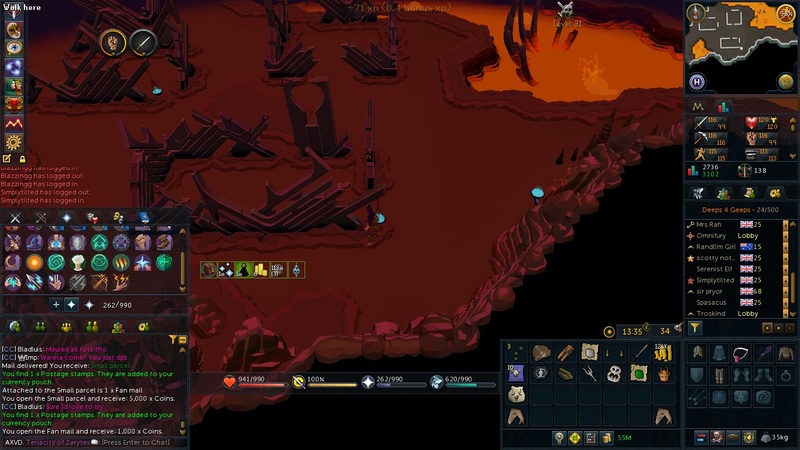 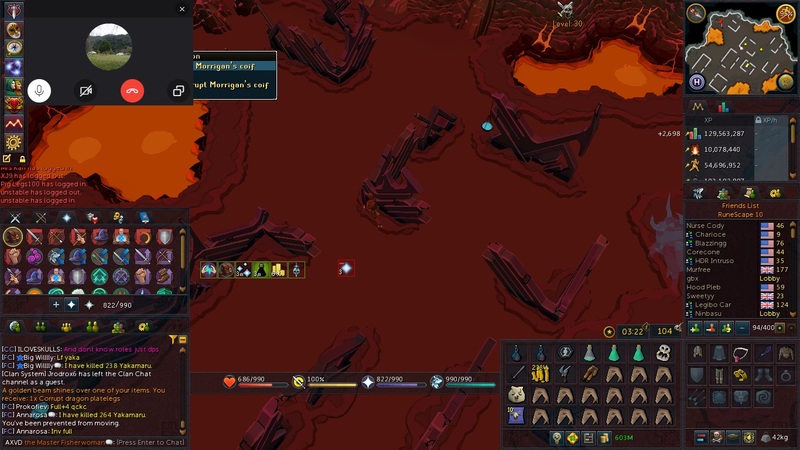 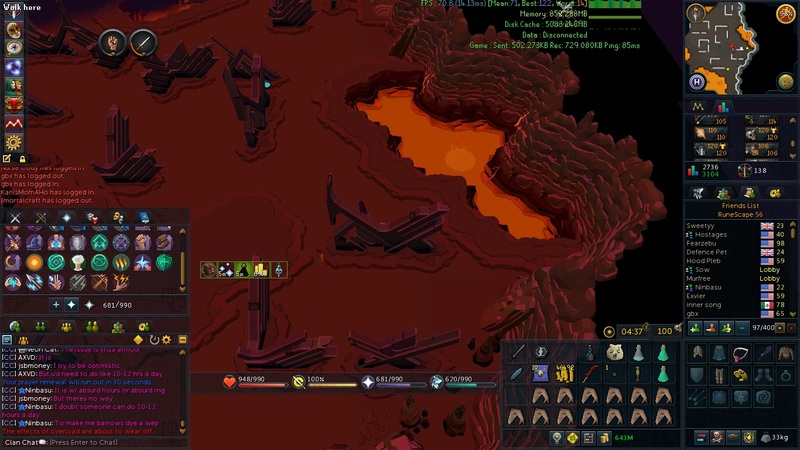 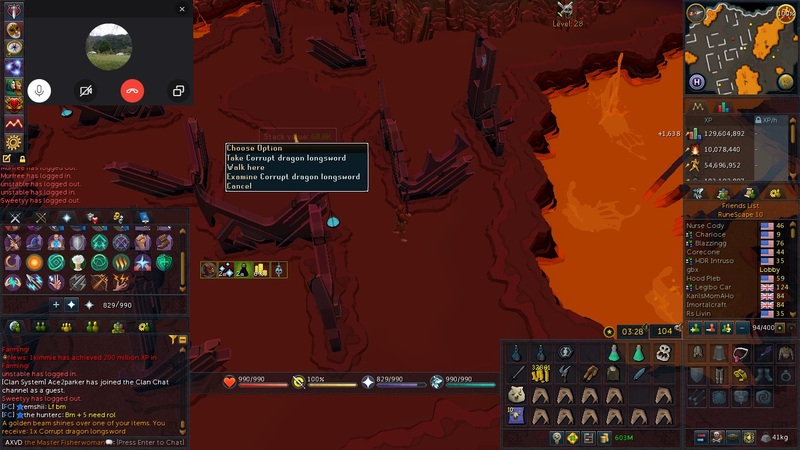 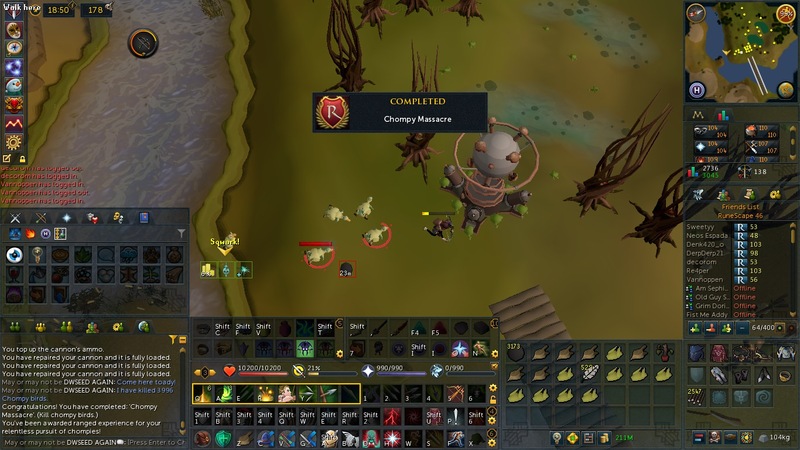 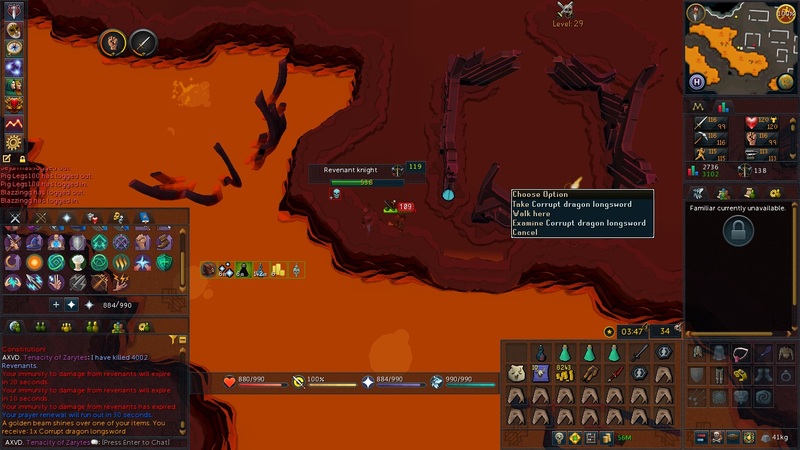 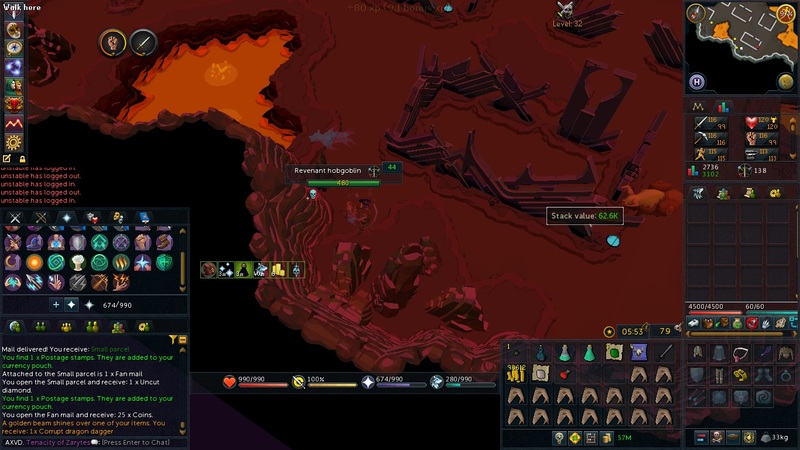 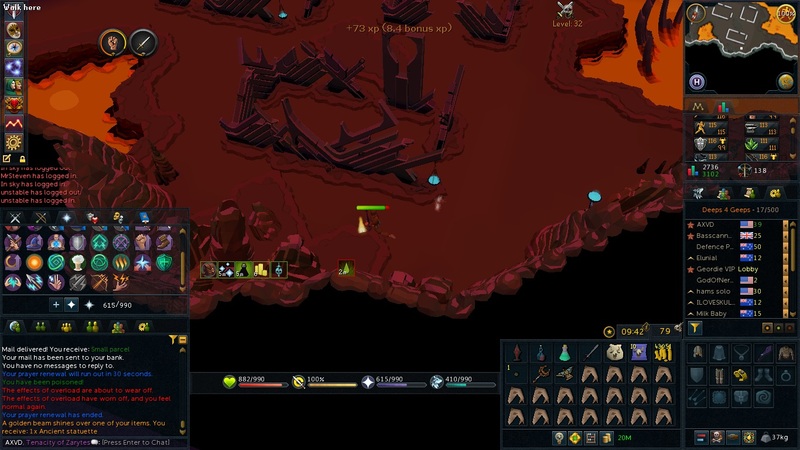 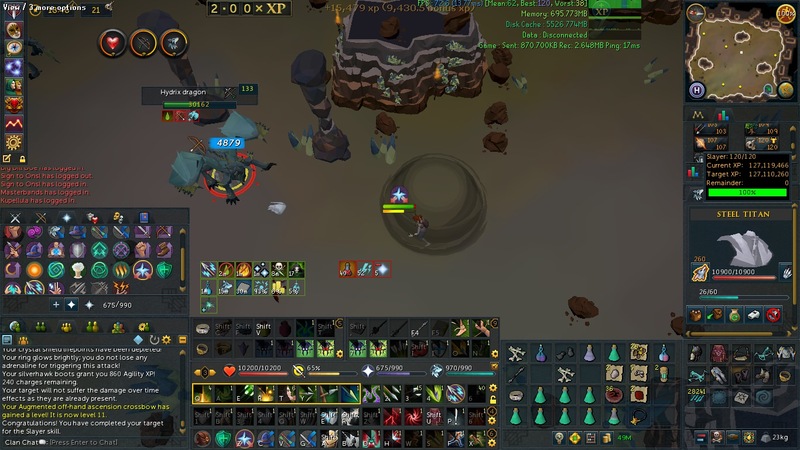 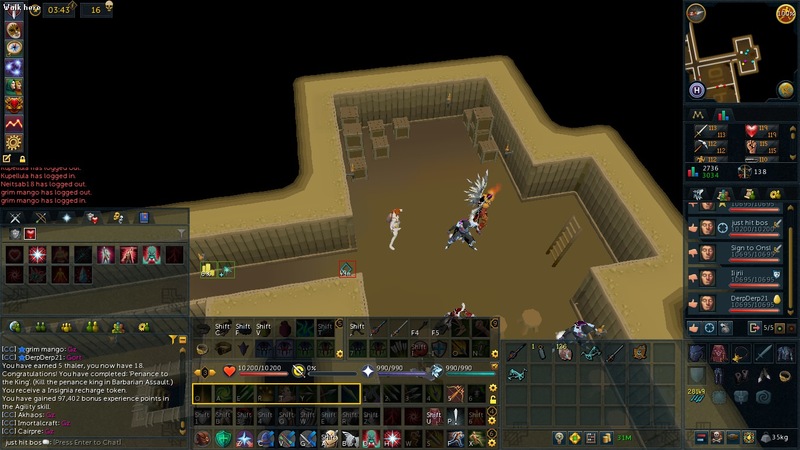 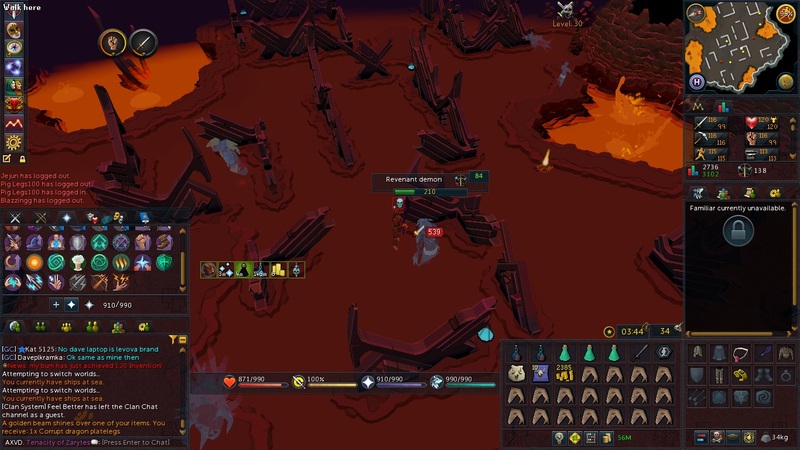 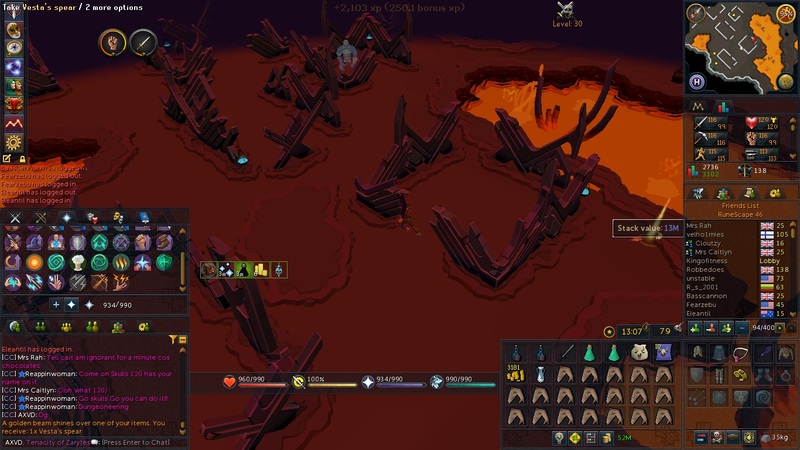 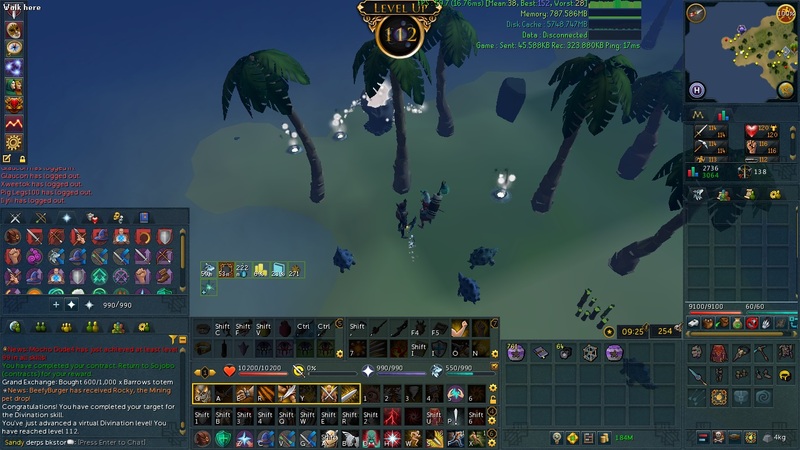 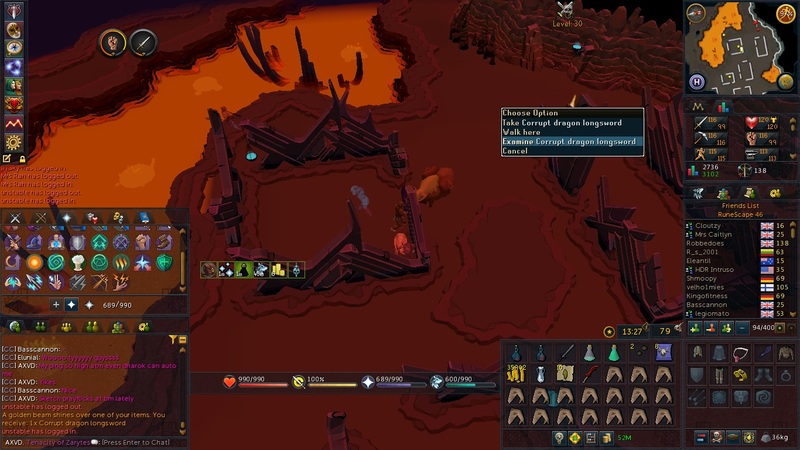 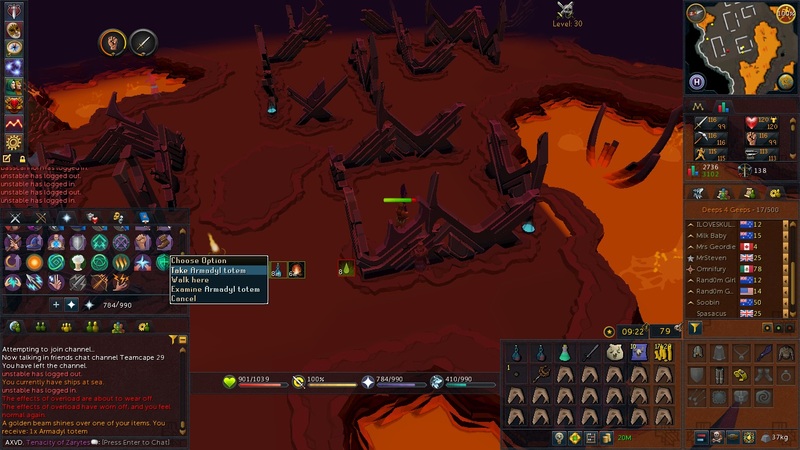 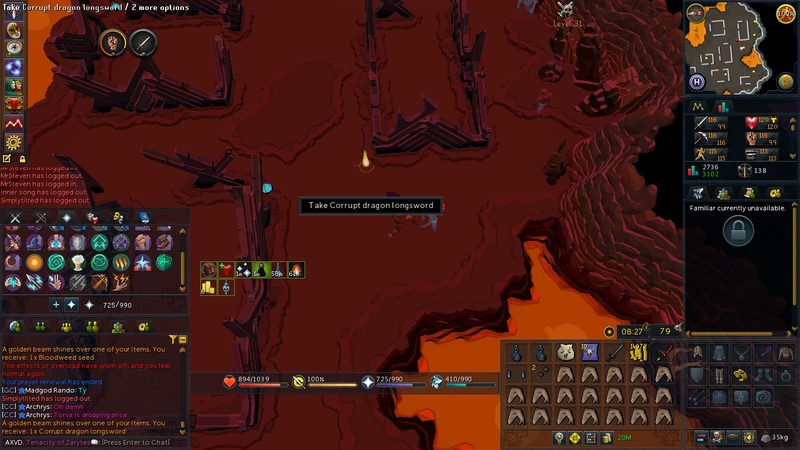 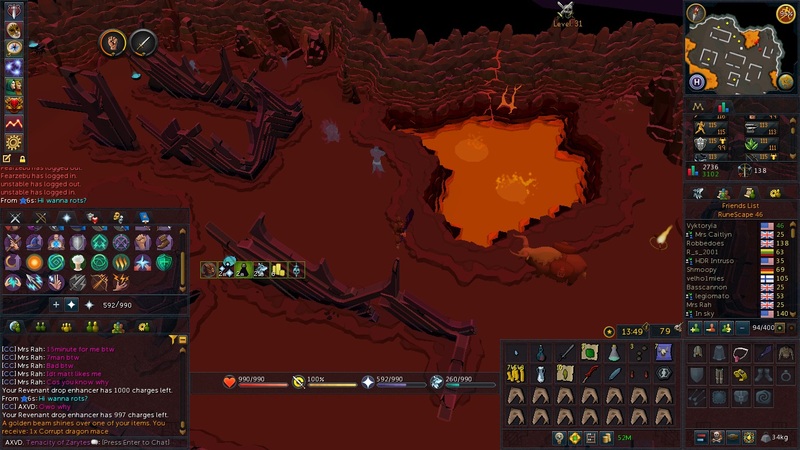 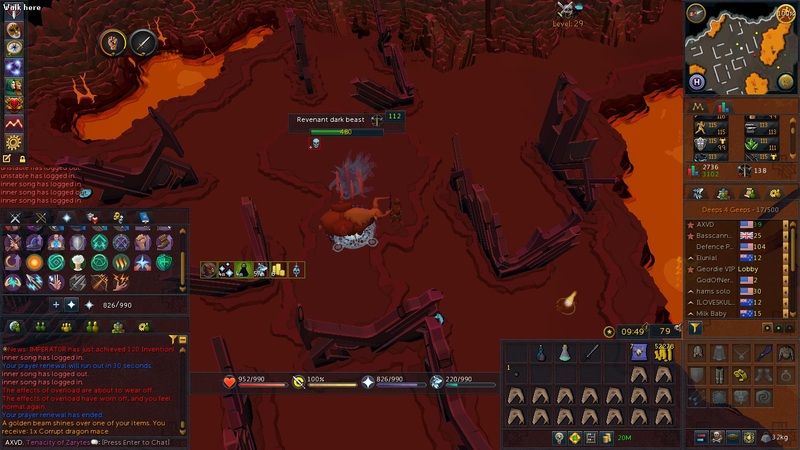 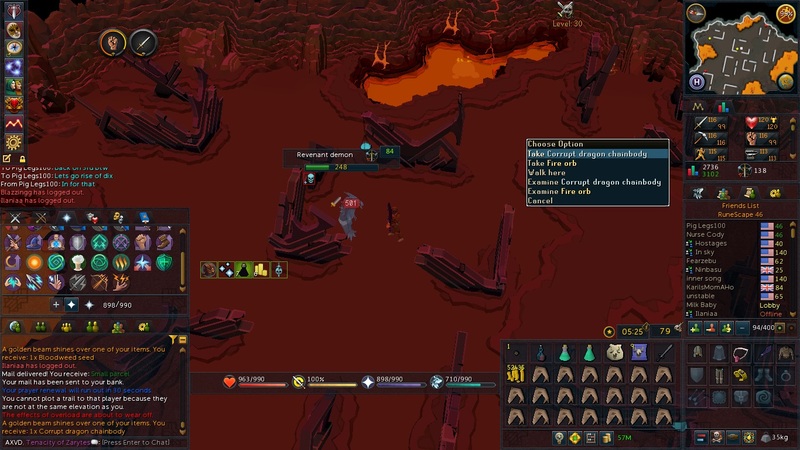 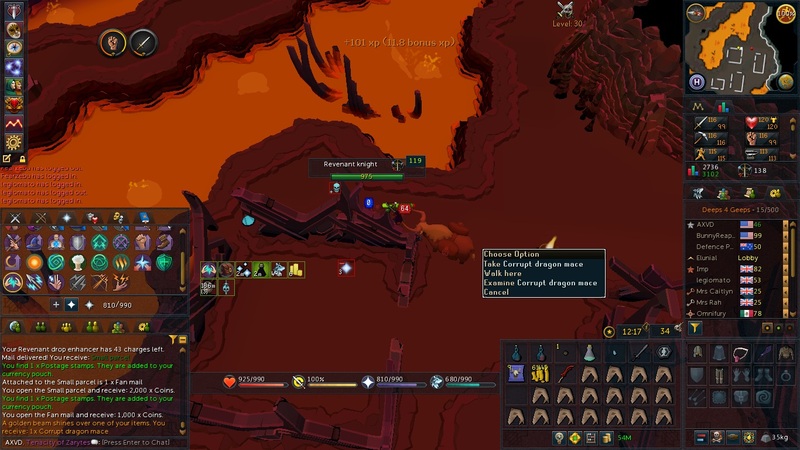 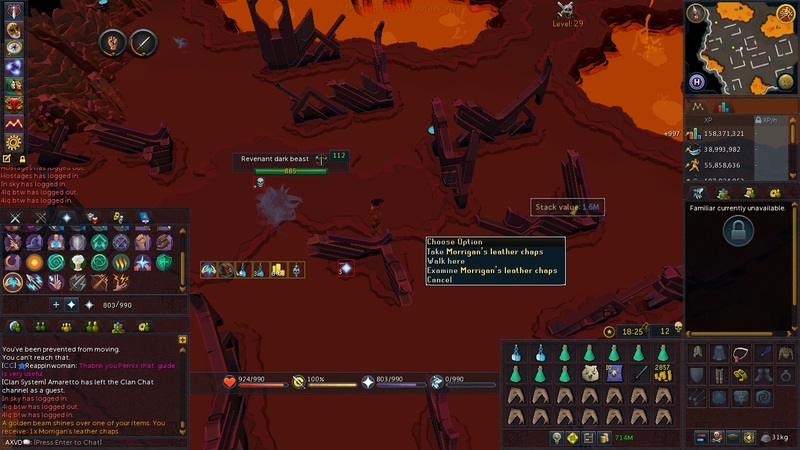 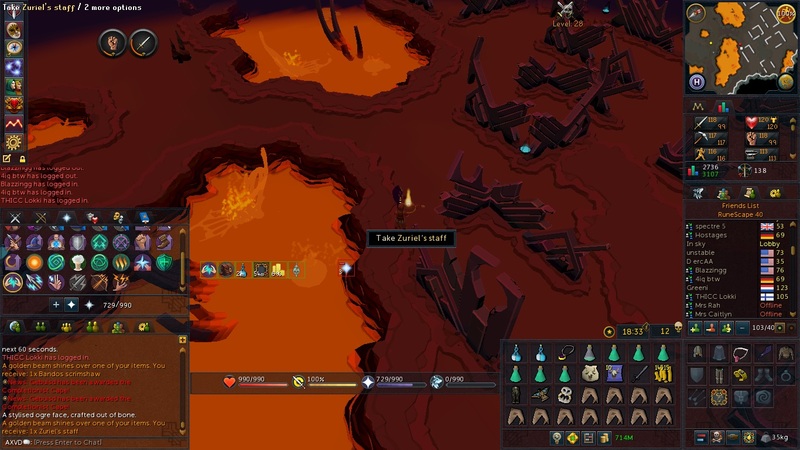 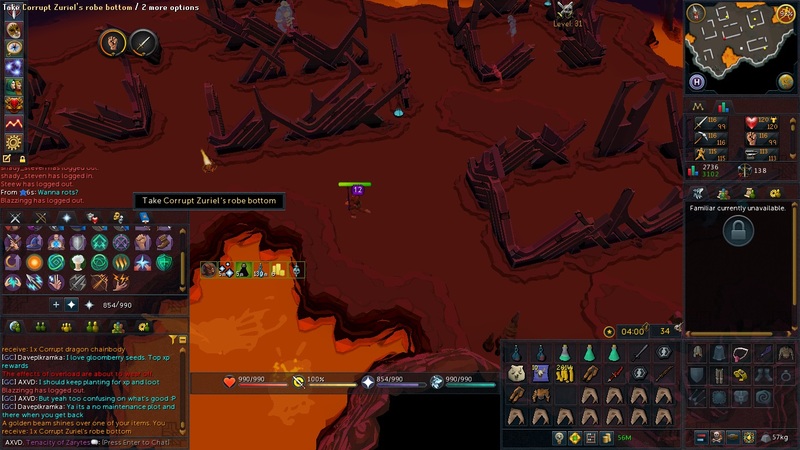 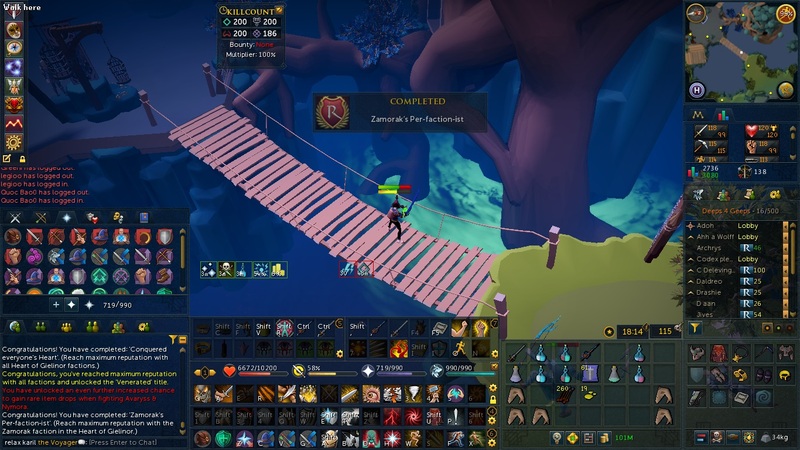 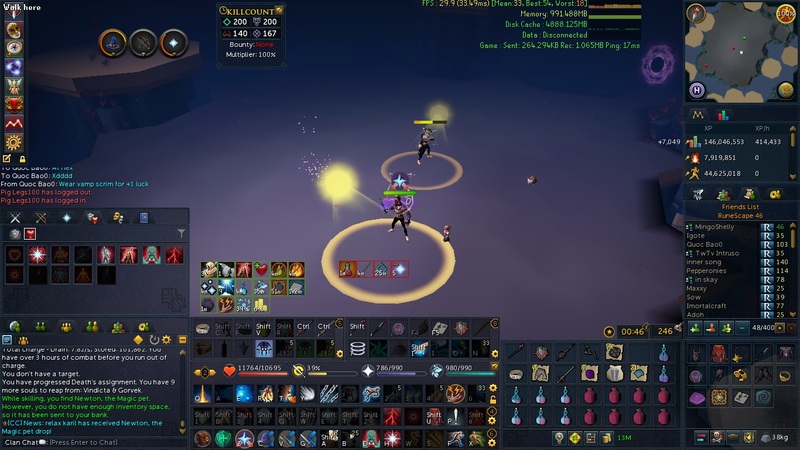 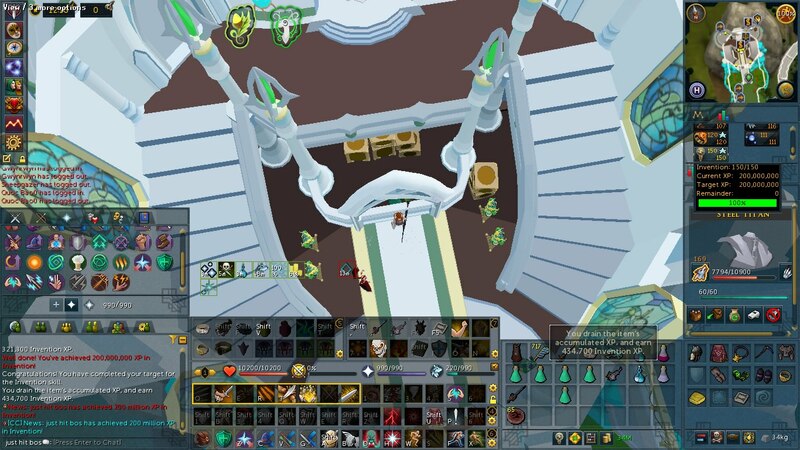 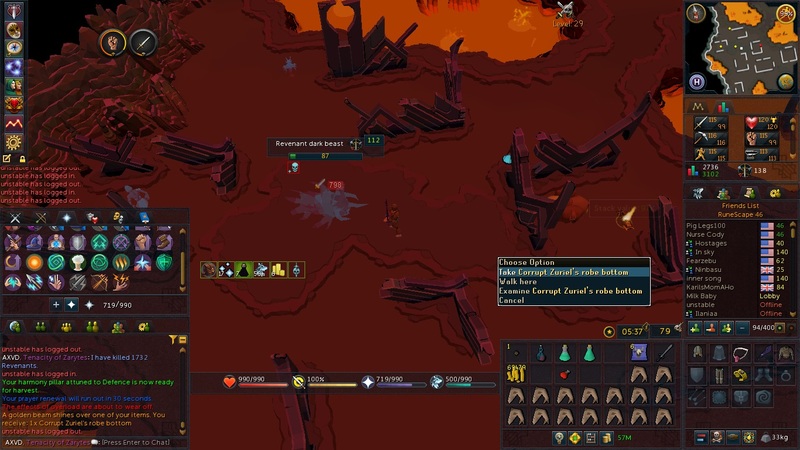 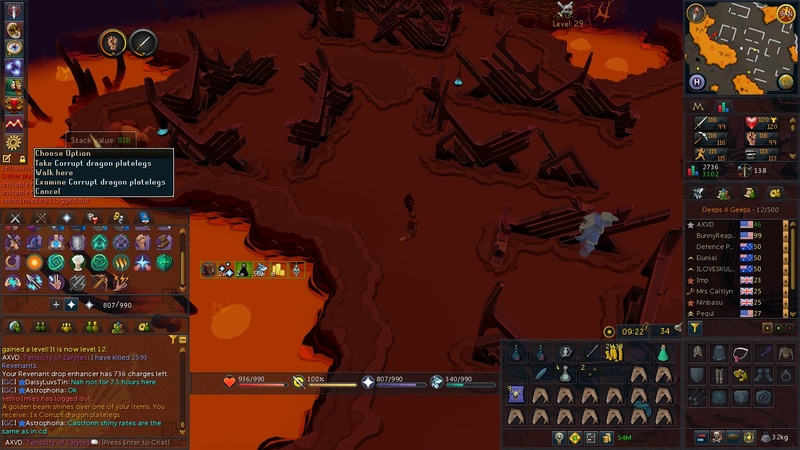 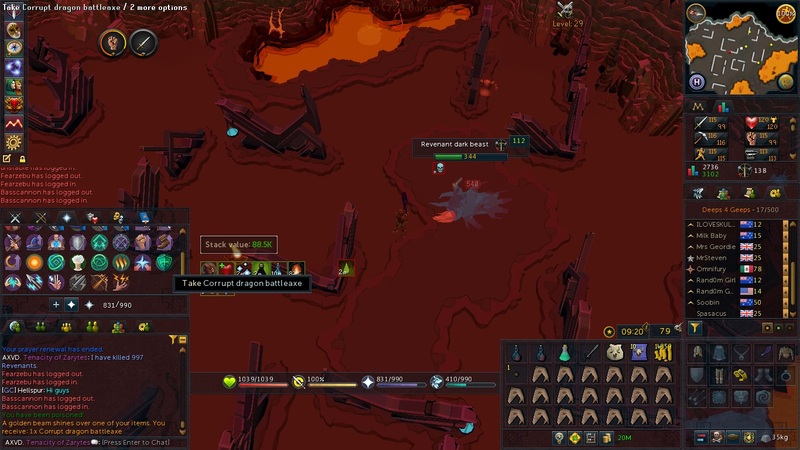 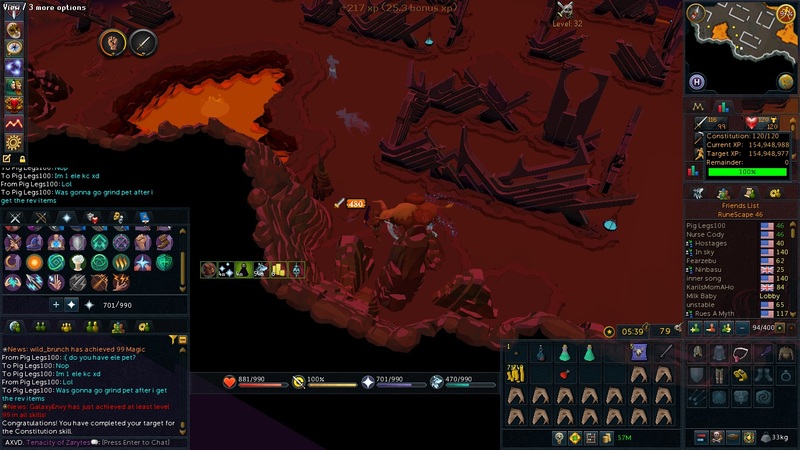 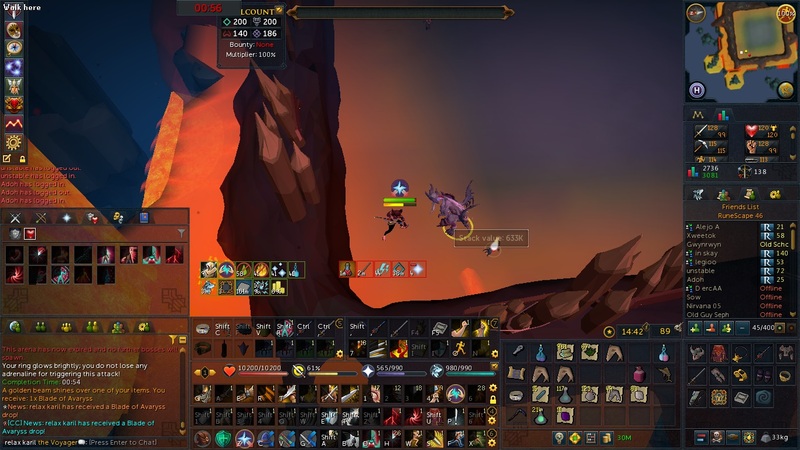 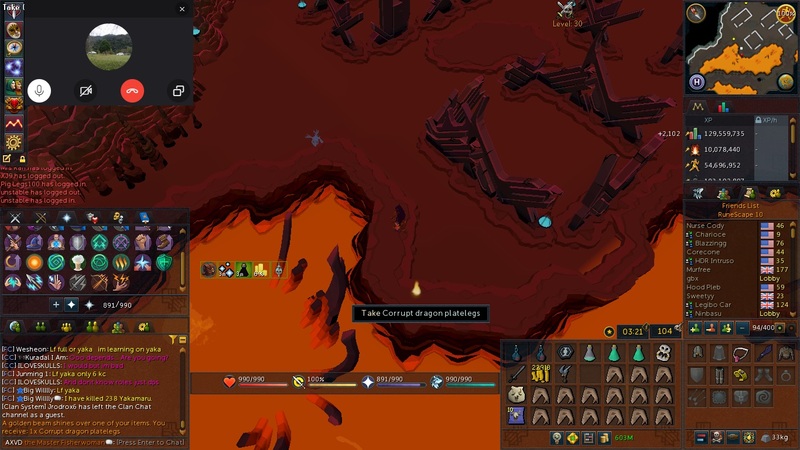 My goal is to get comfortable duoing solak/rago and getting some consistent times on the three dungeons. 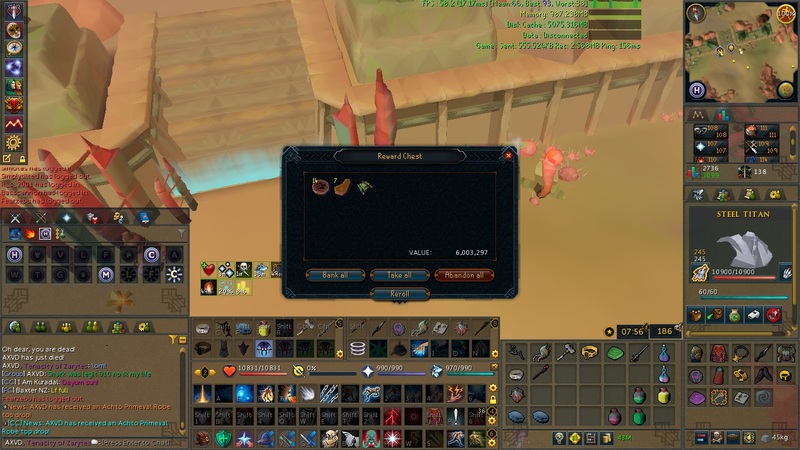 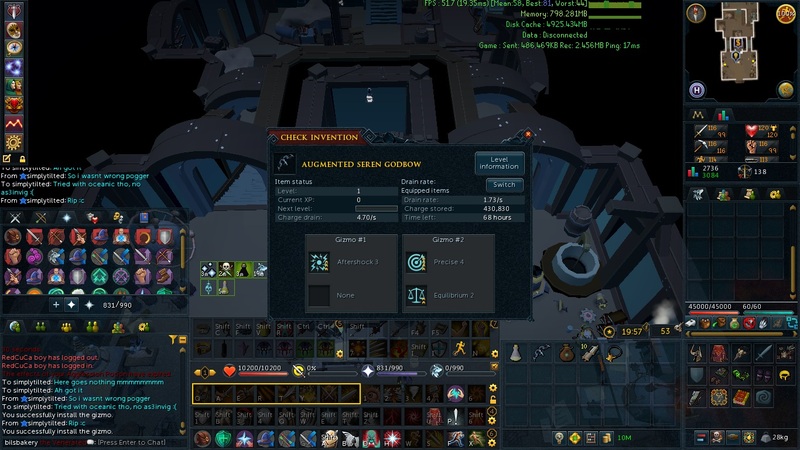 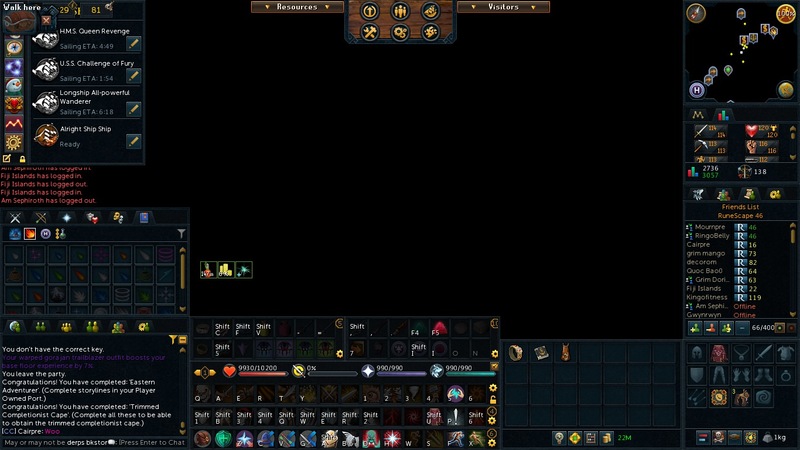 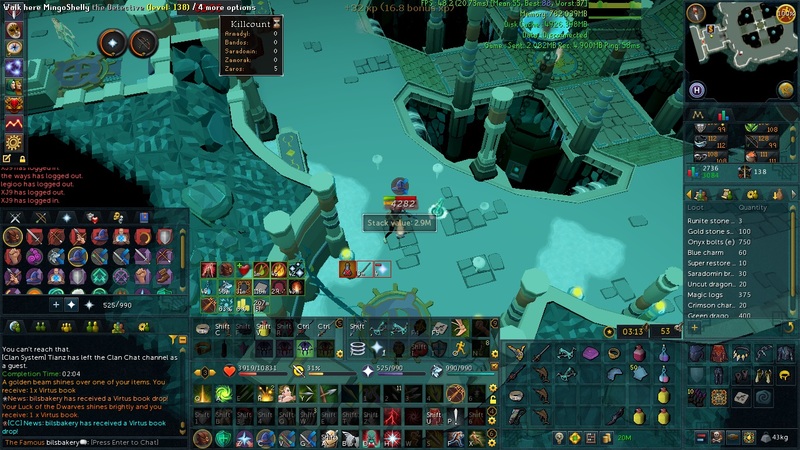 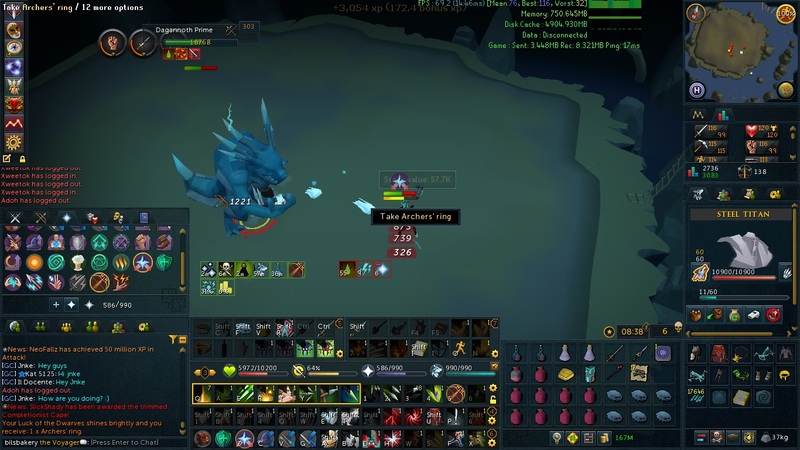 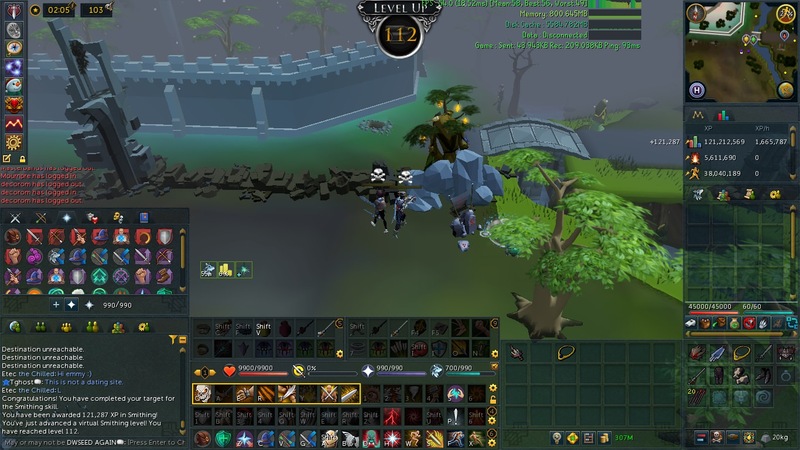 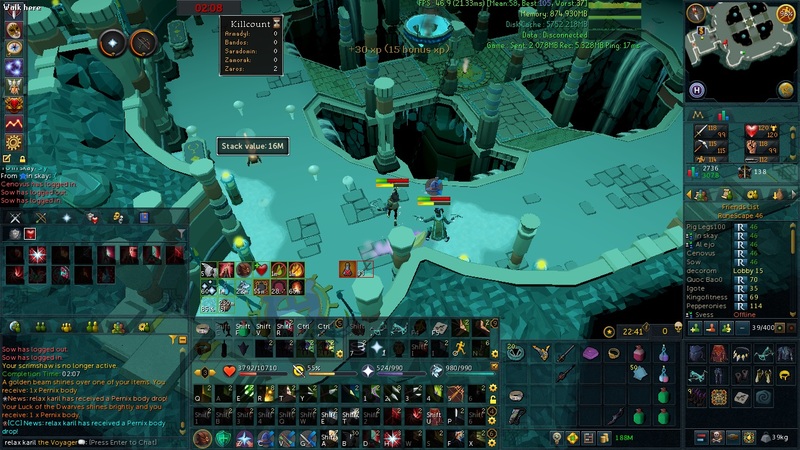 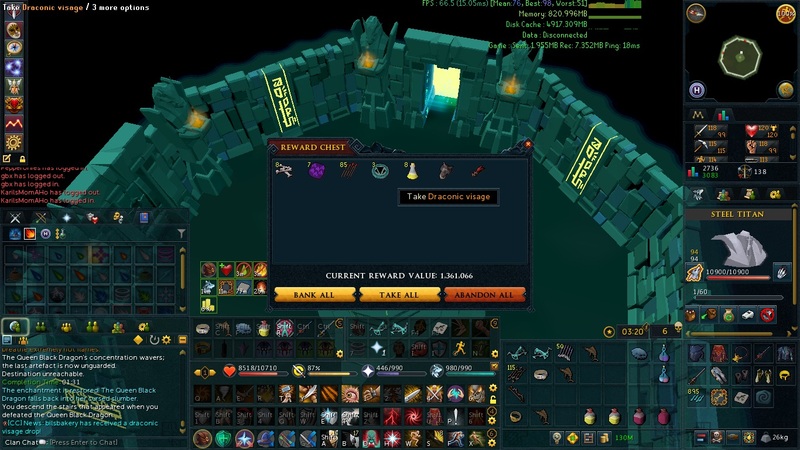 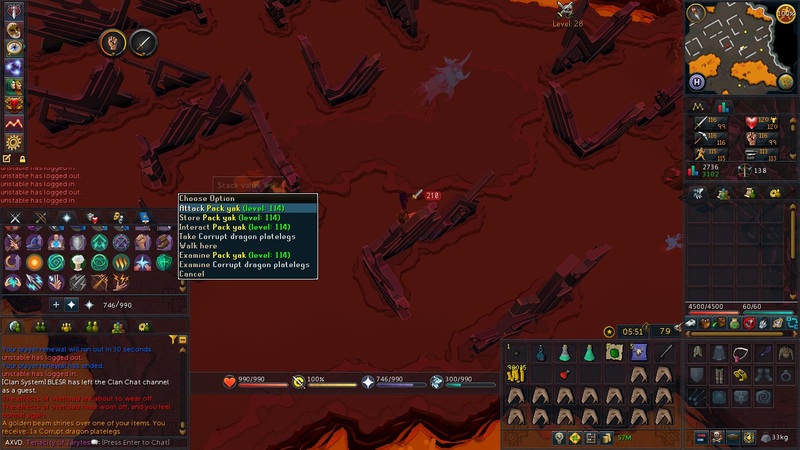 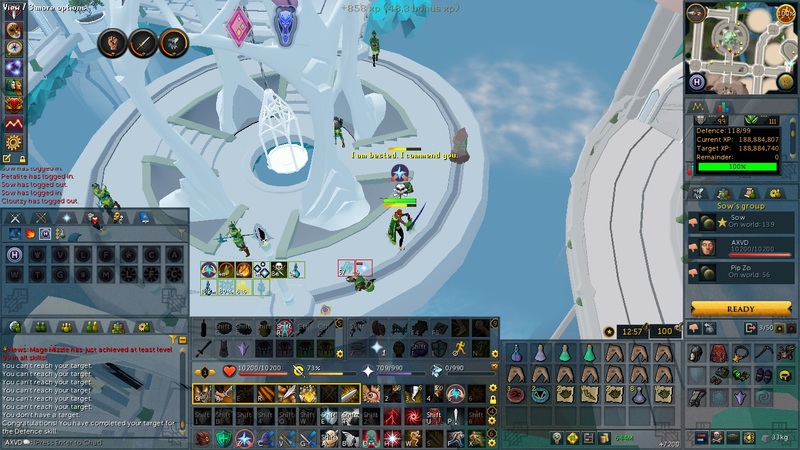 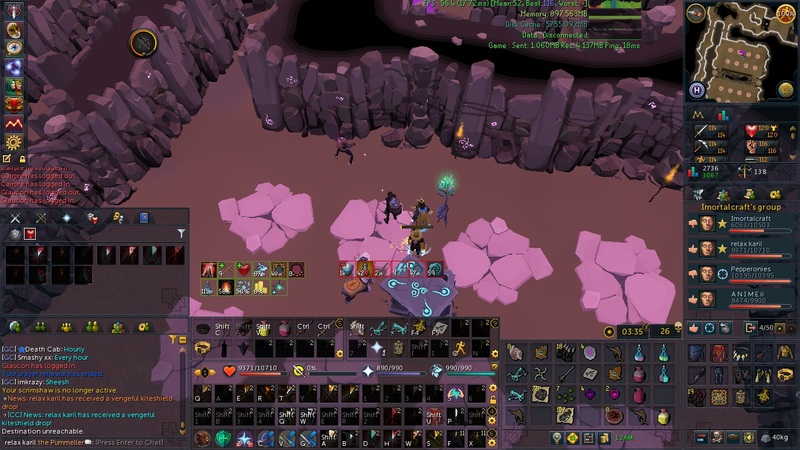 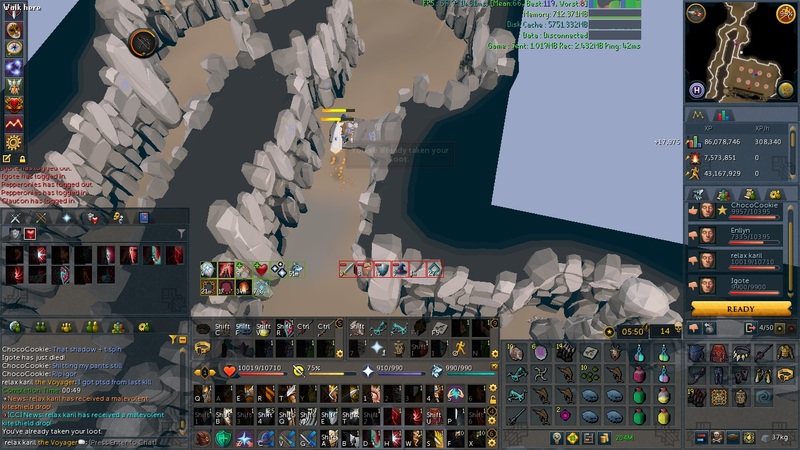 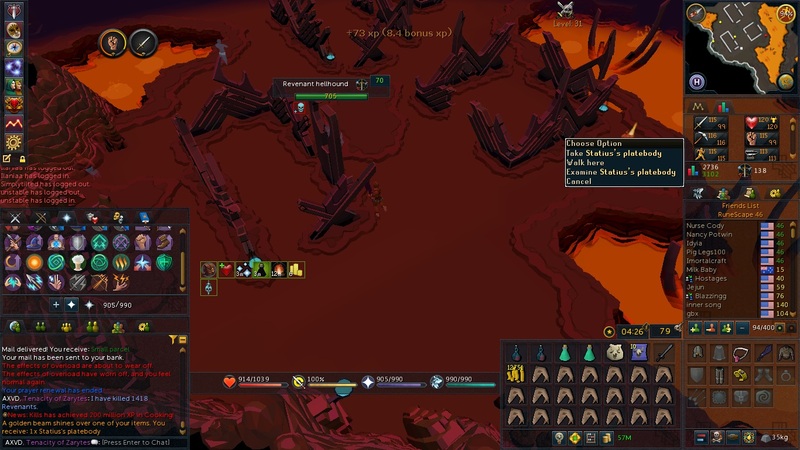 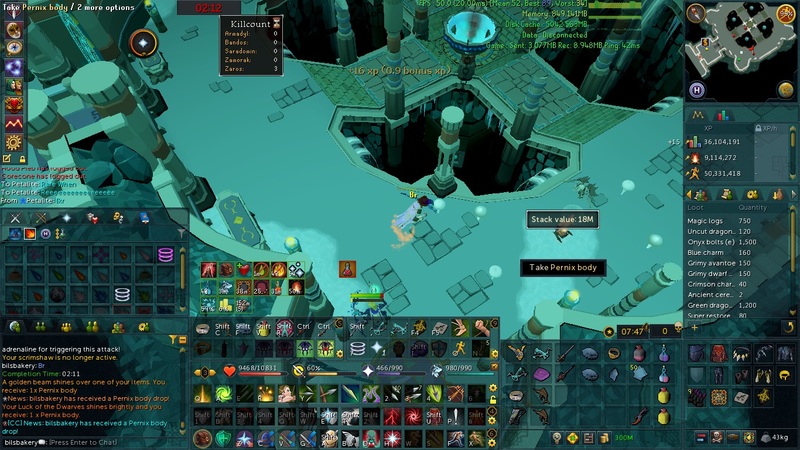 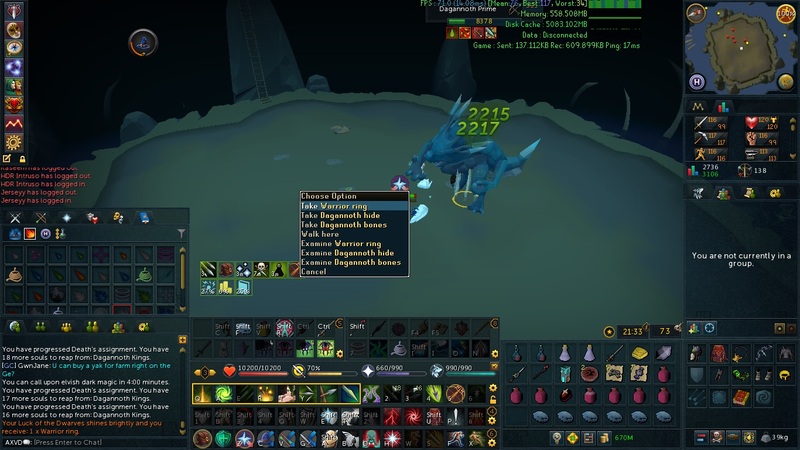 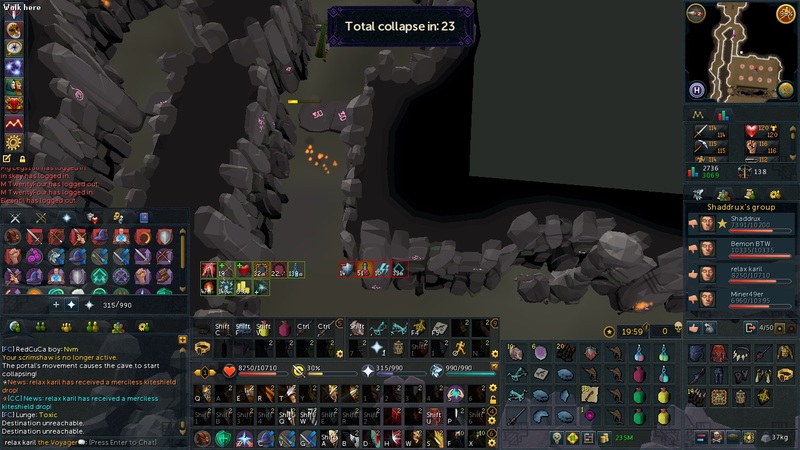 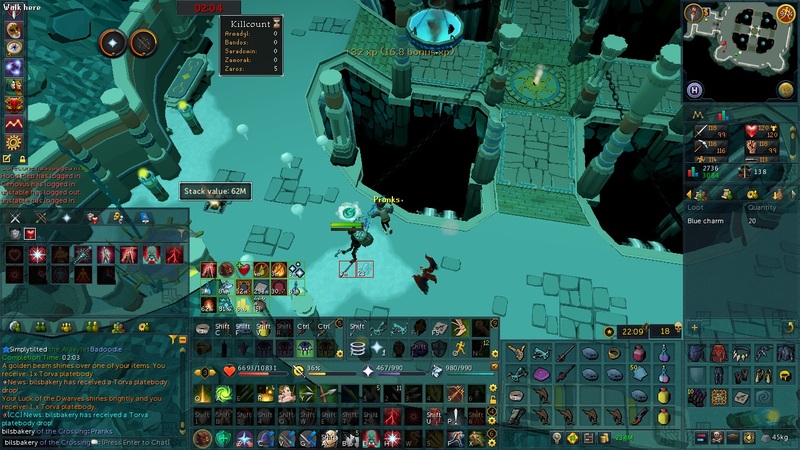 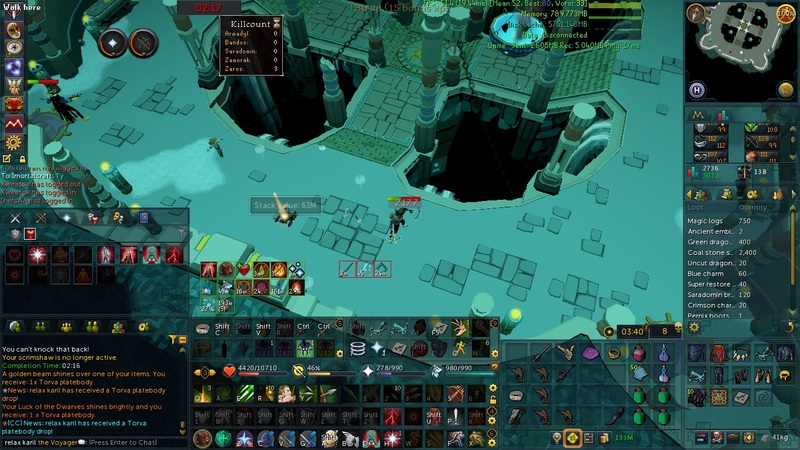 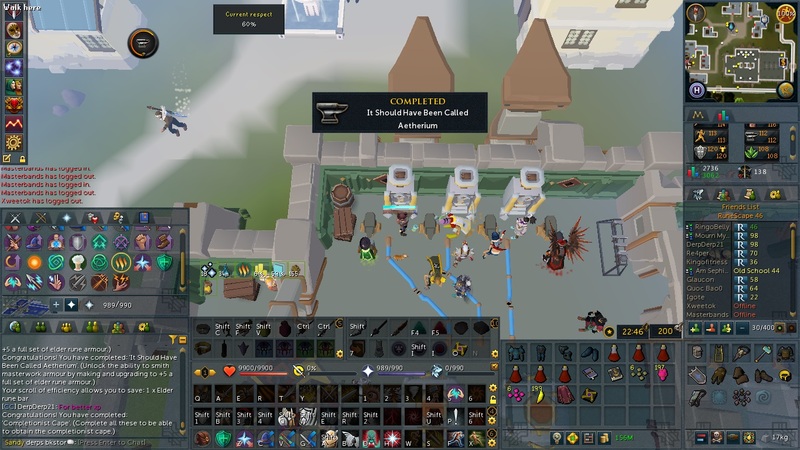 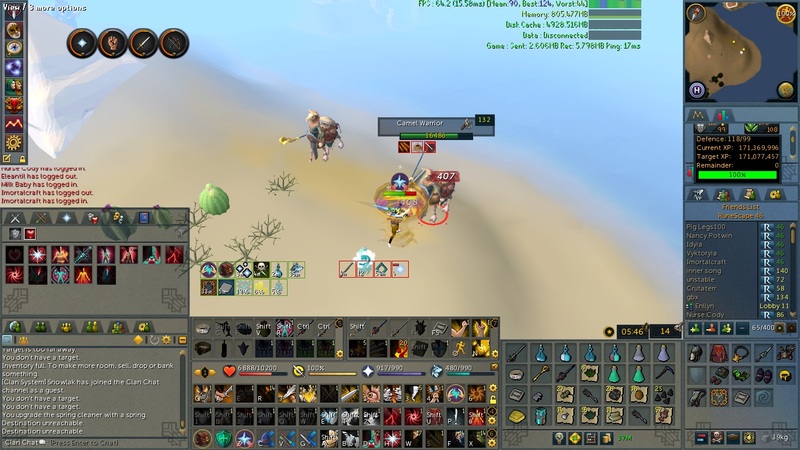 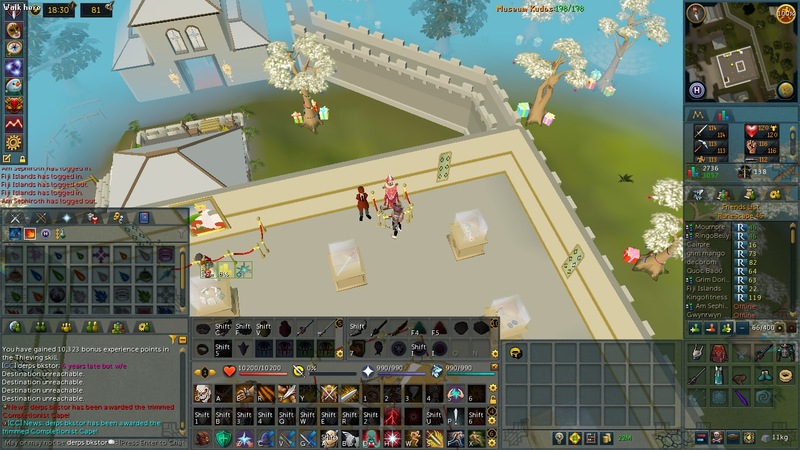 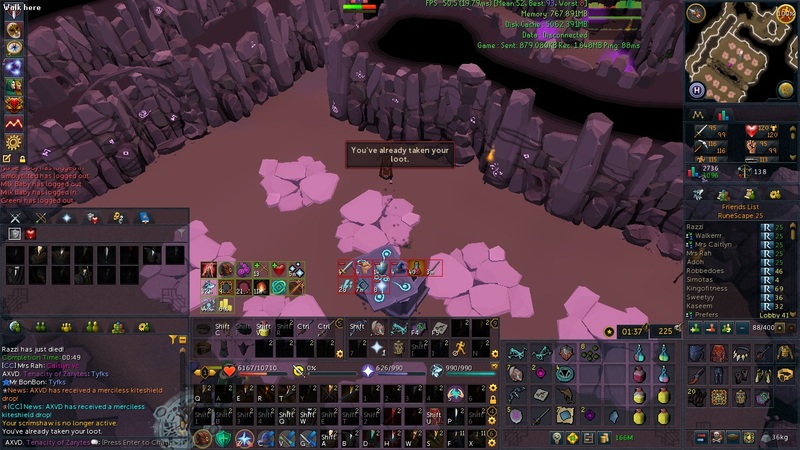 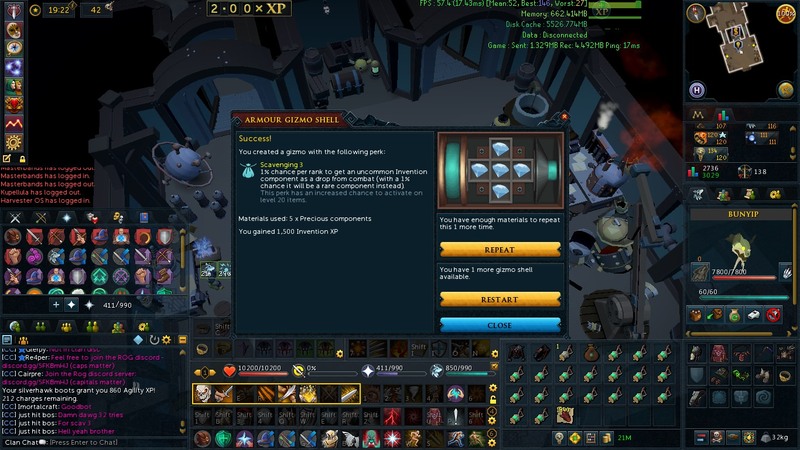 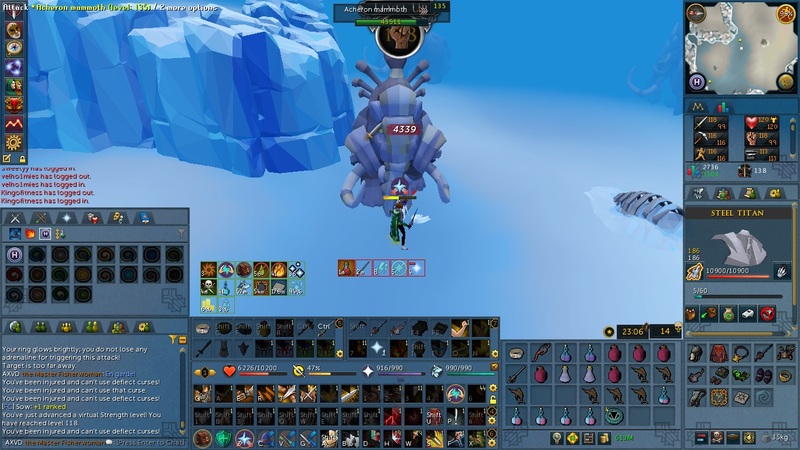 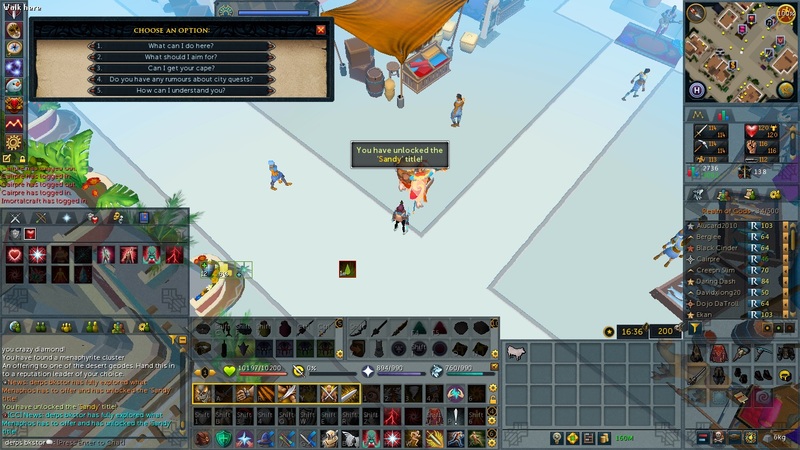 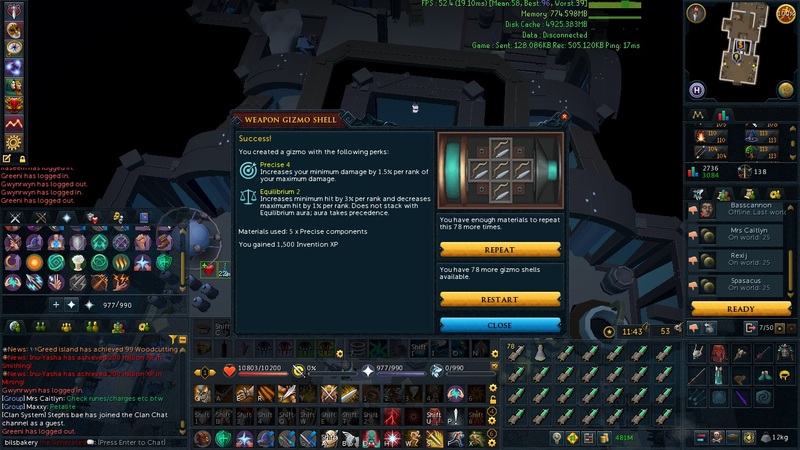 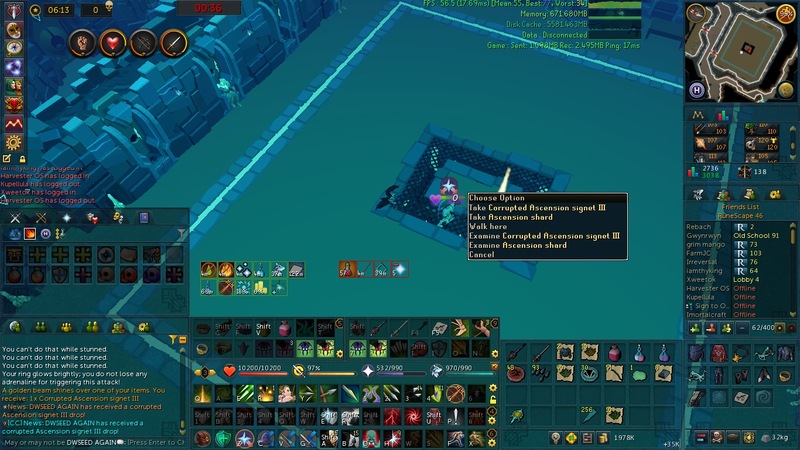 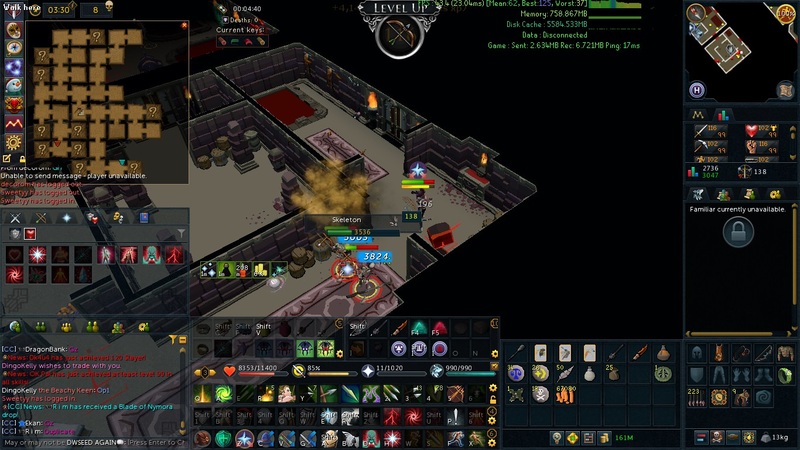 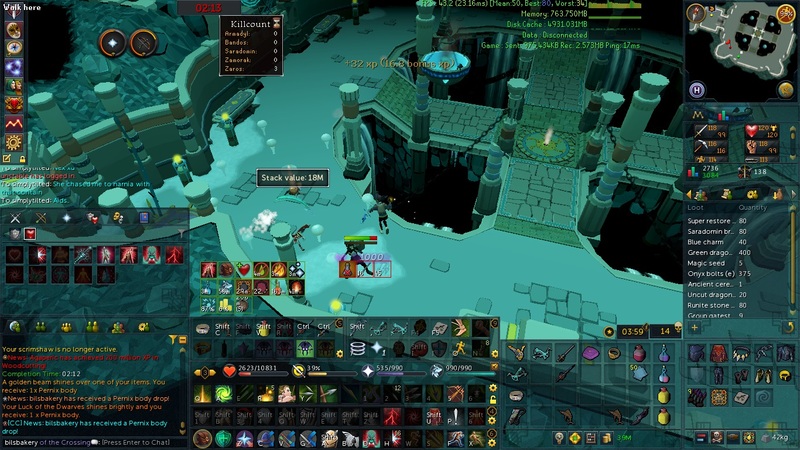 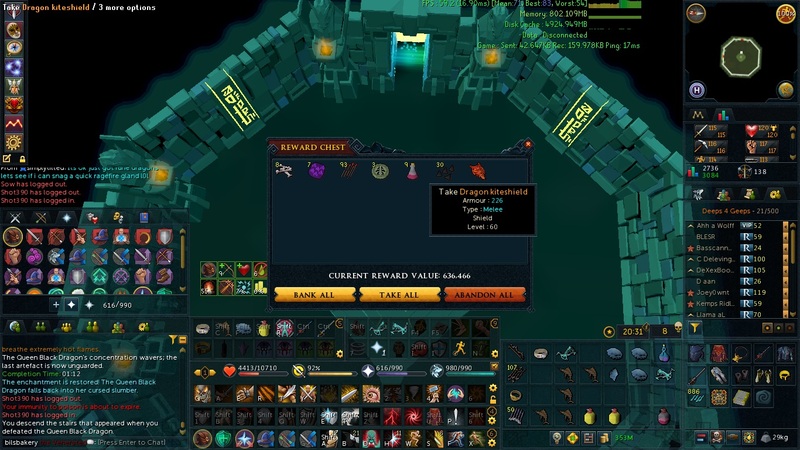 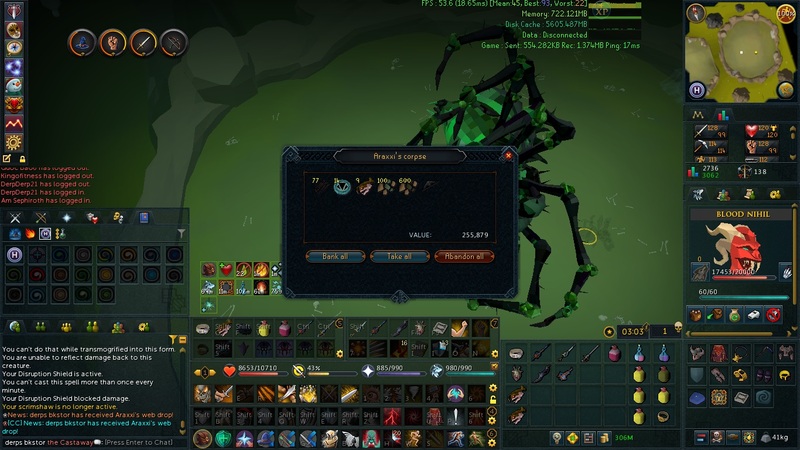 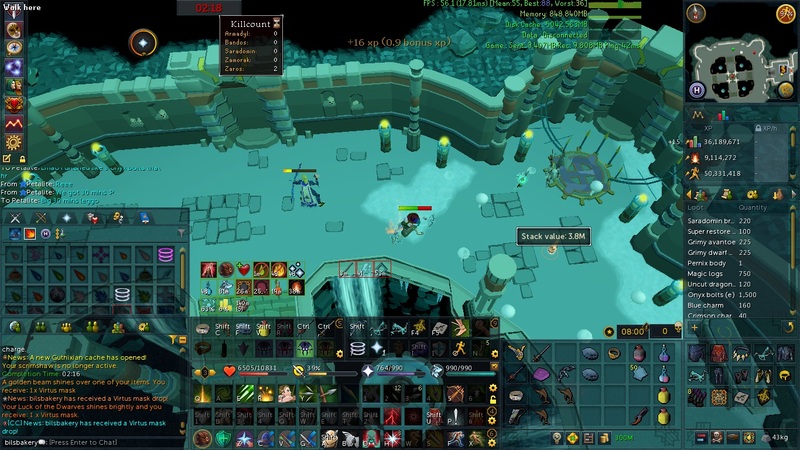 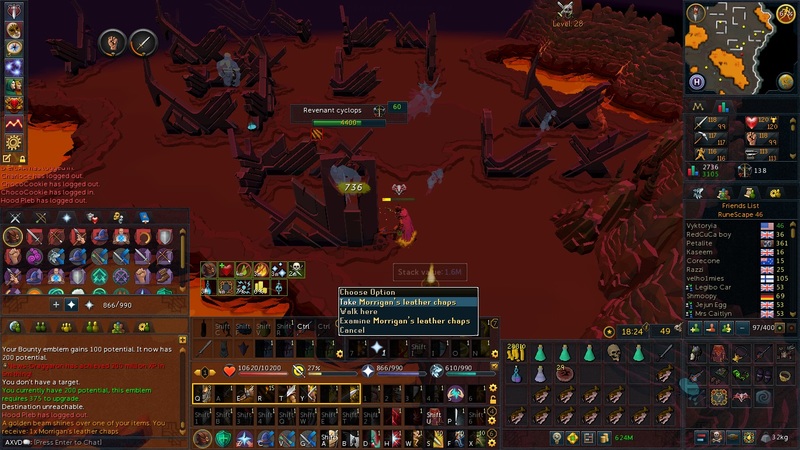 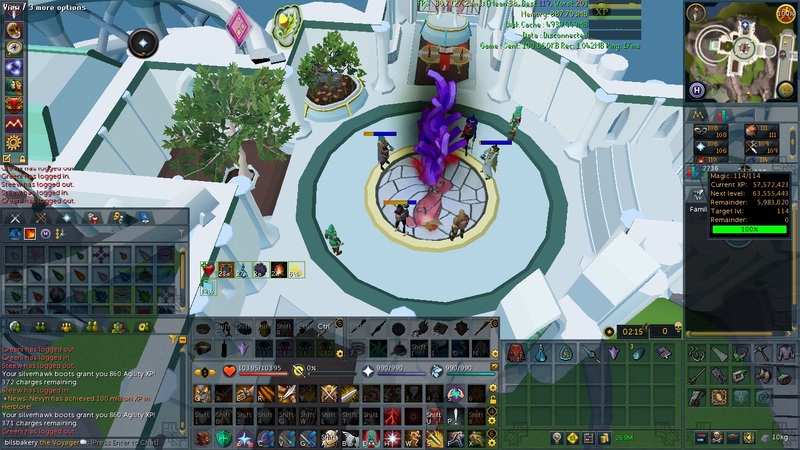 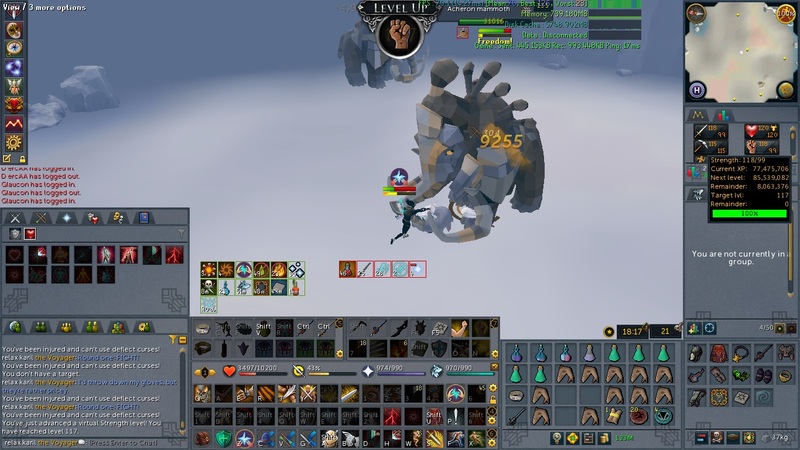 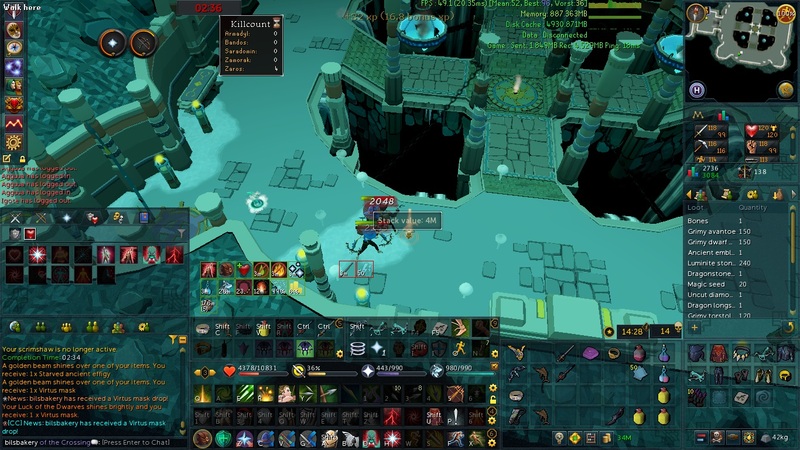 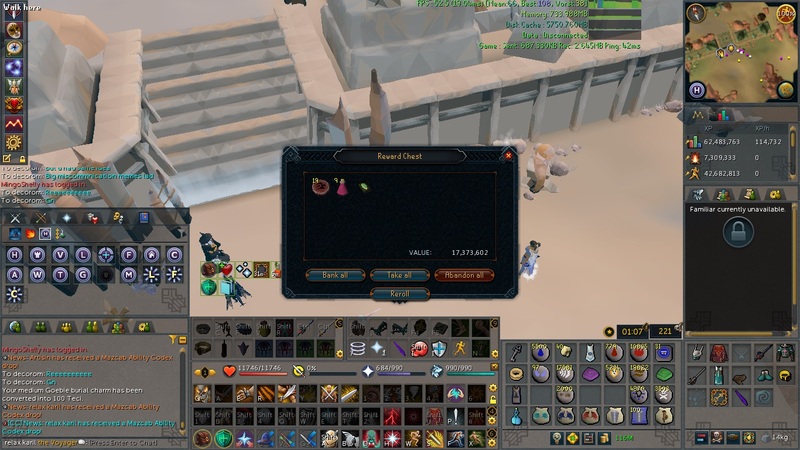 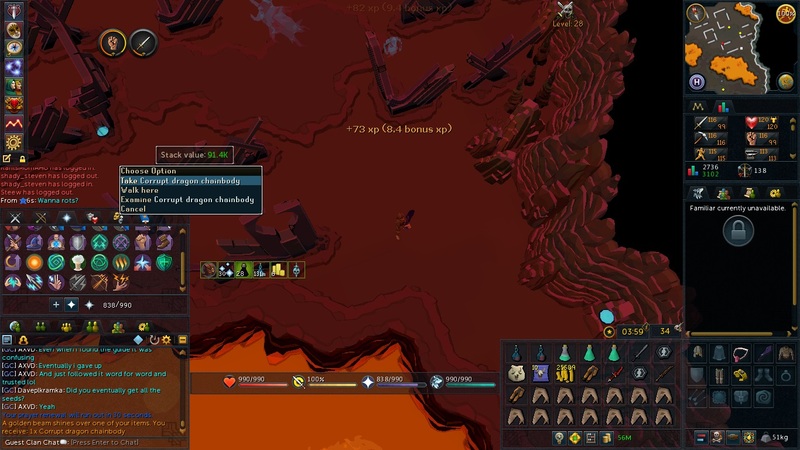 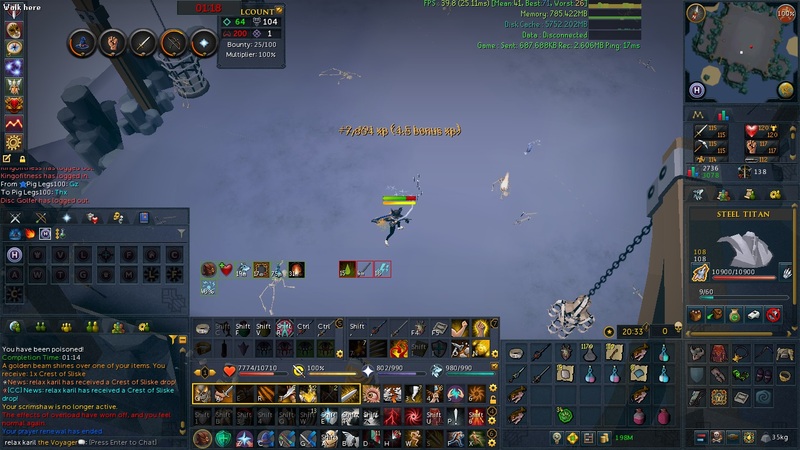 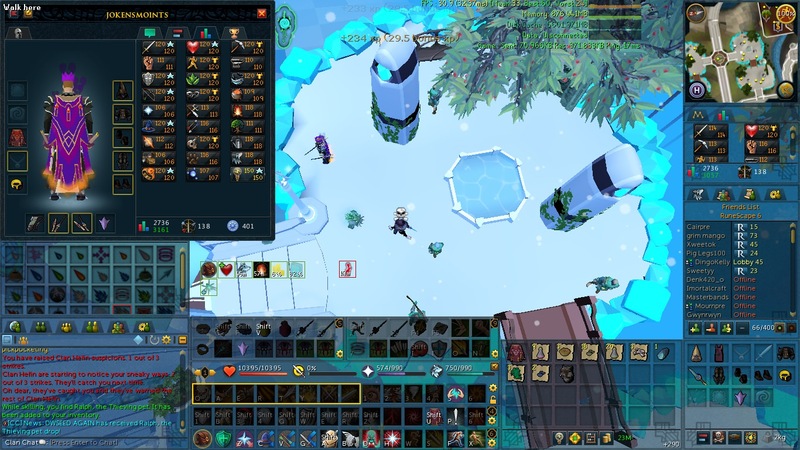 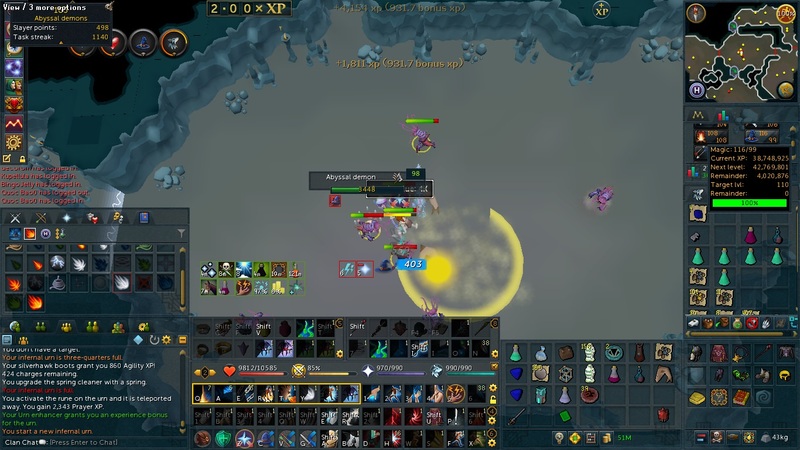 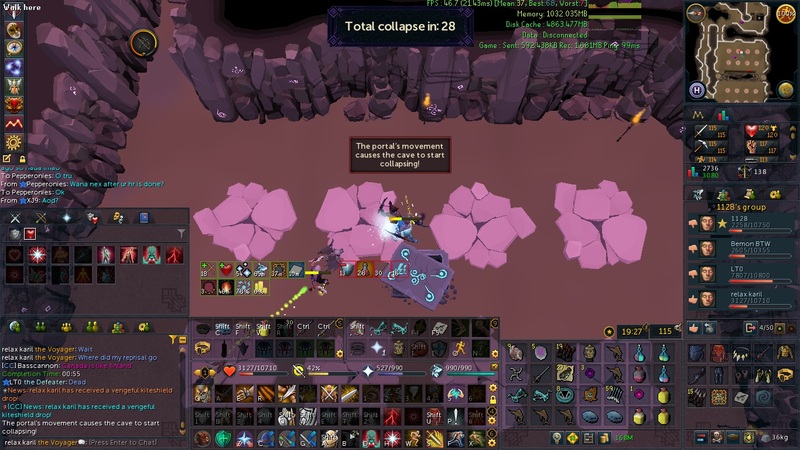 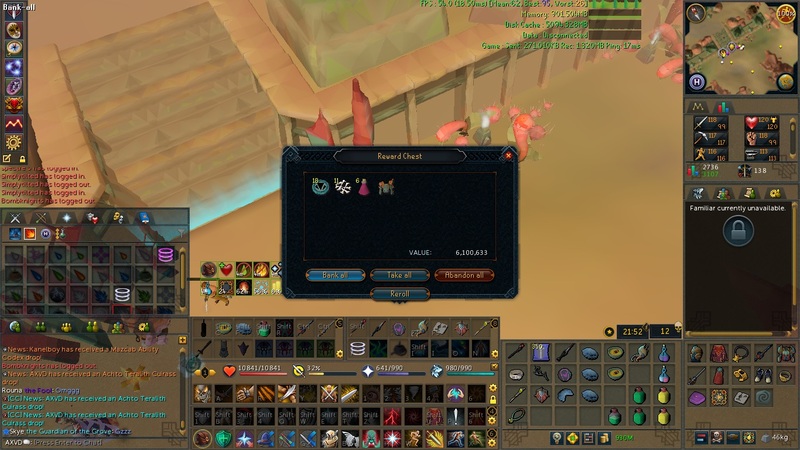 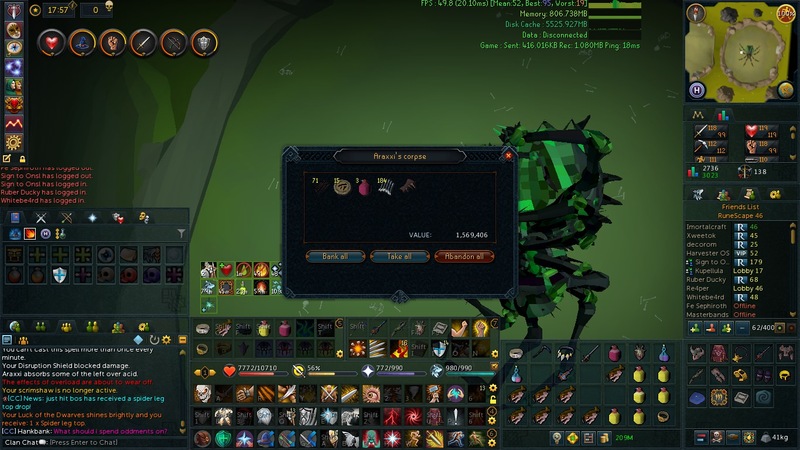 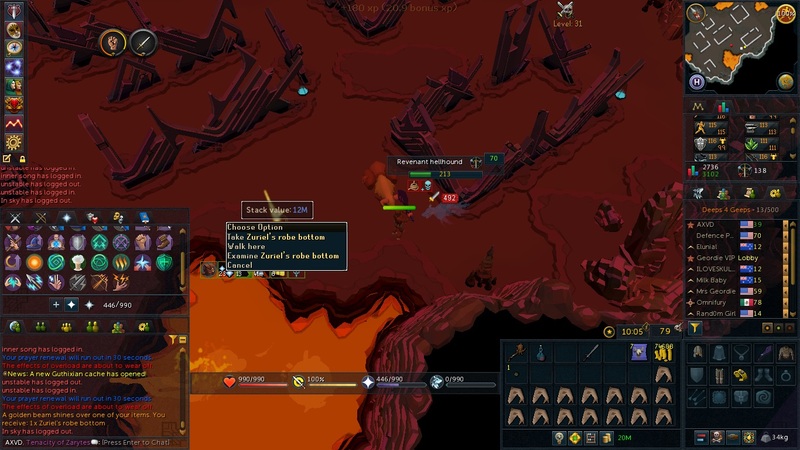 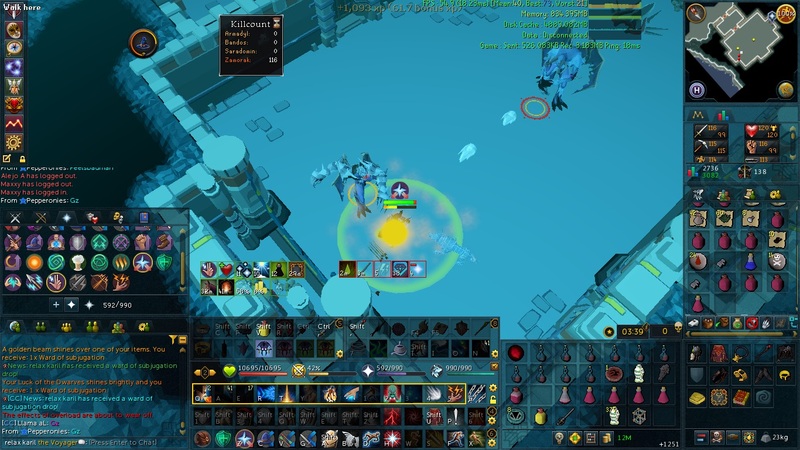 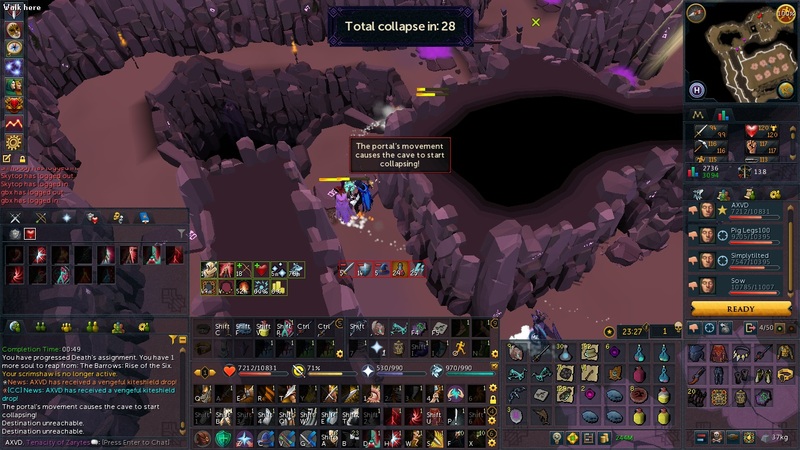 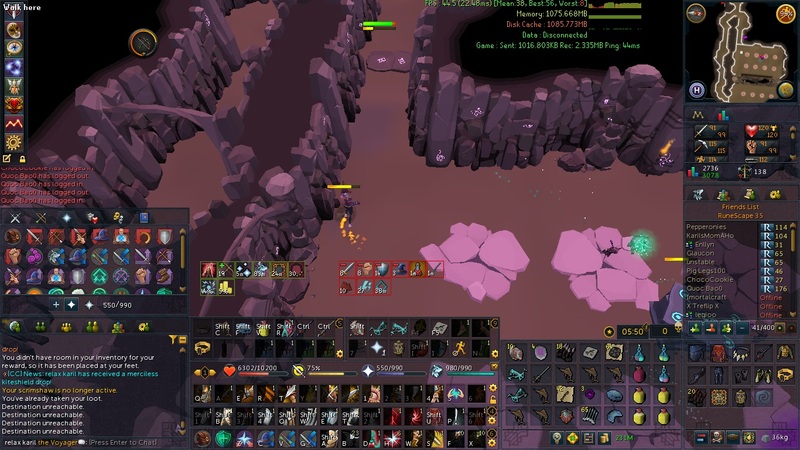 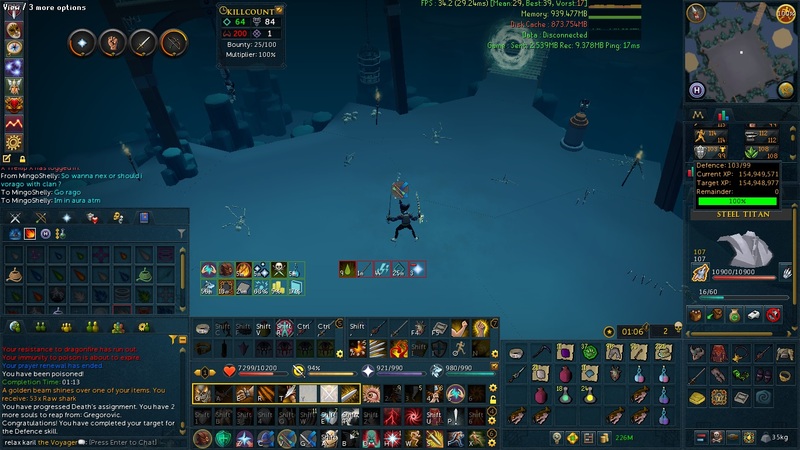 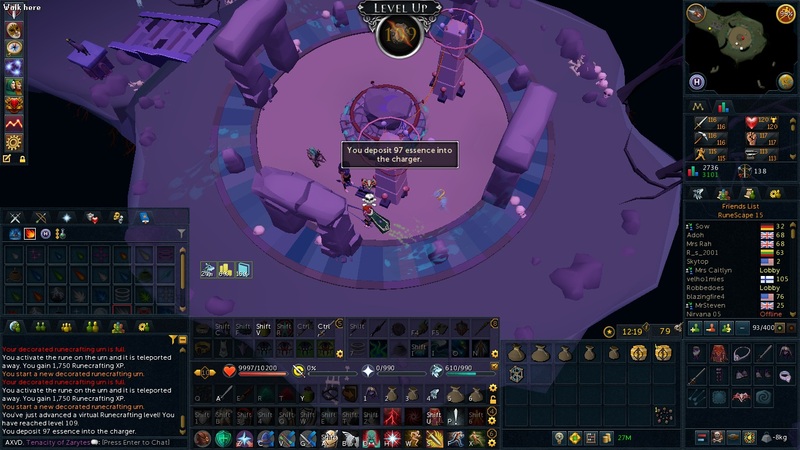 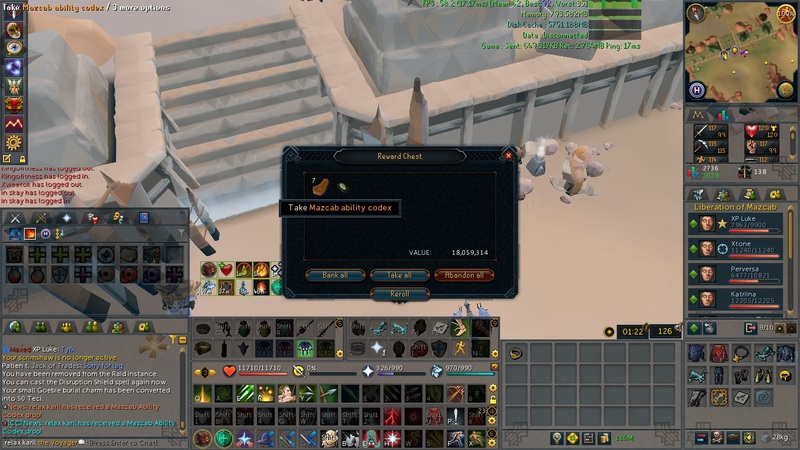 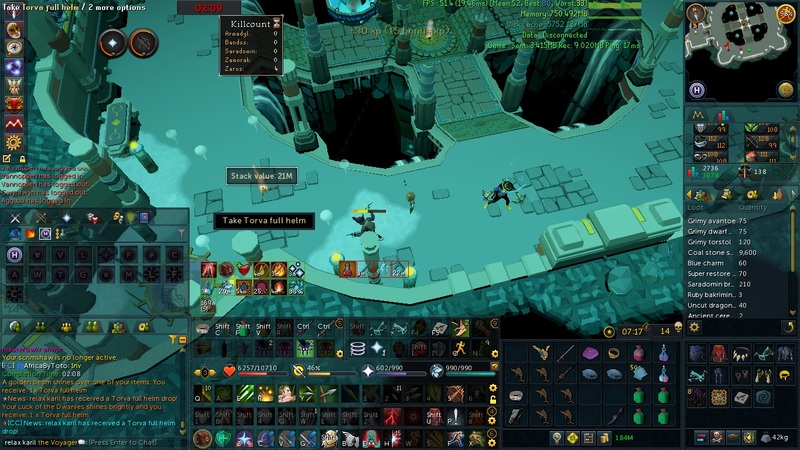 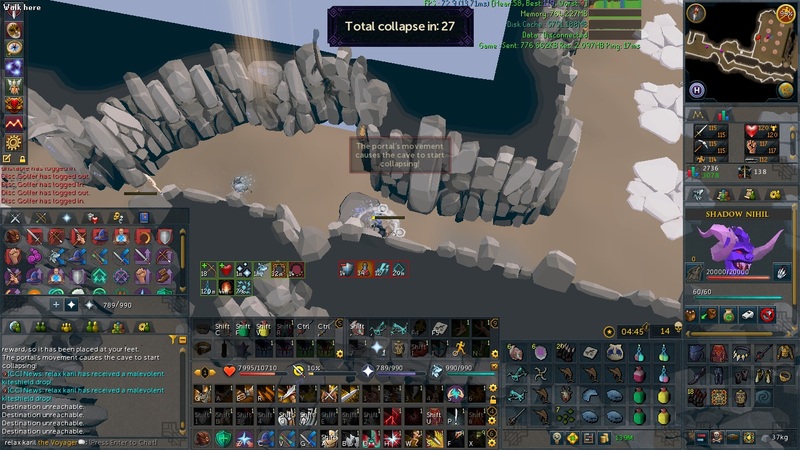 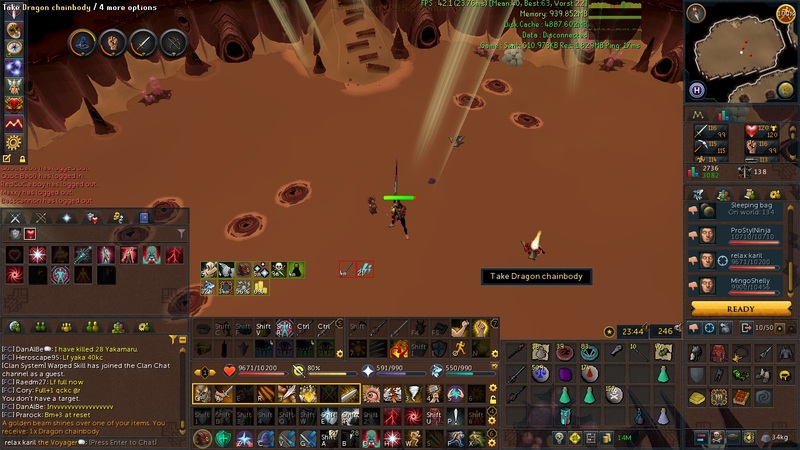 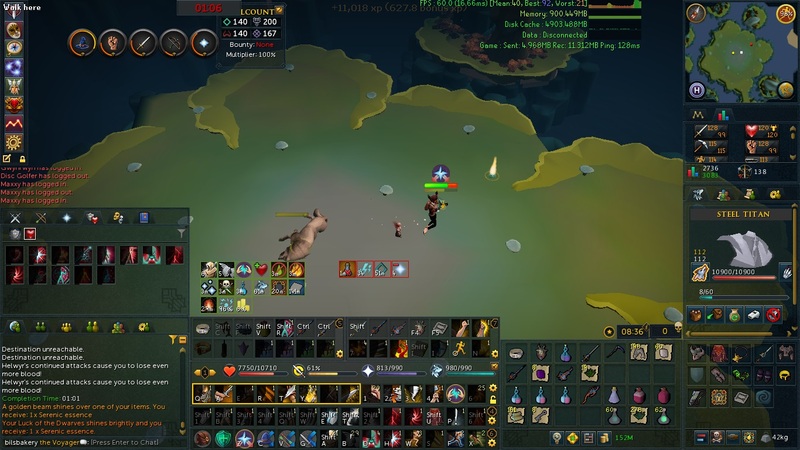 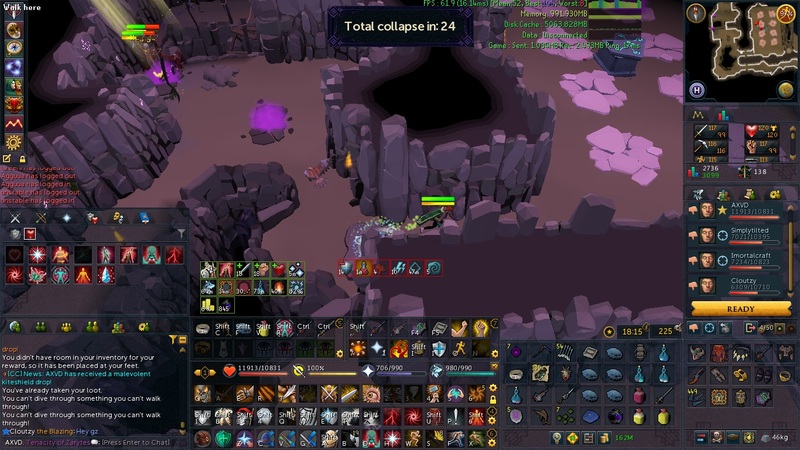 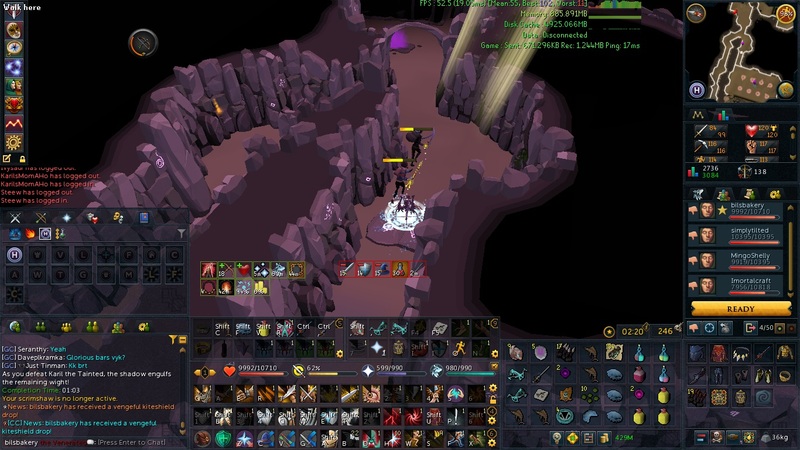 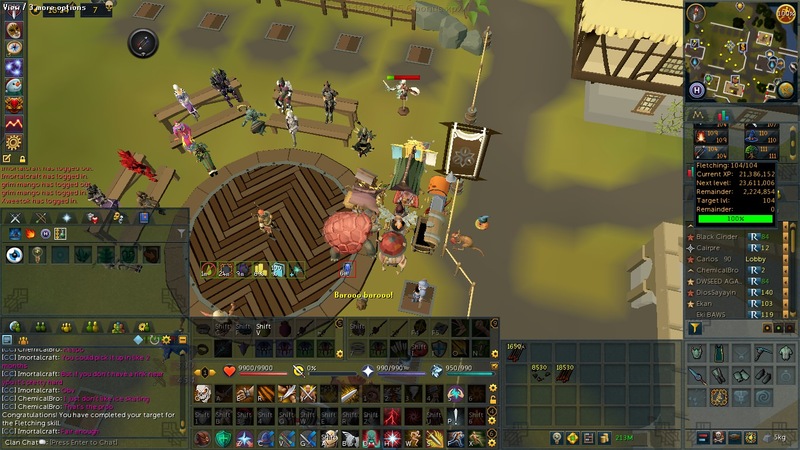 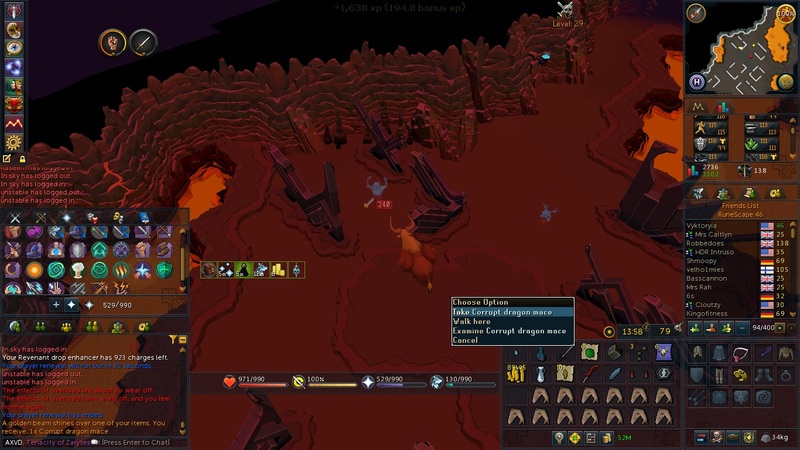 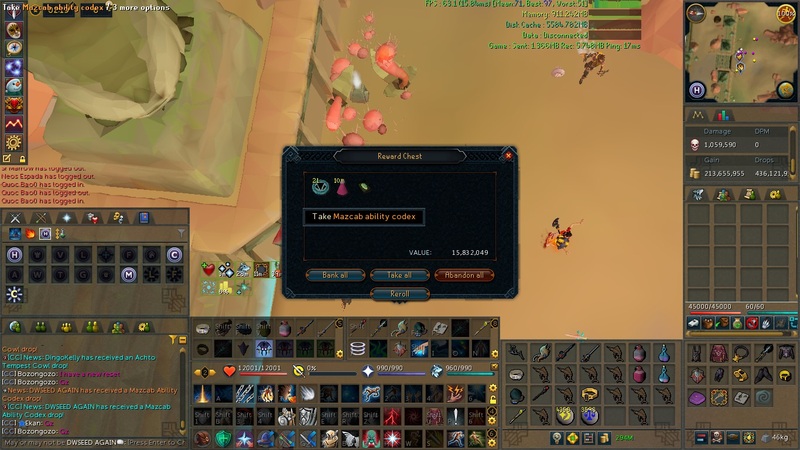 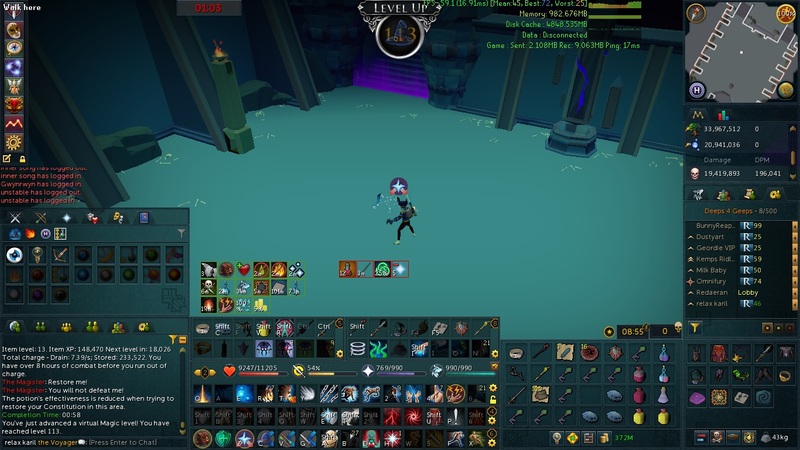 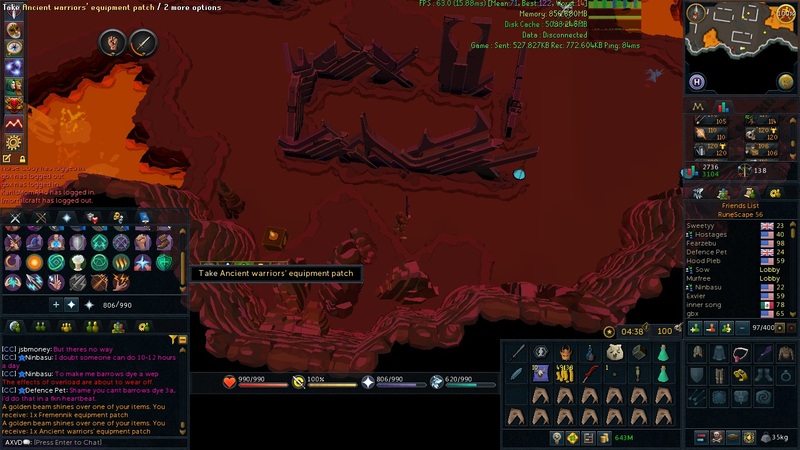 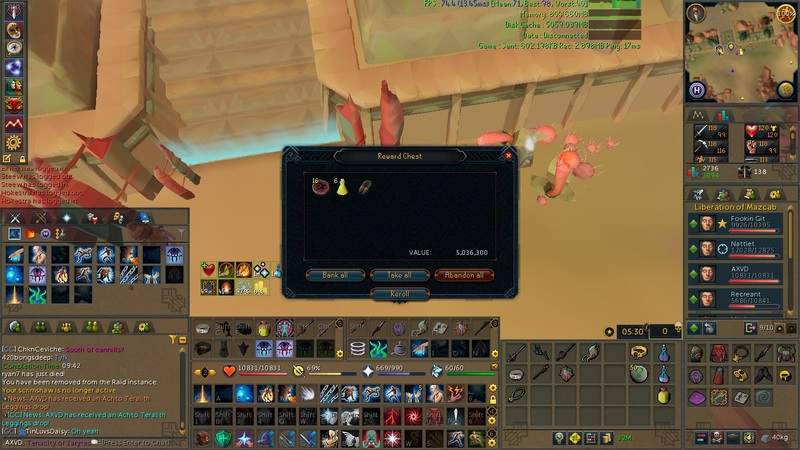 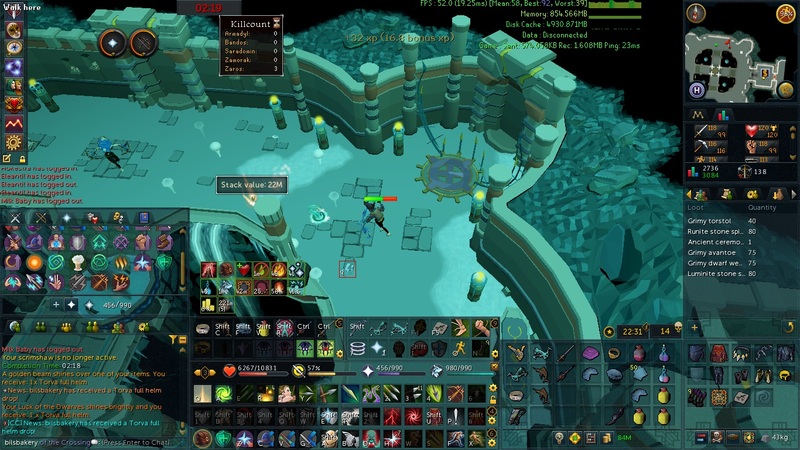 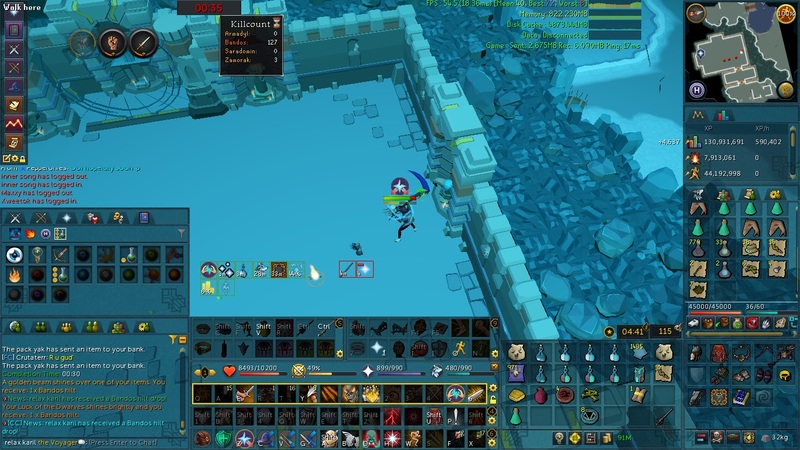 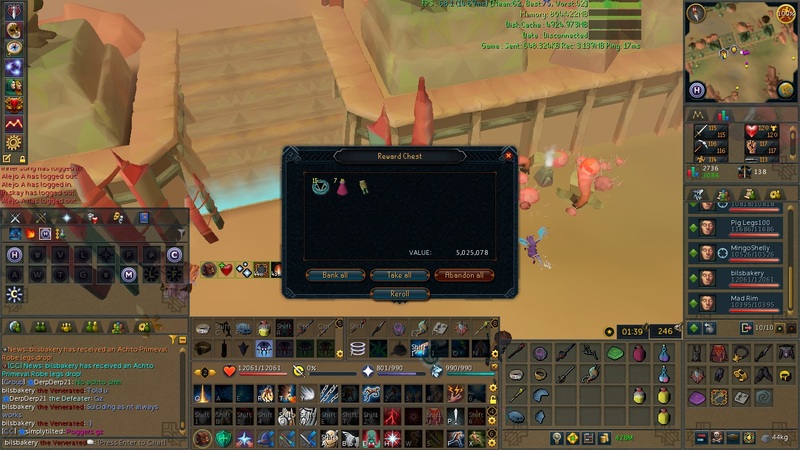 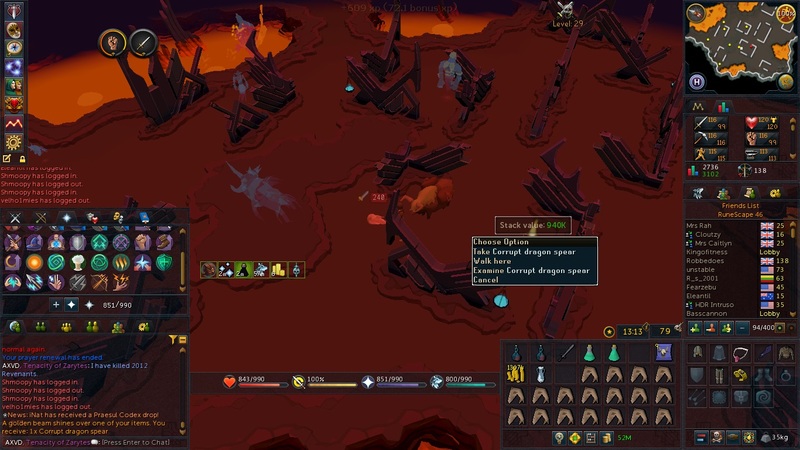 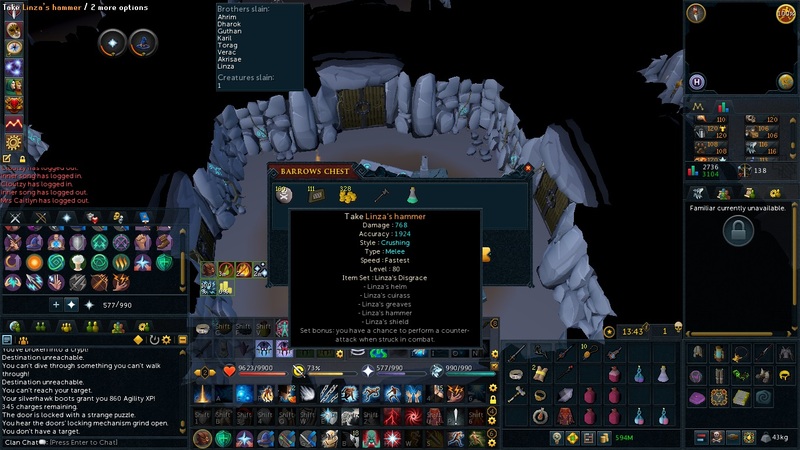 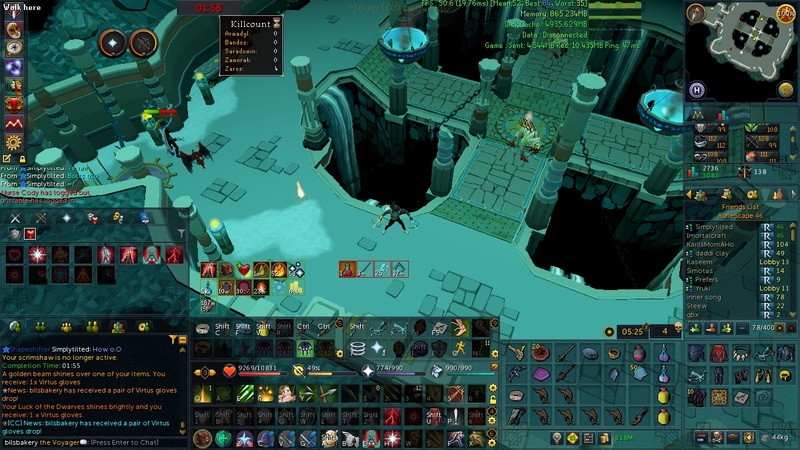 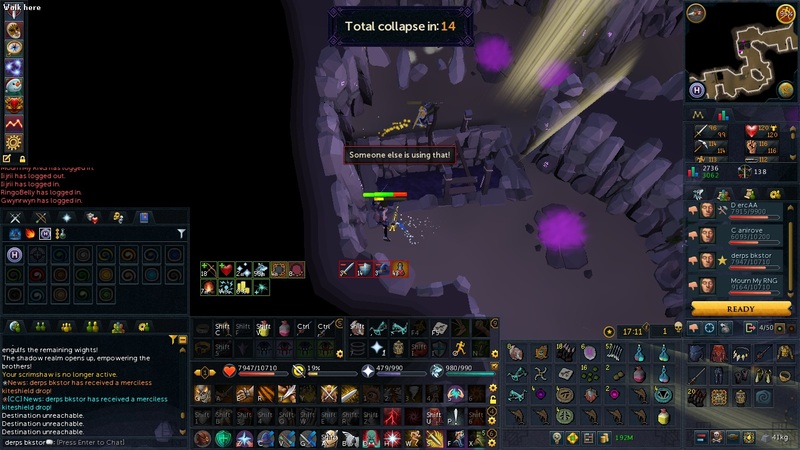 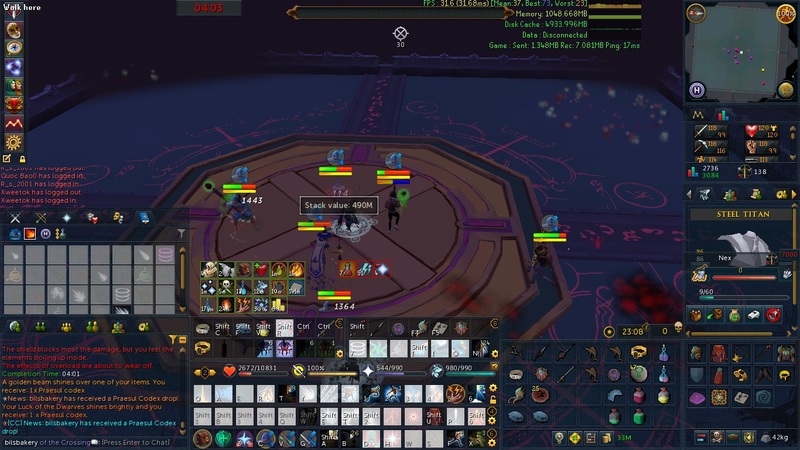 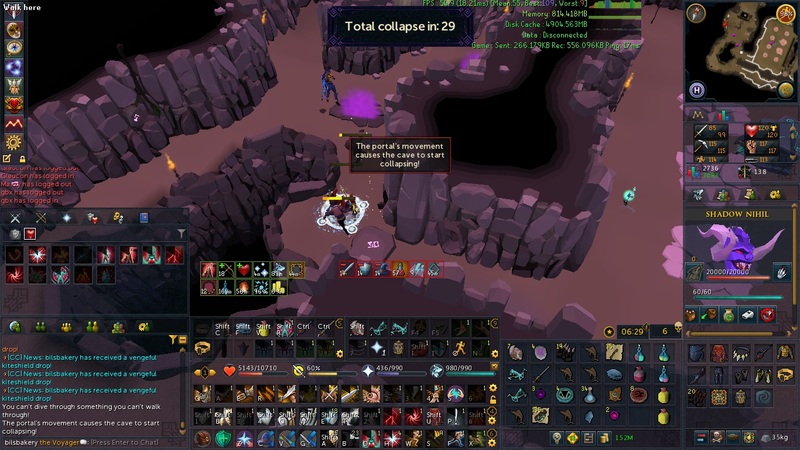 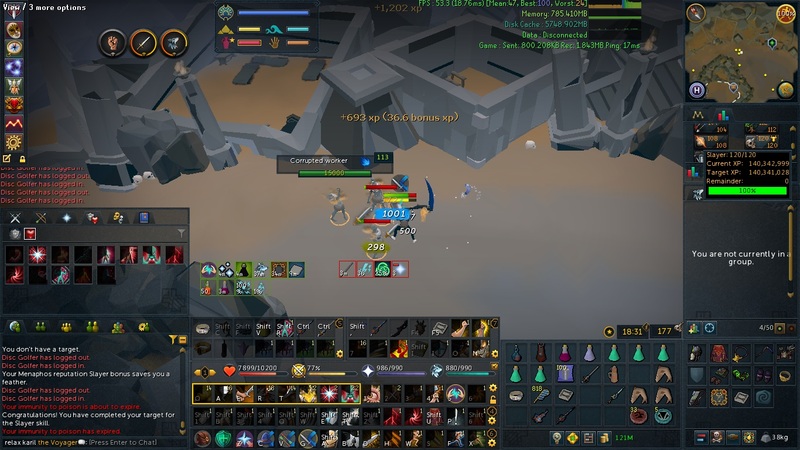 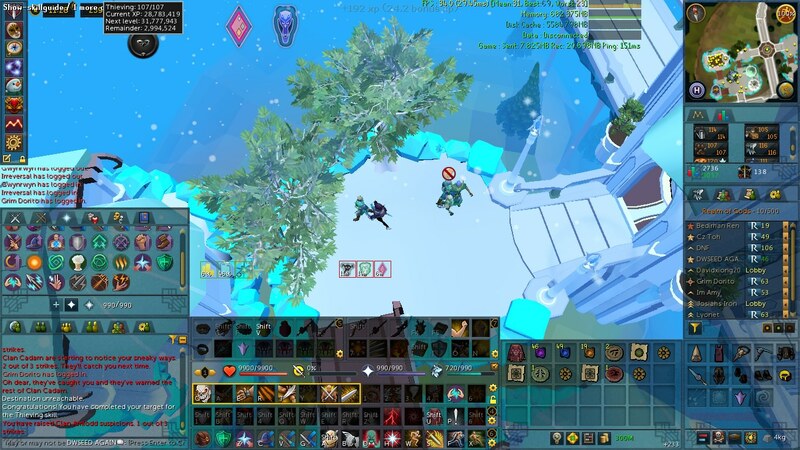 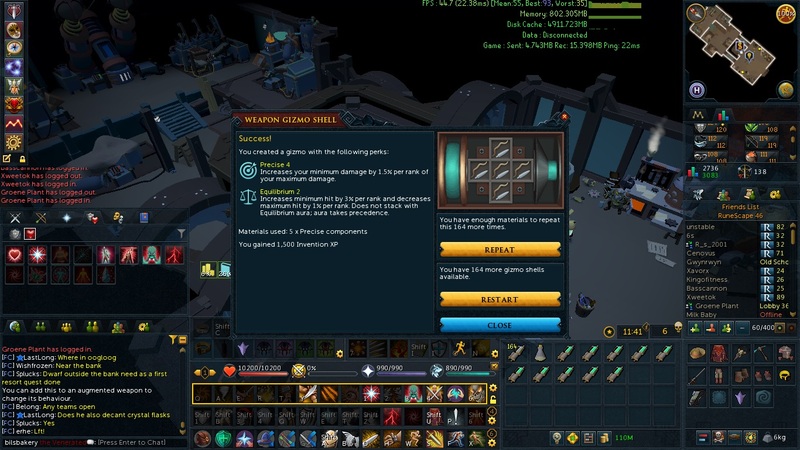 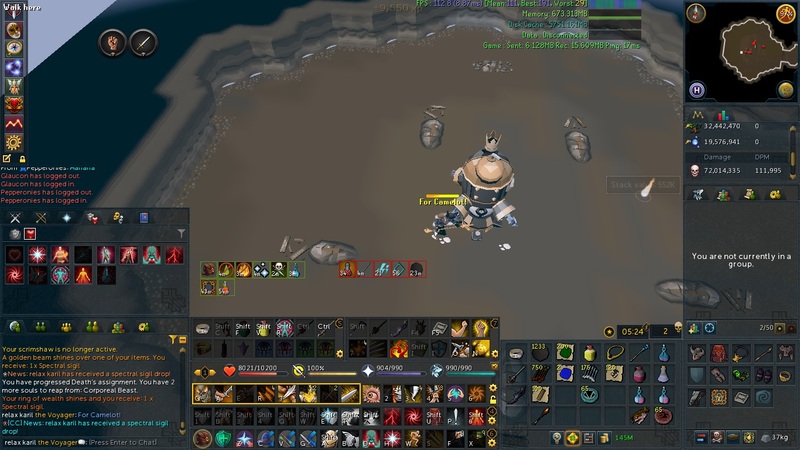 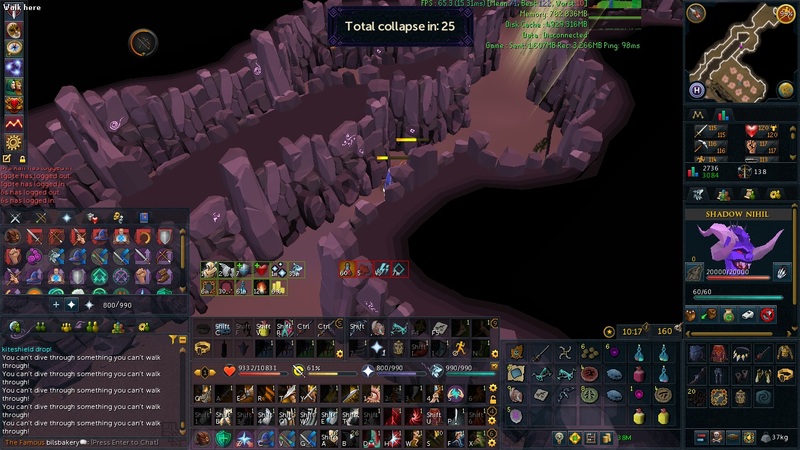 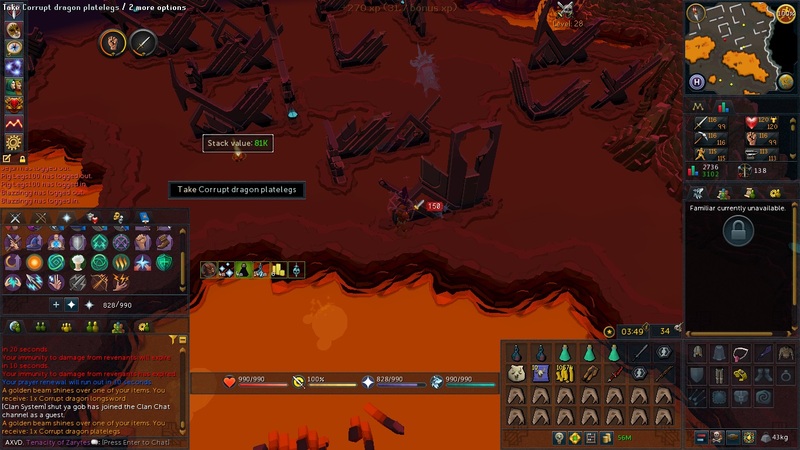 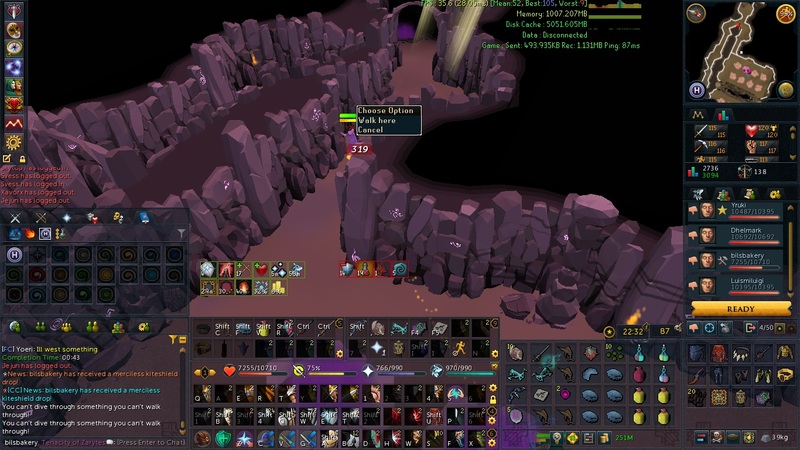 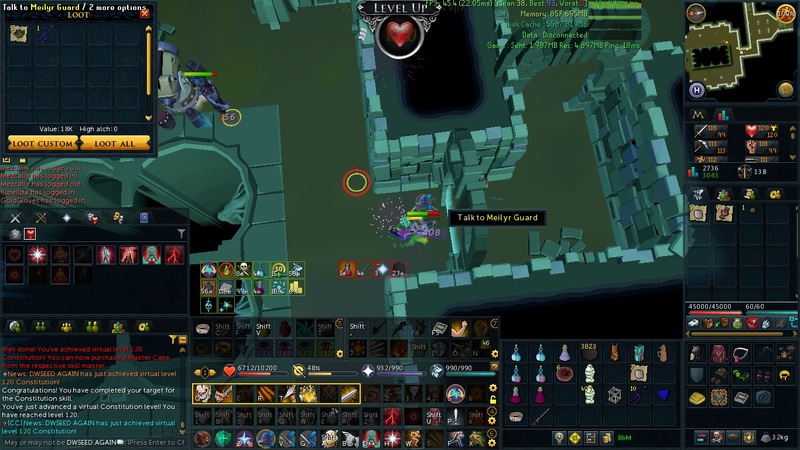 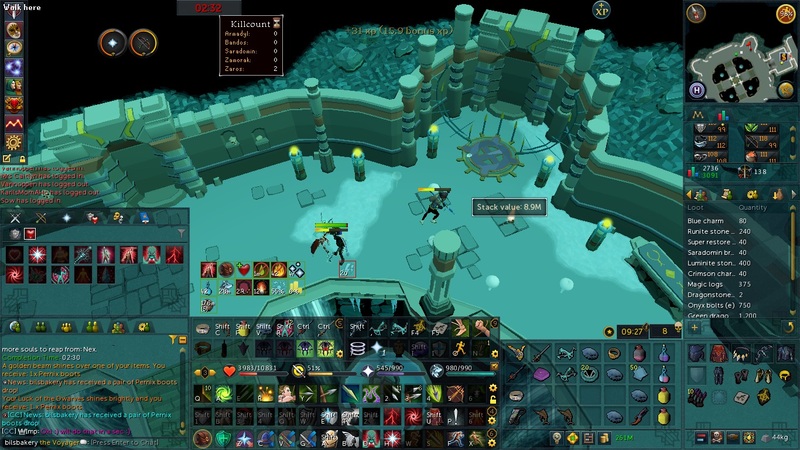 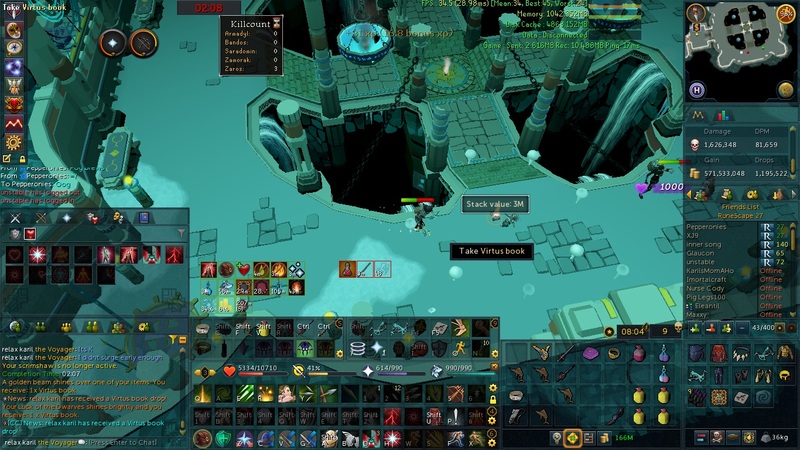 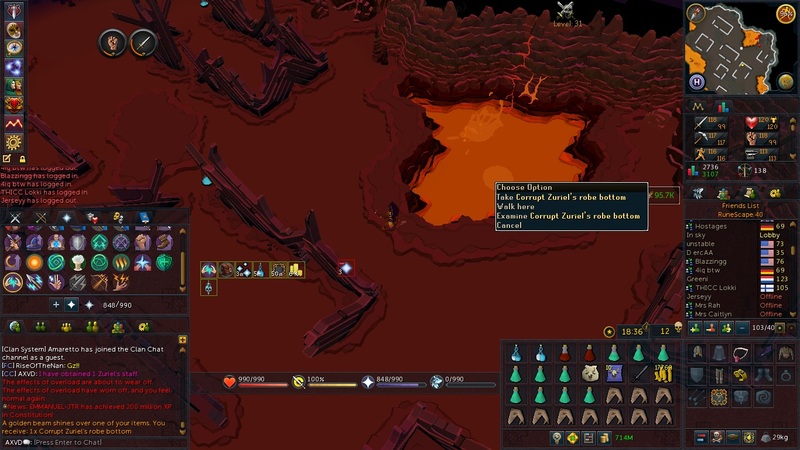 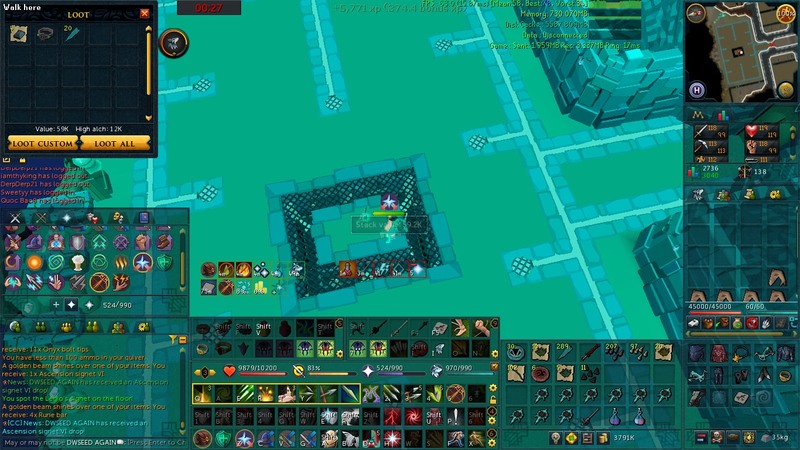 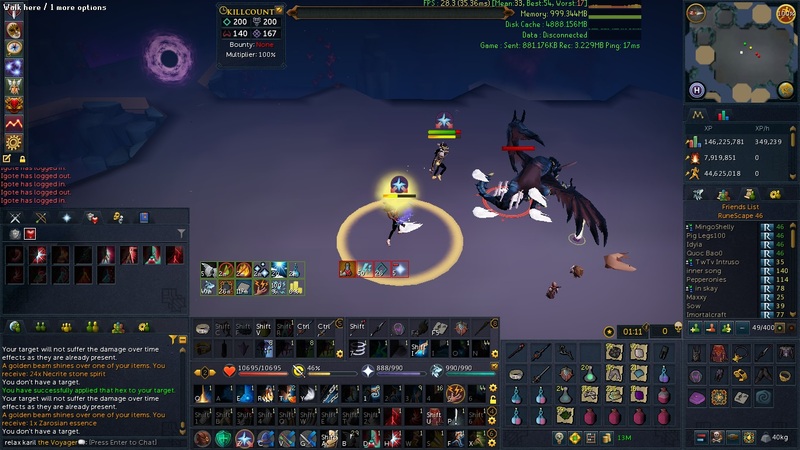 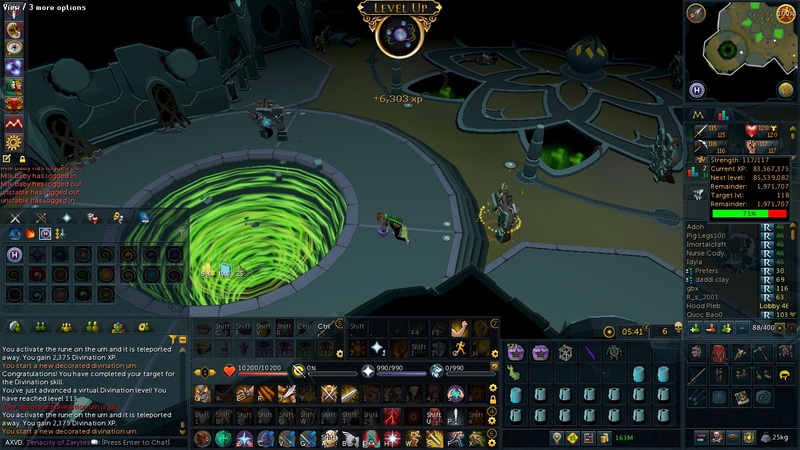 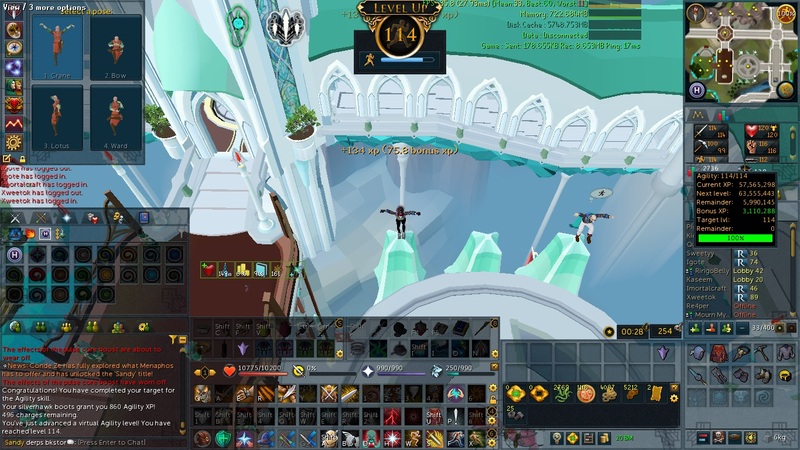 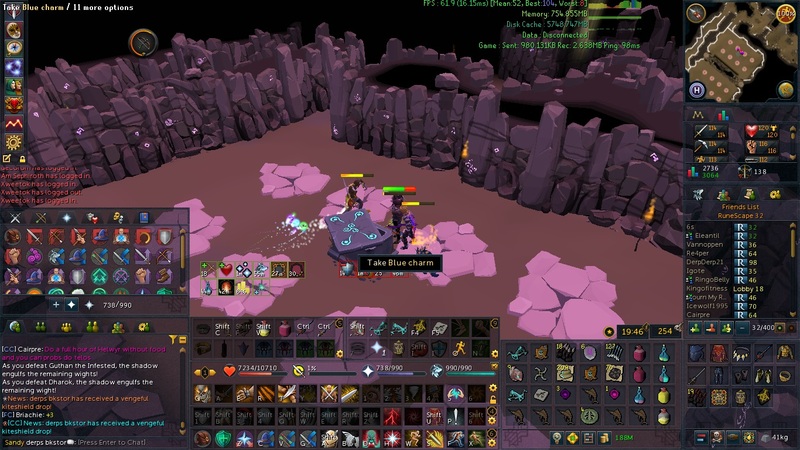 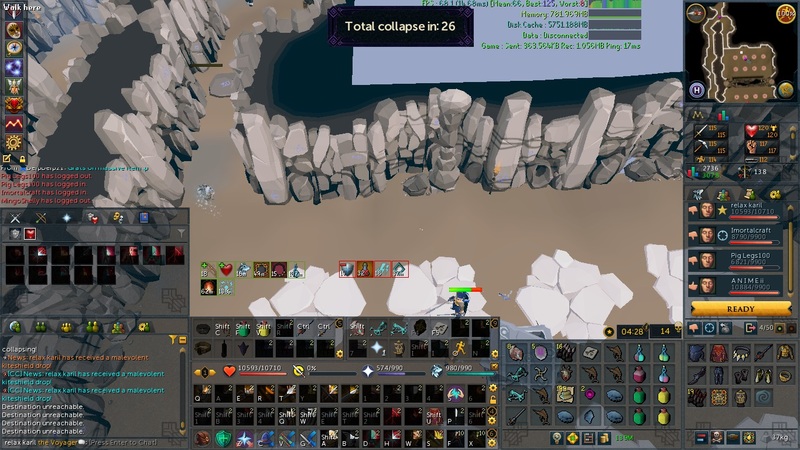 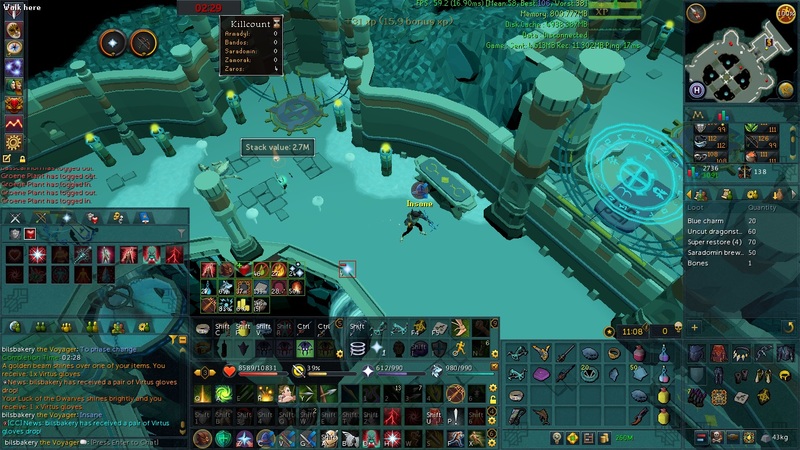 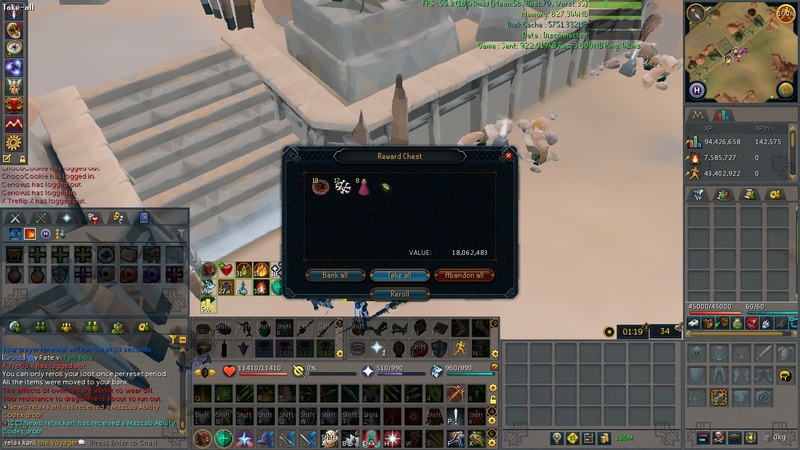 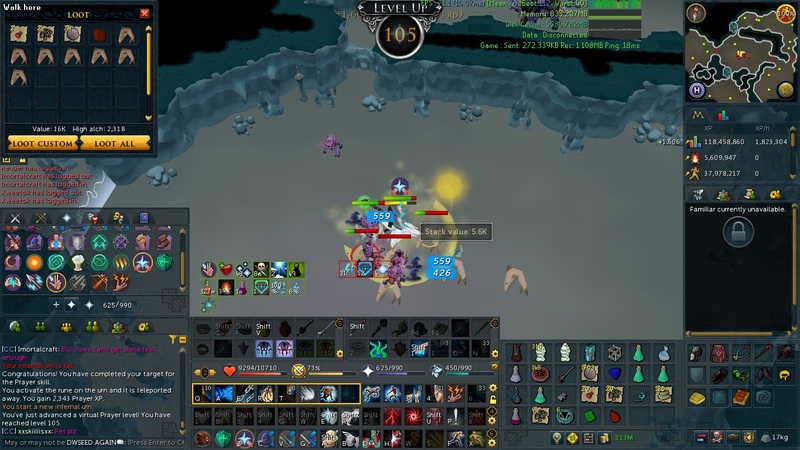 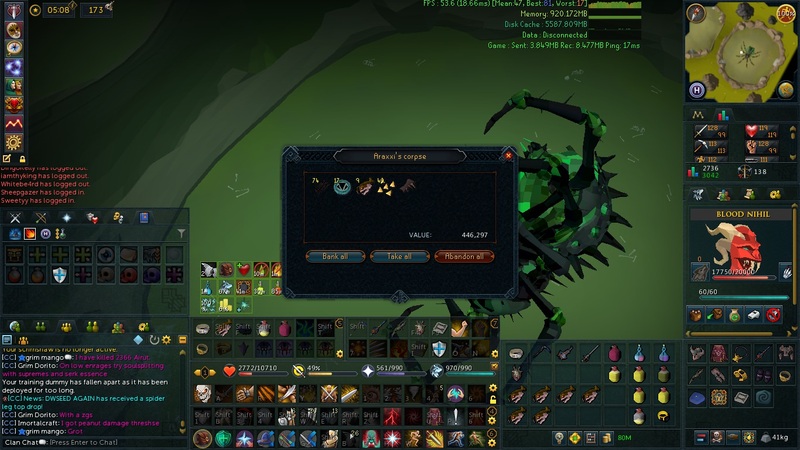 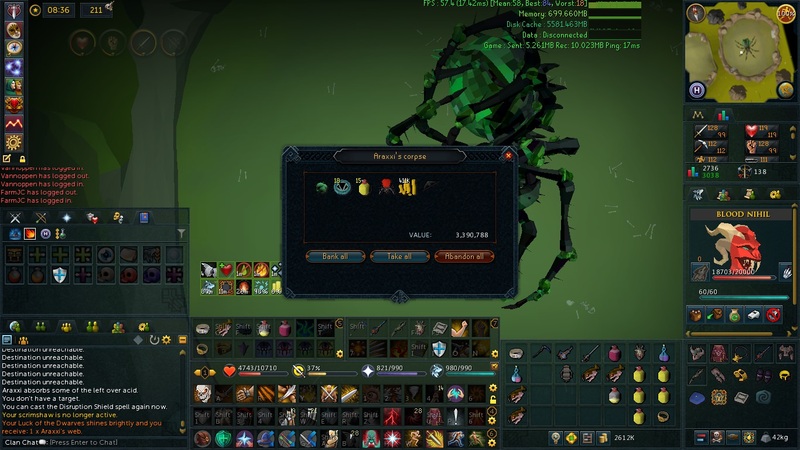 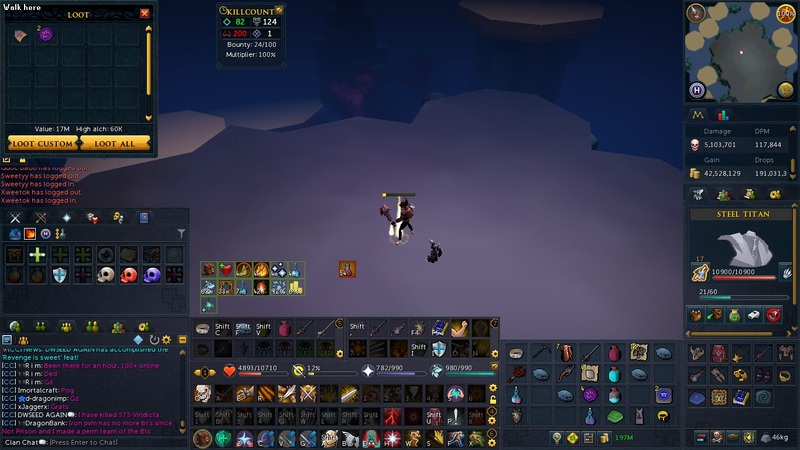 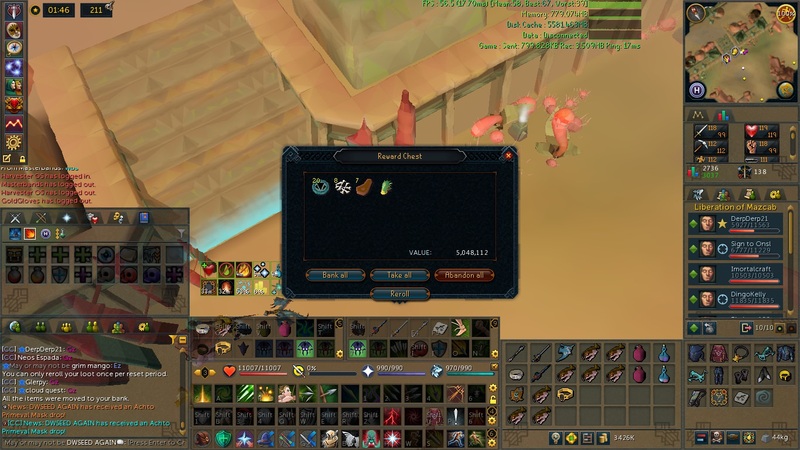 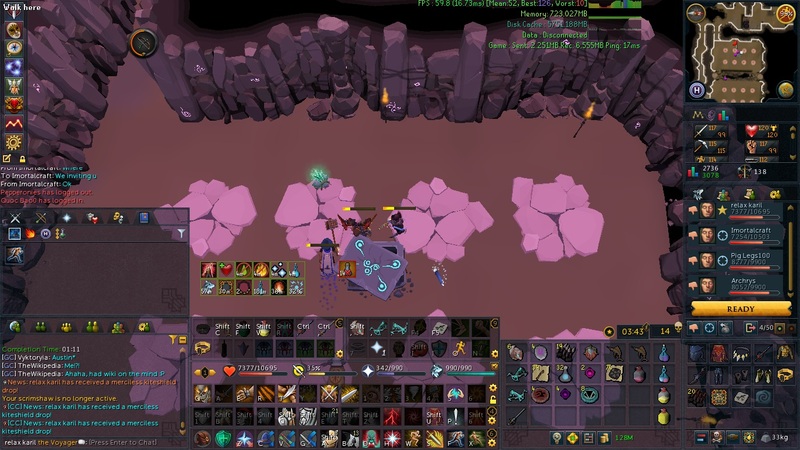 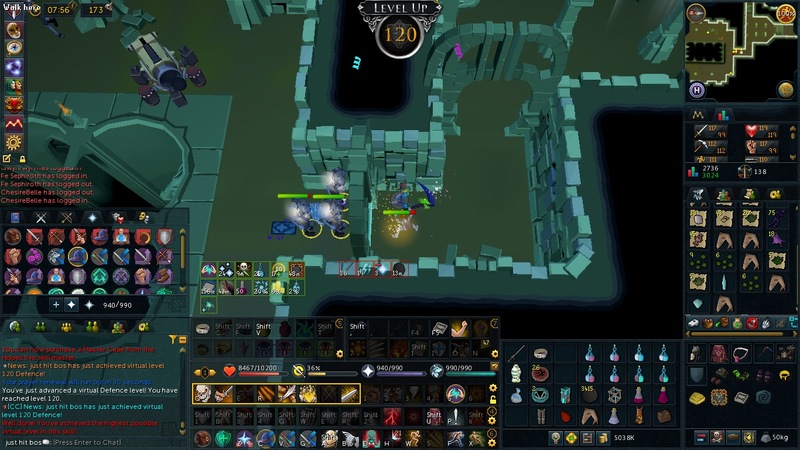 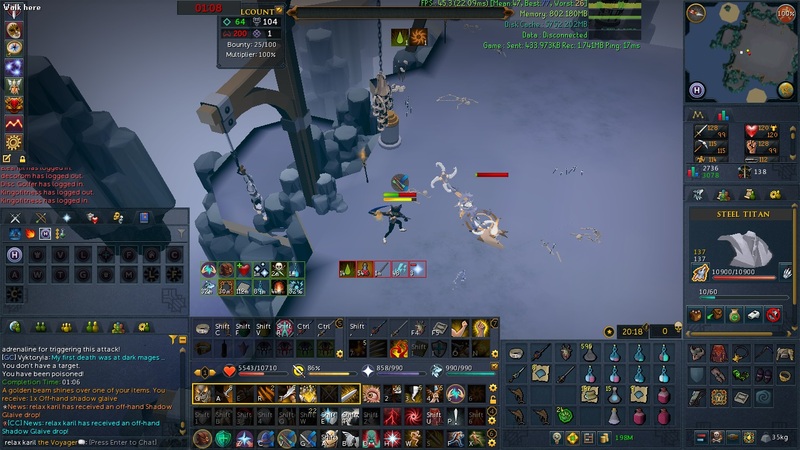 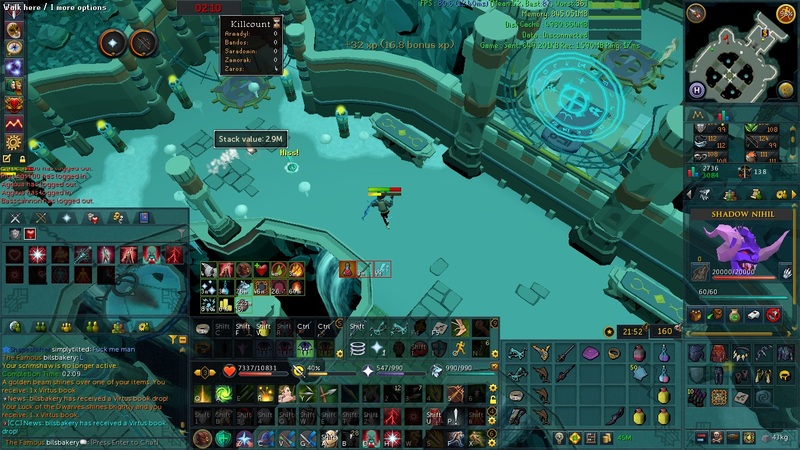 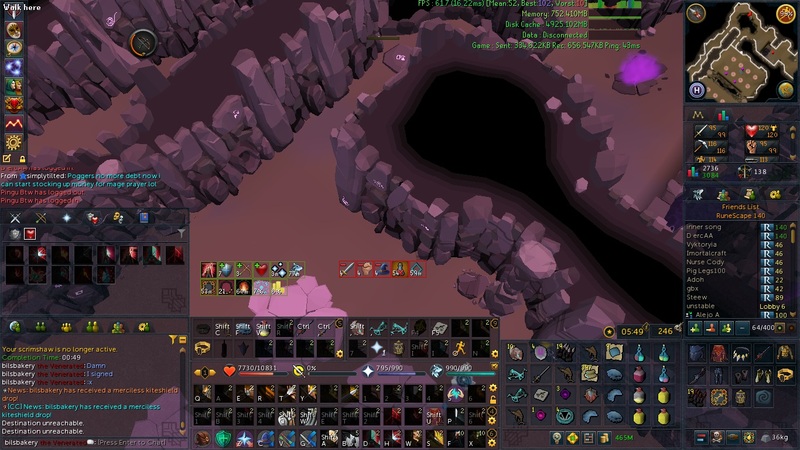 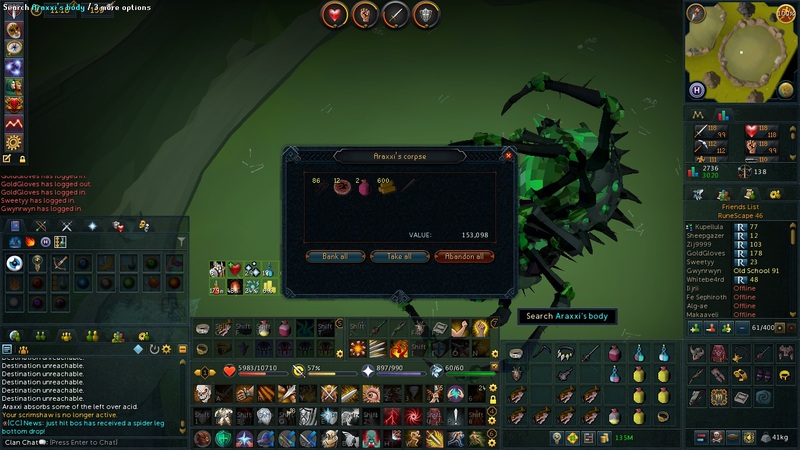 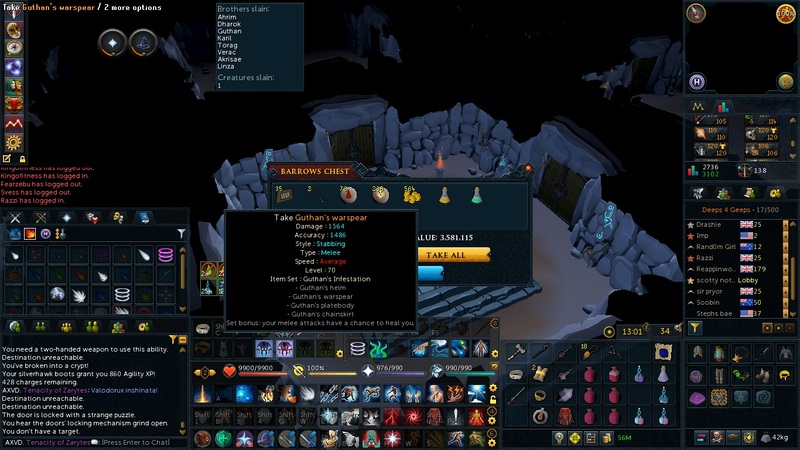 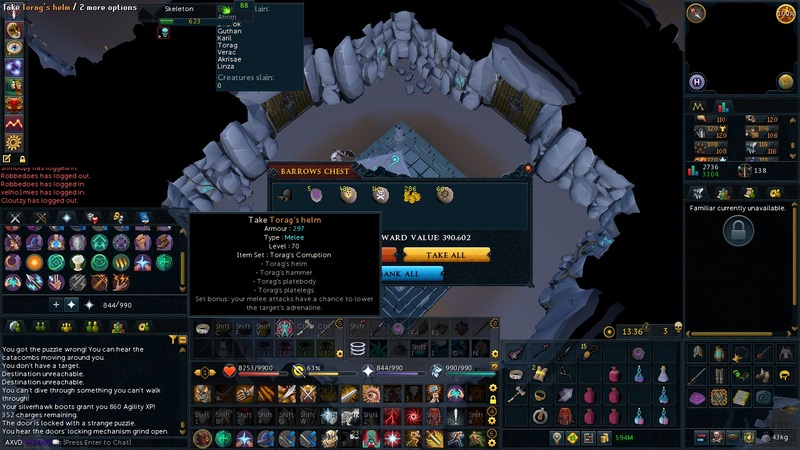 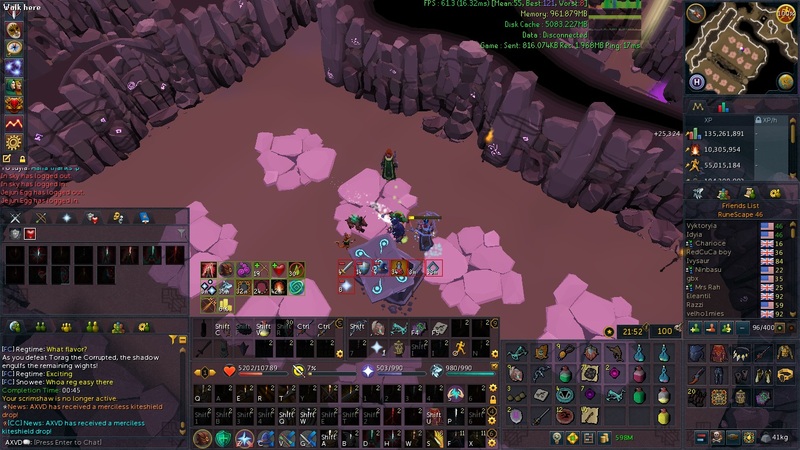 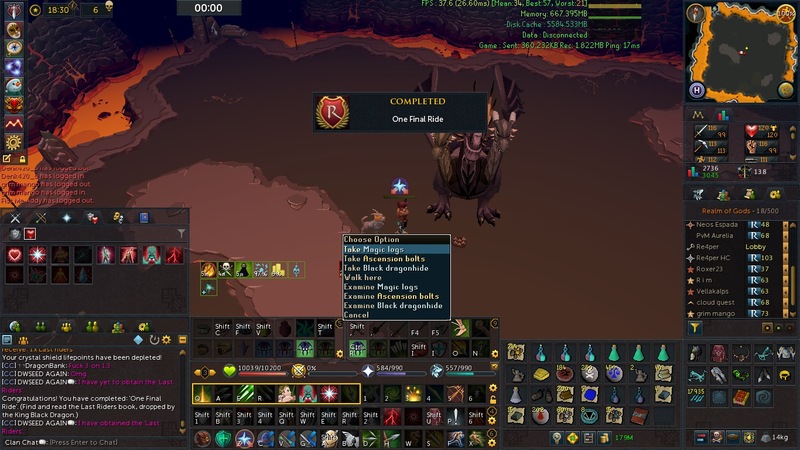 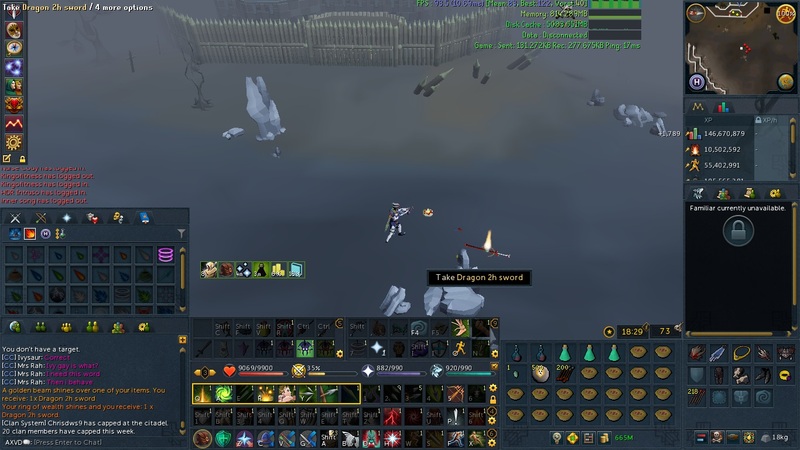 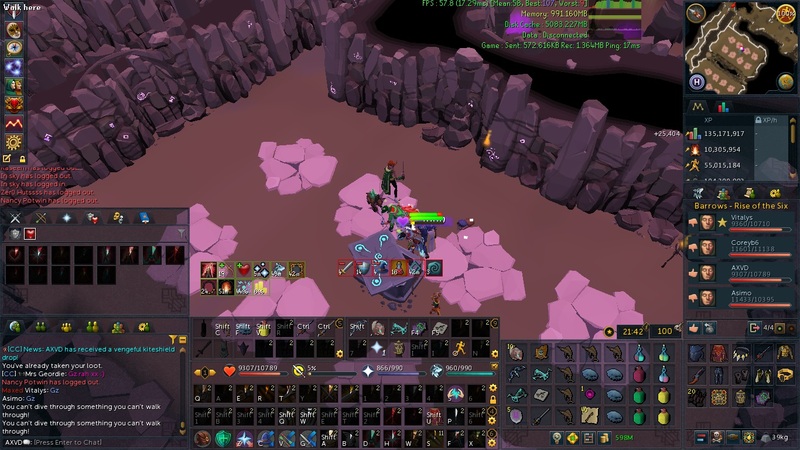 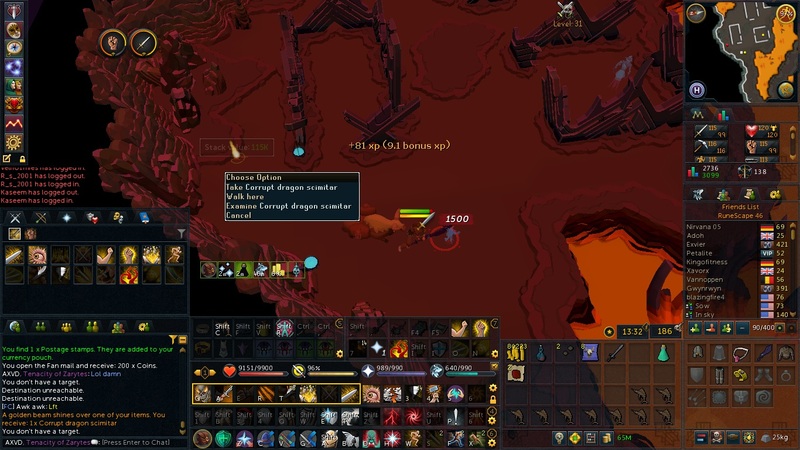 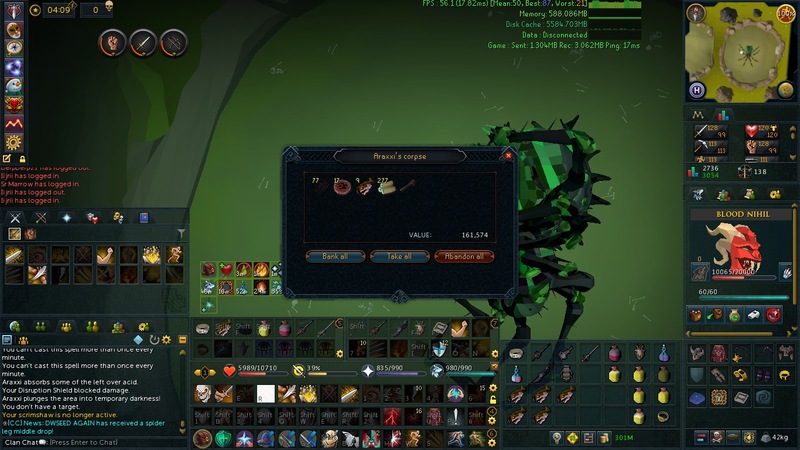 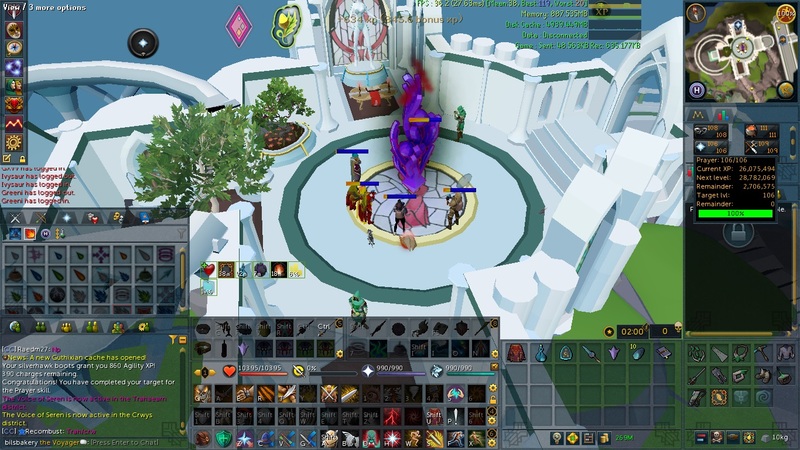 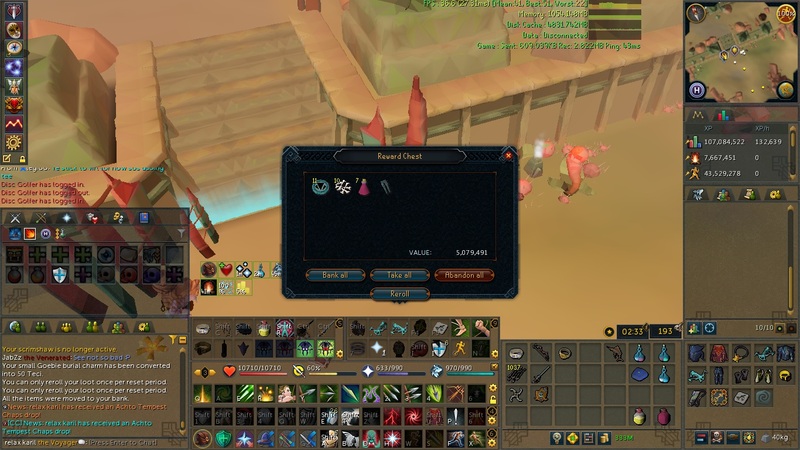 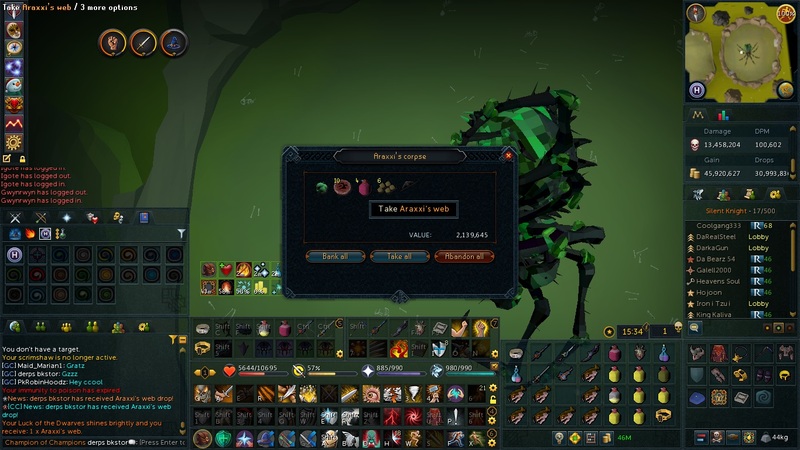 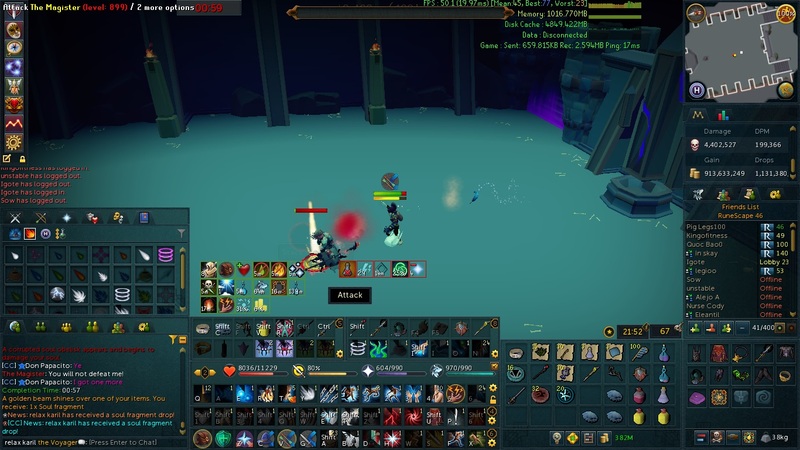 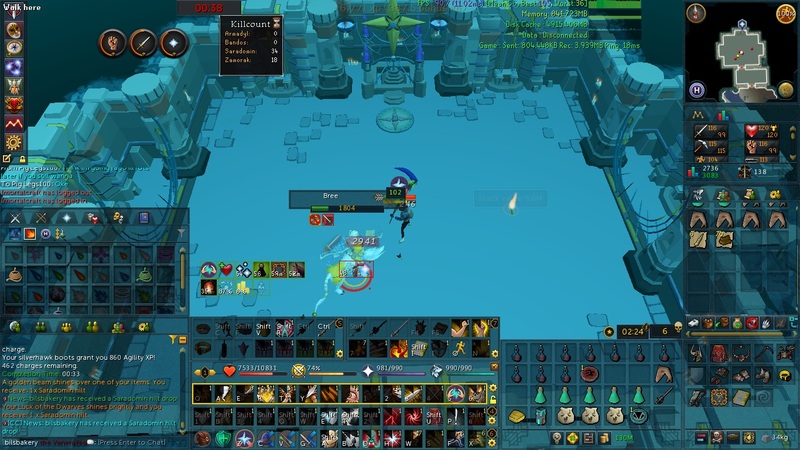 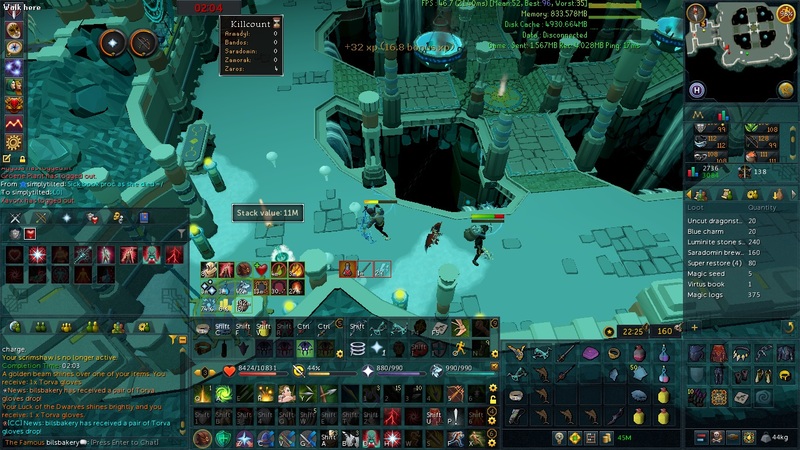 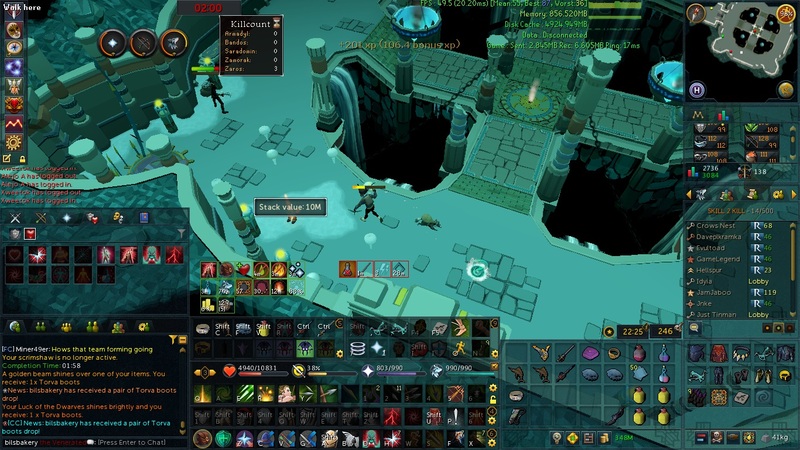 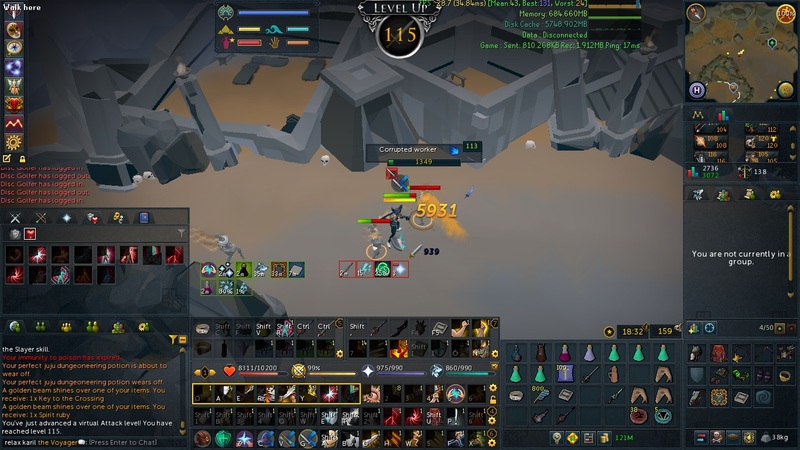 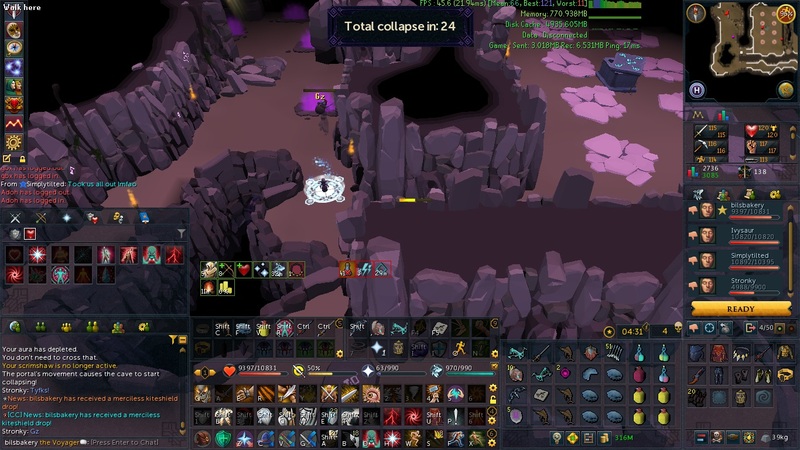 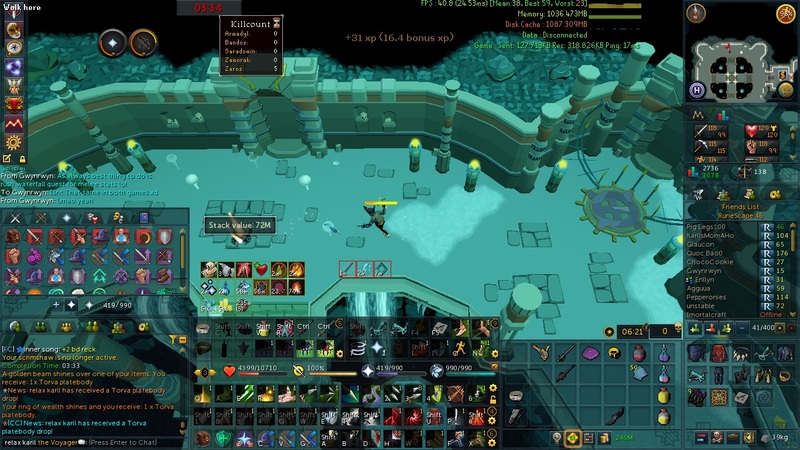 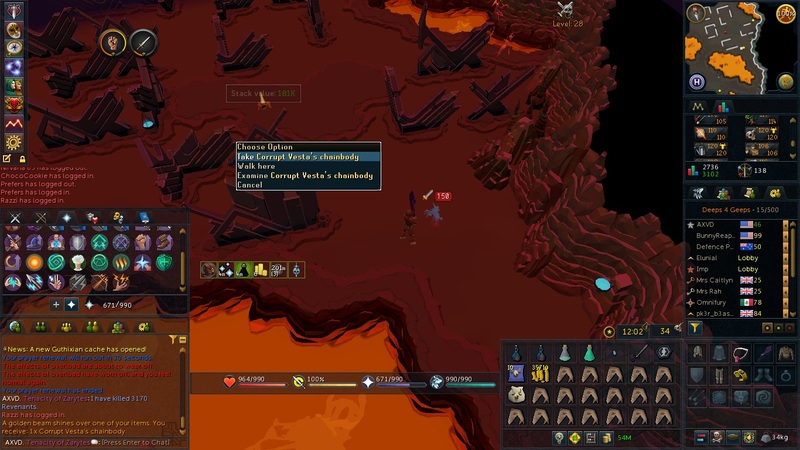 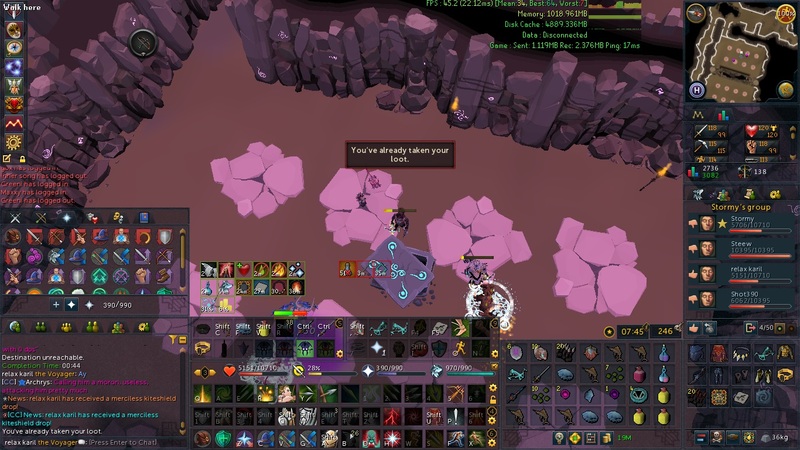 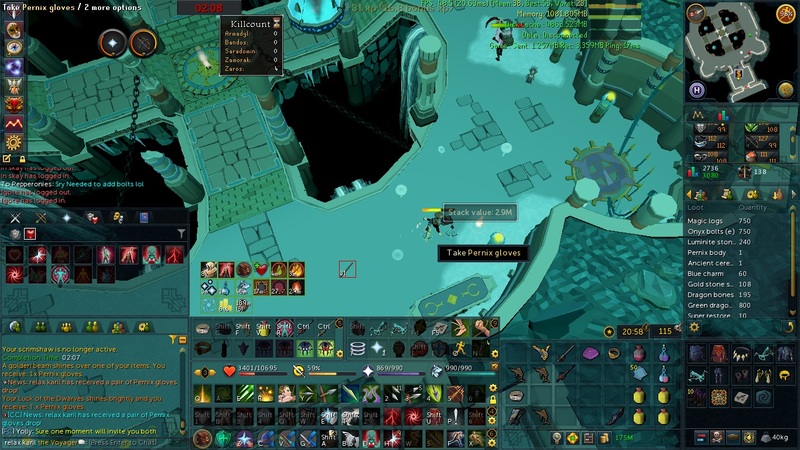 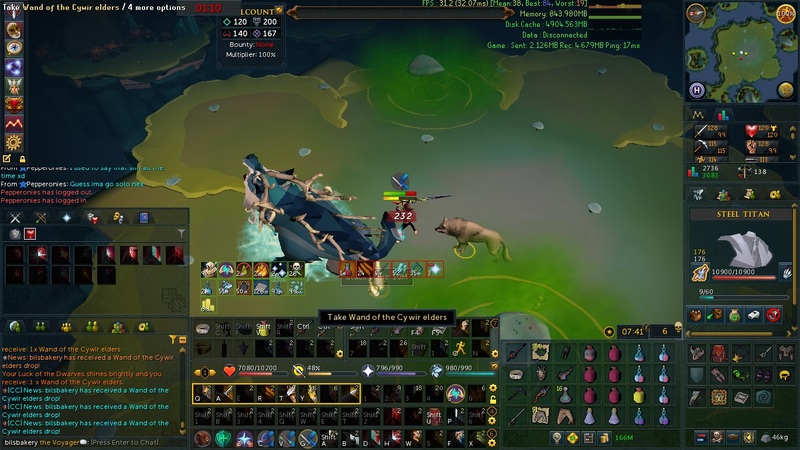 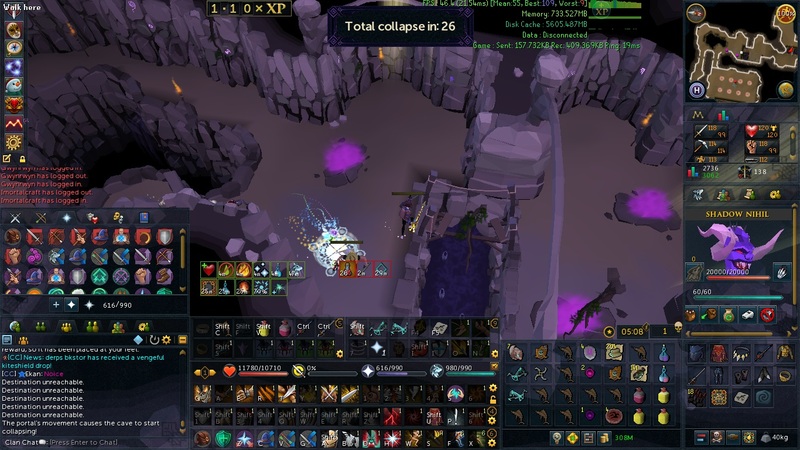 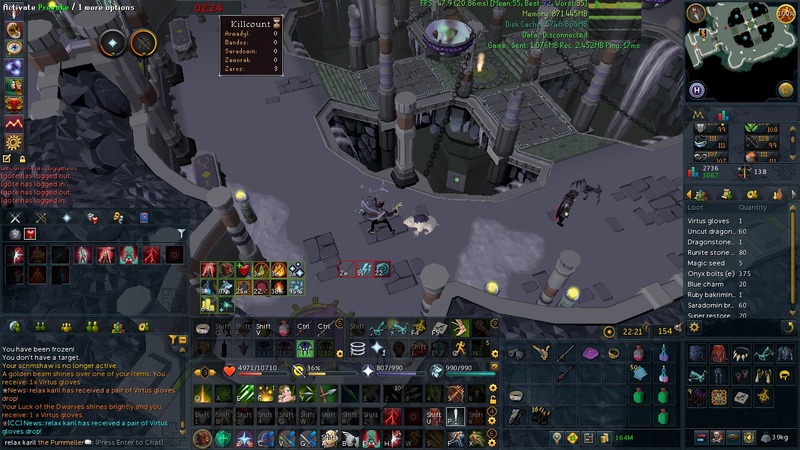 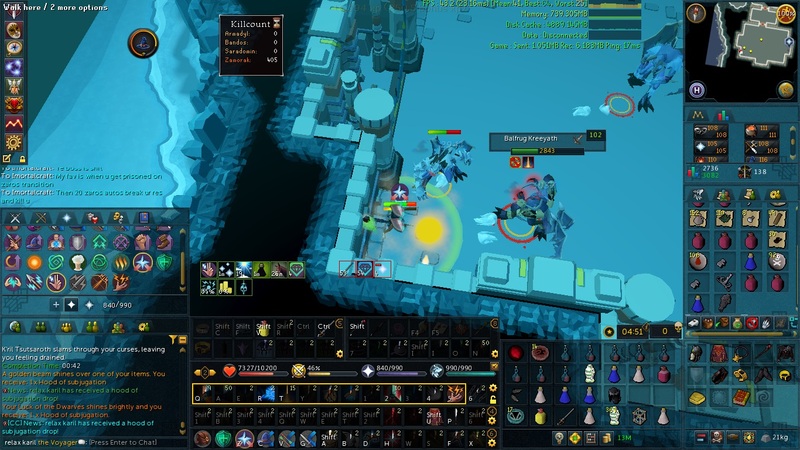 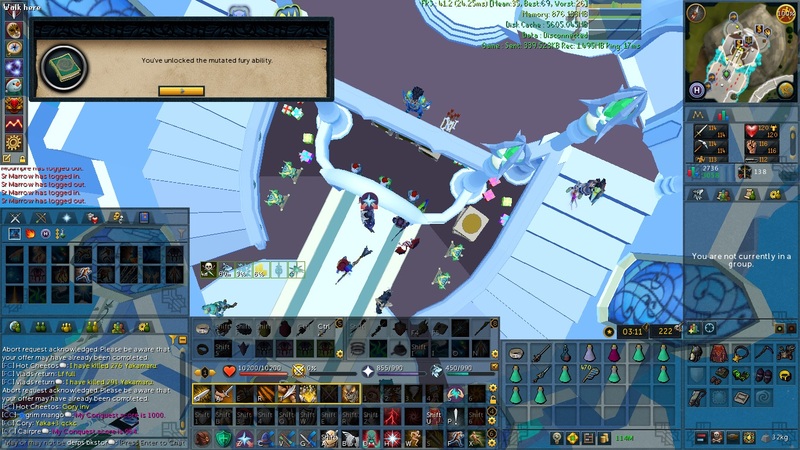 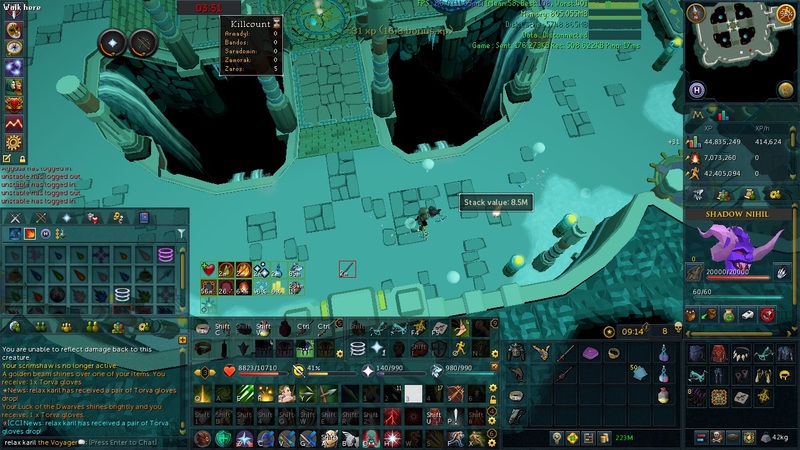 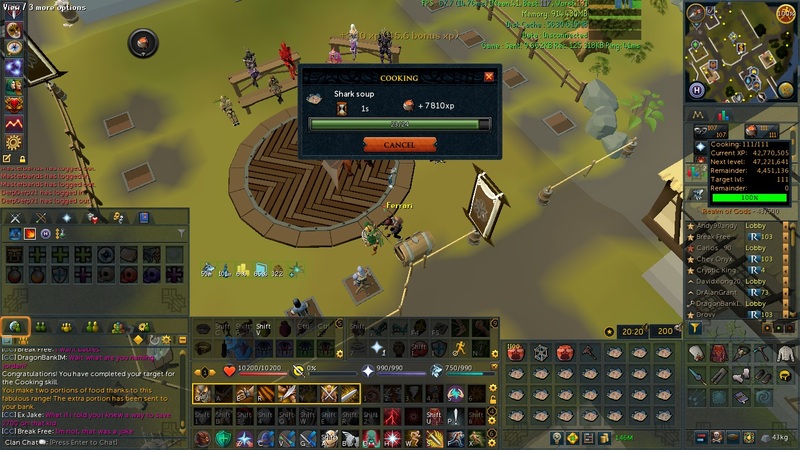 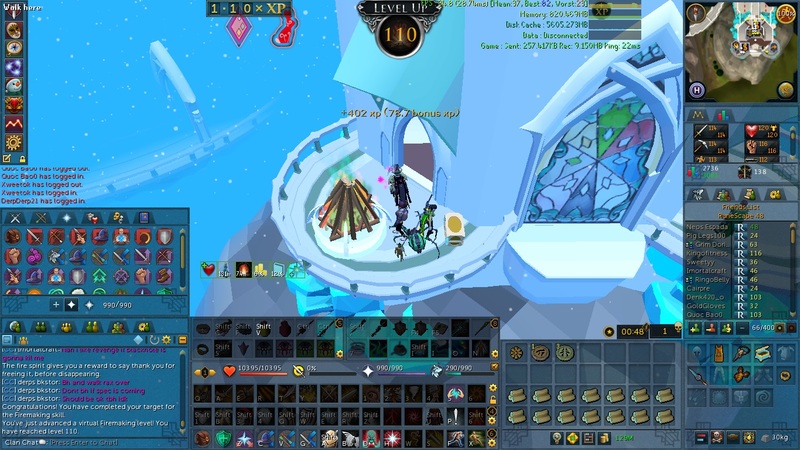 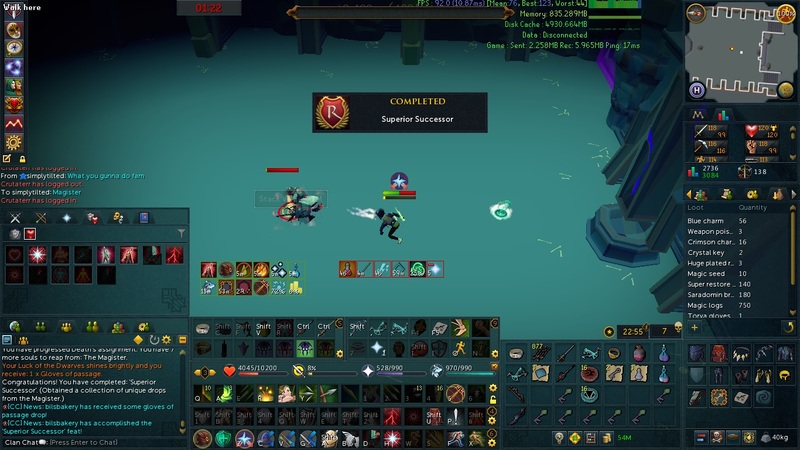 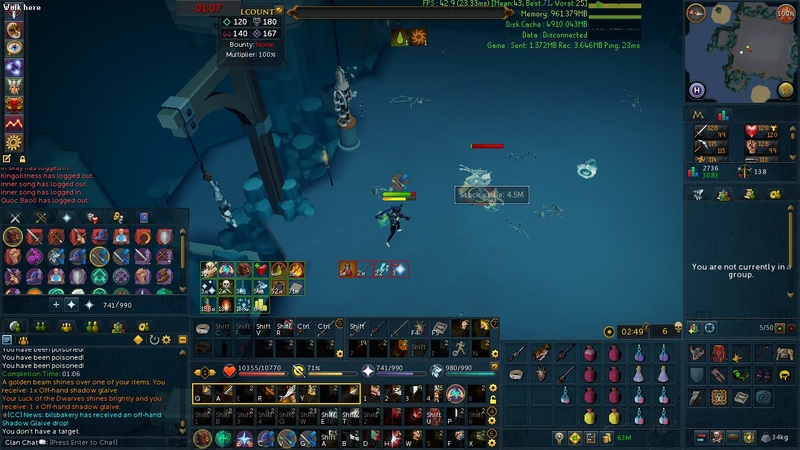 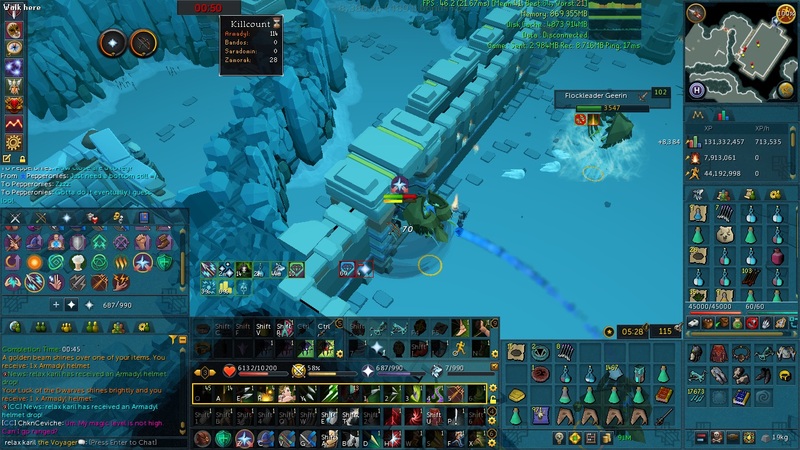 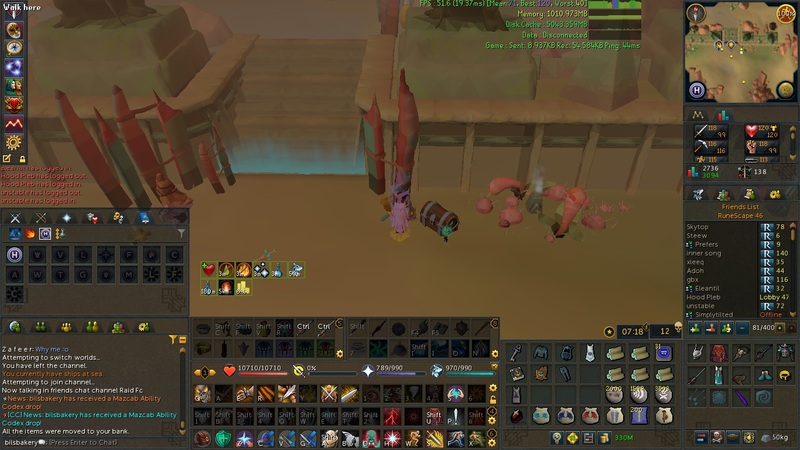 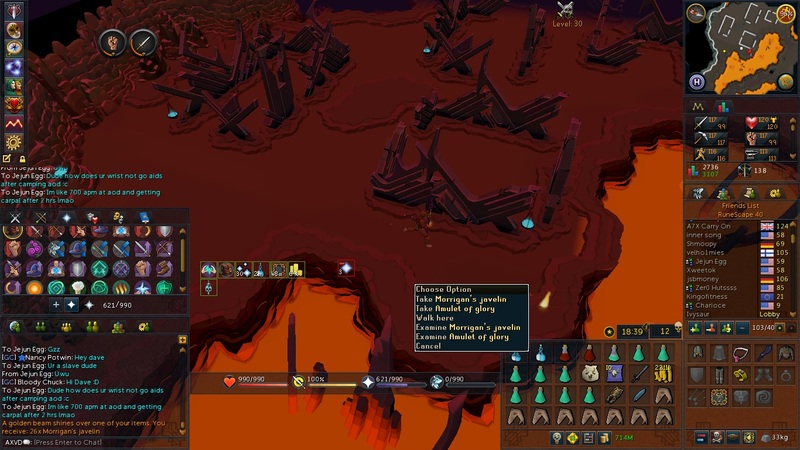 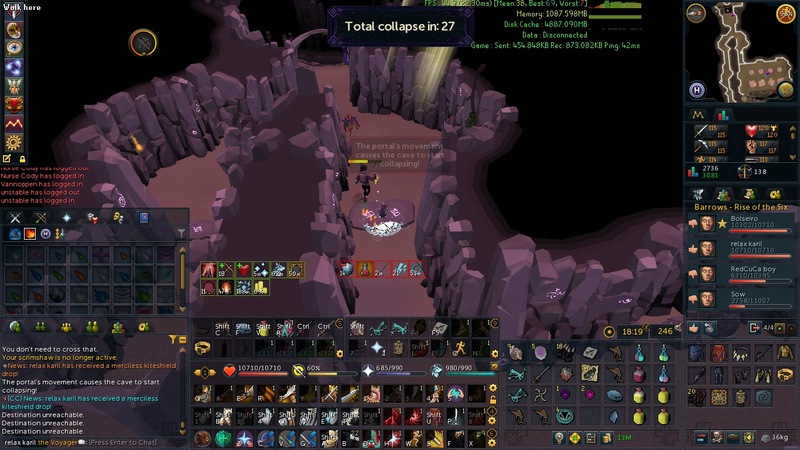 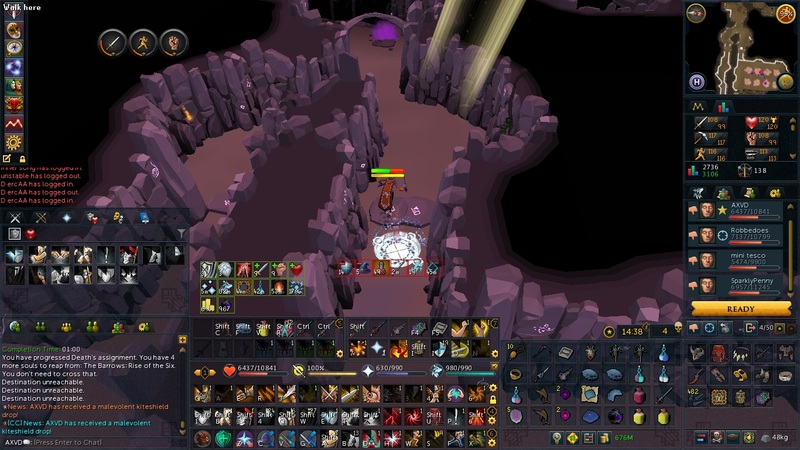 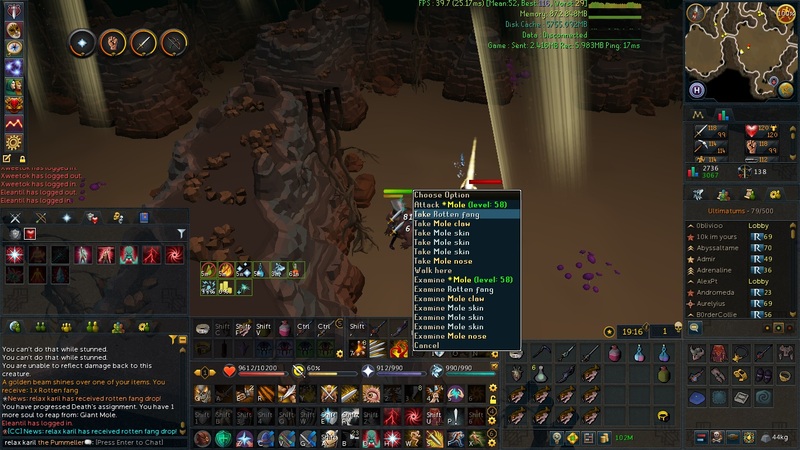 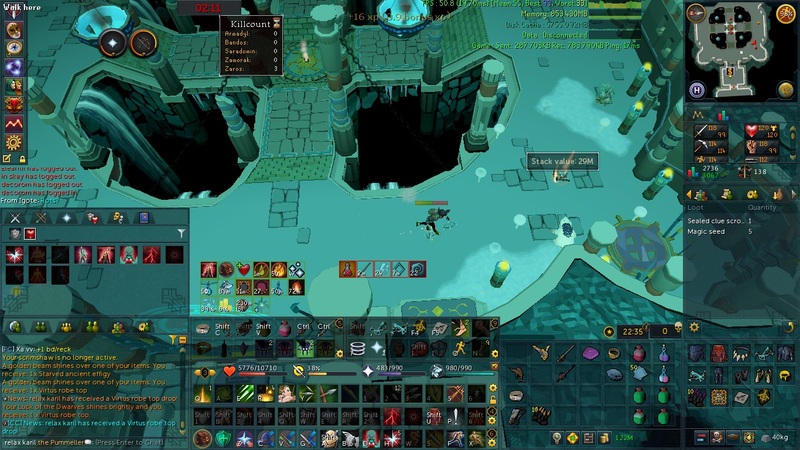 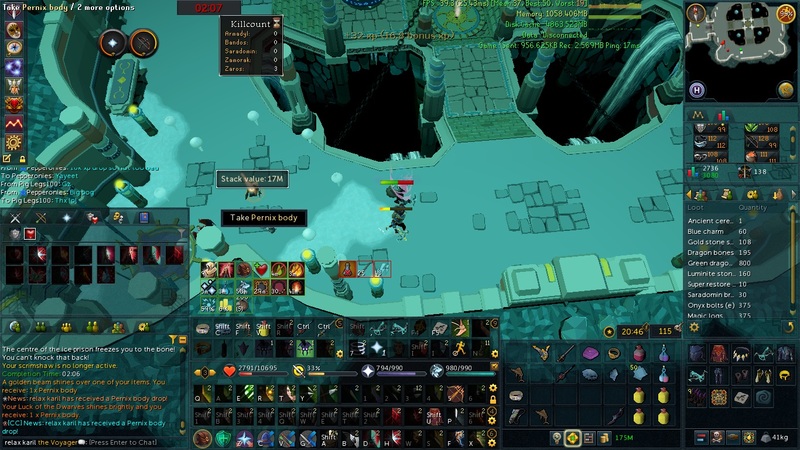 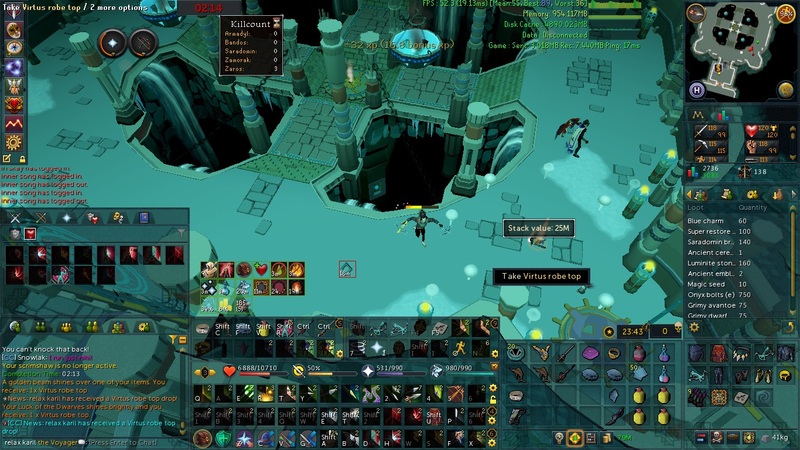 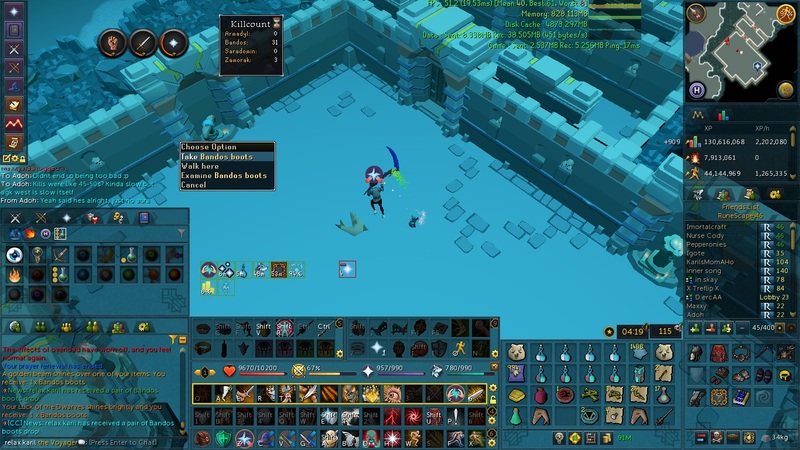 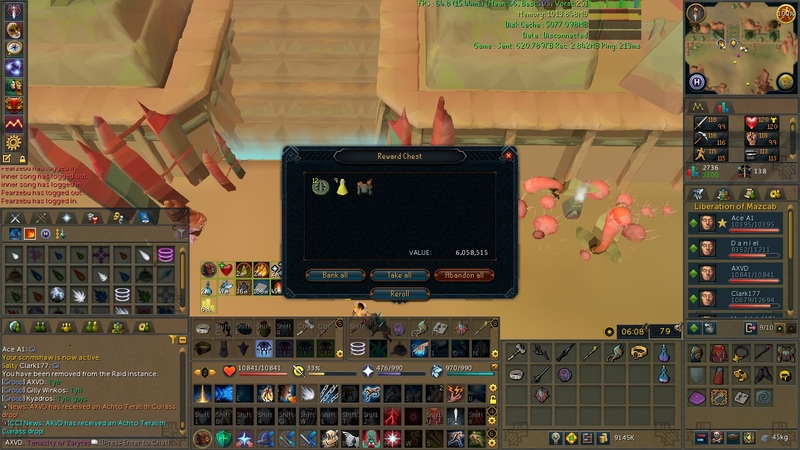 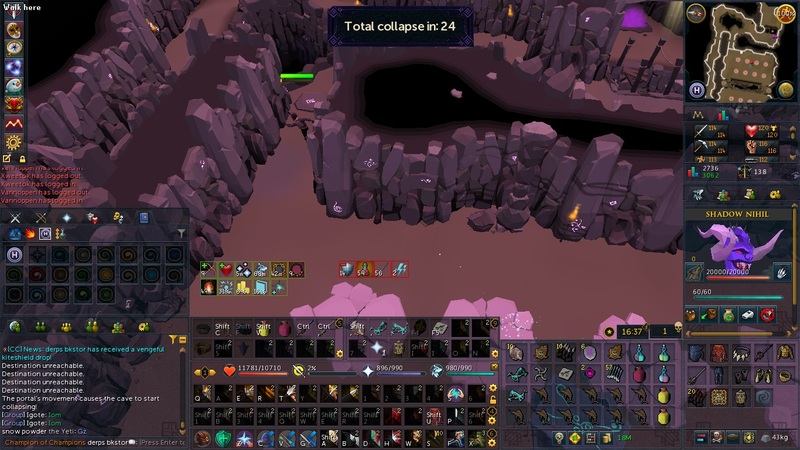 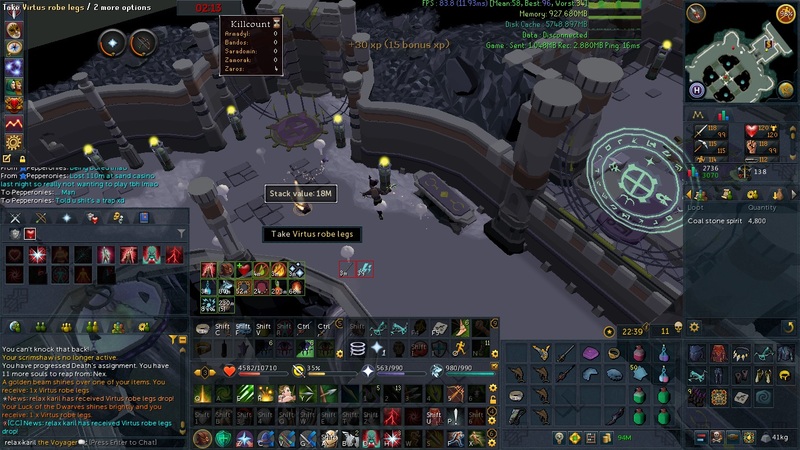 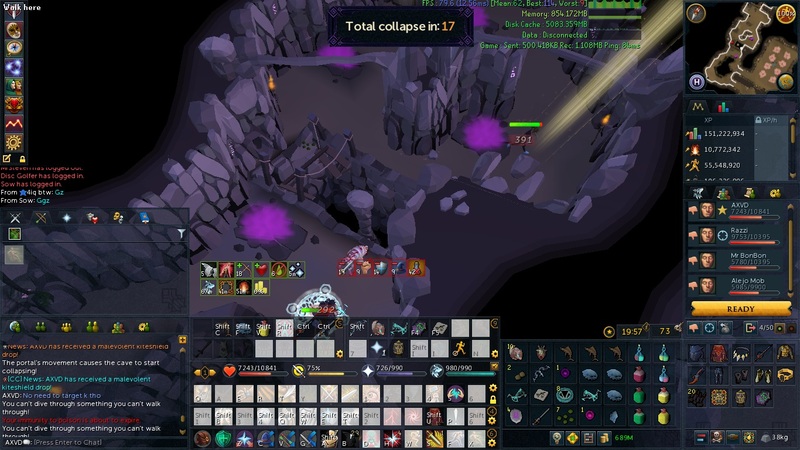 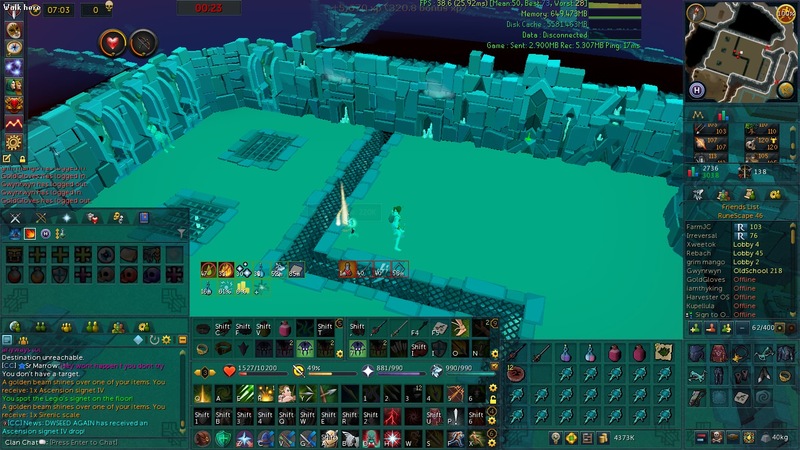 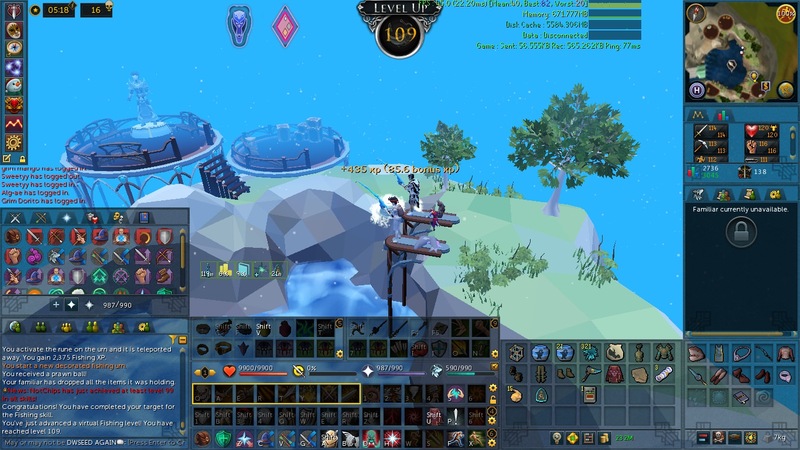 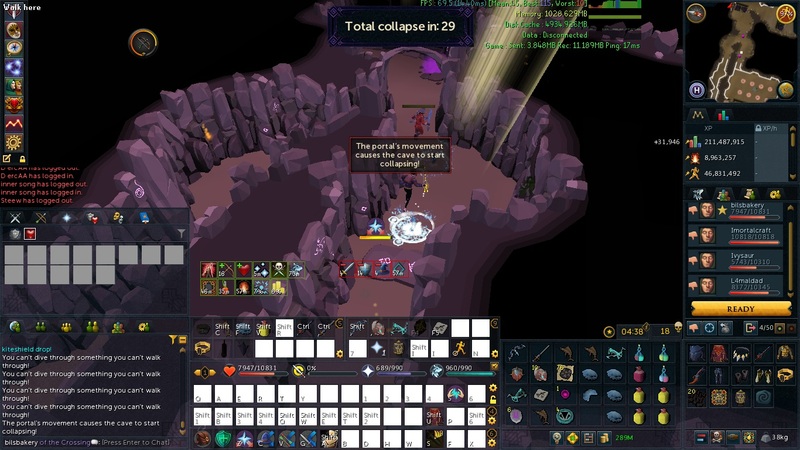 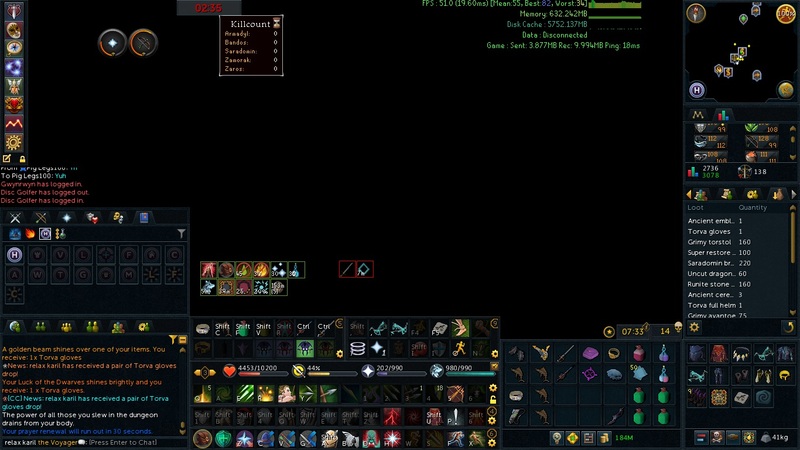 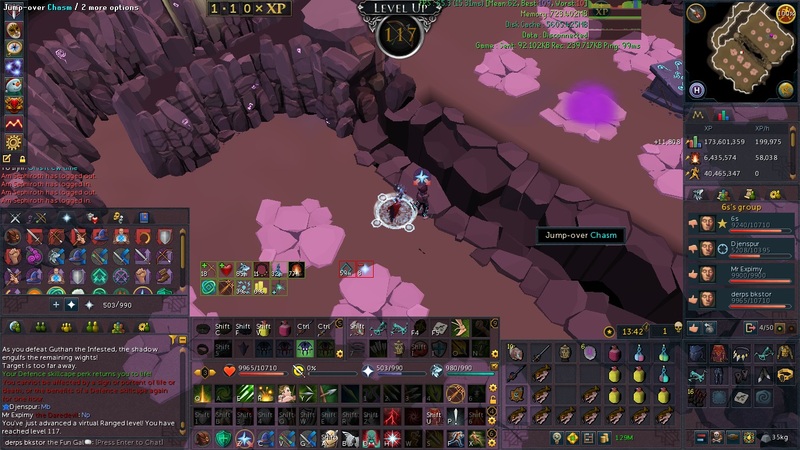 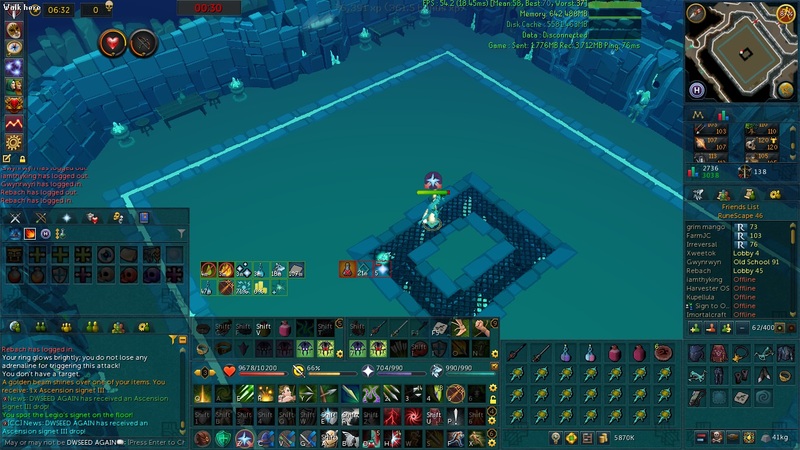 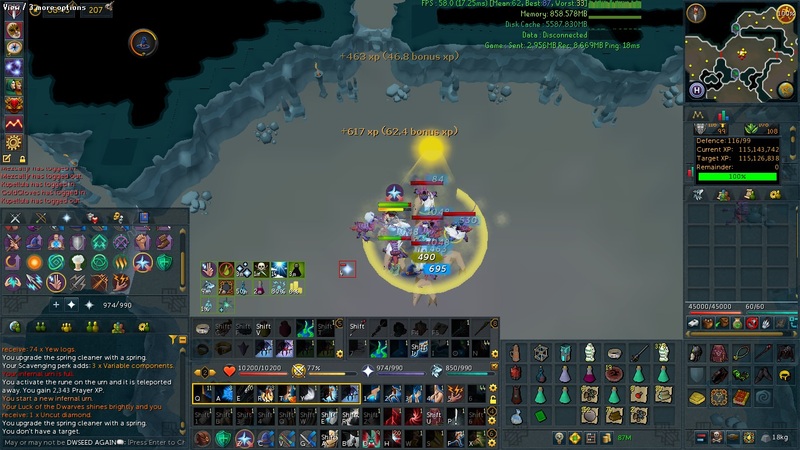 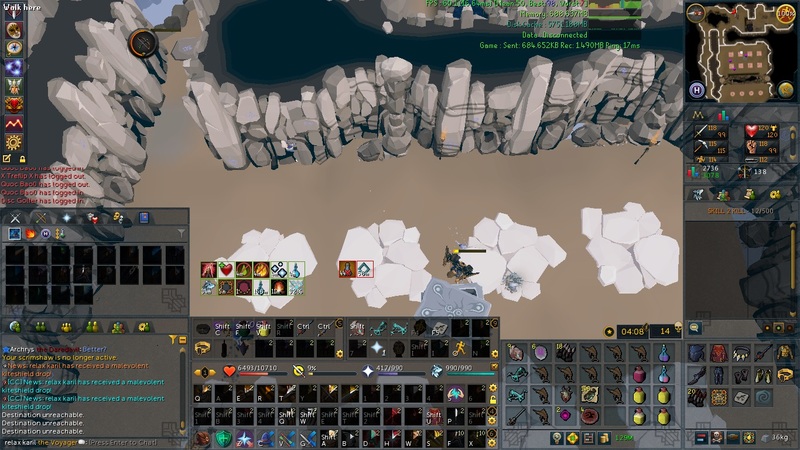 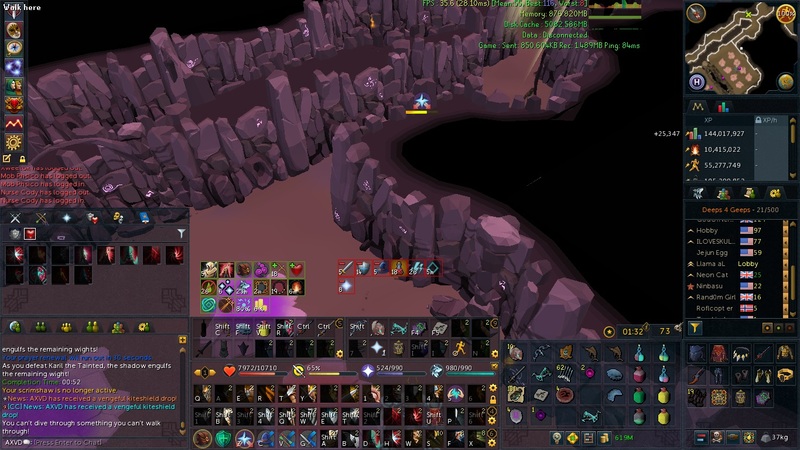 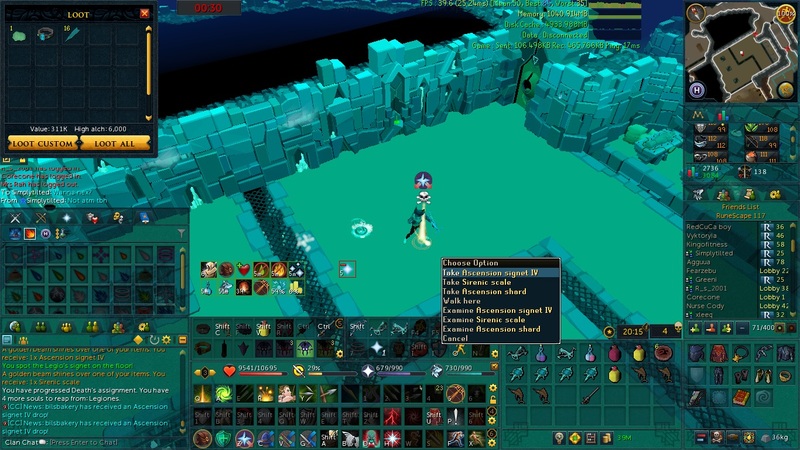 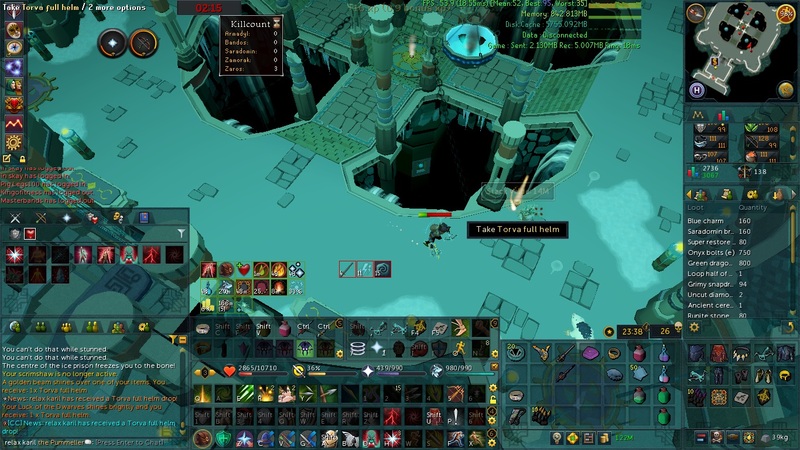 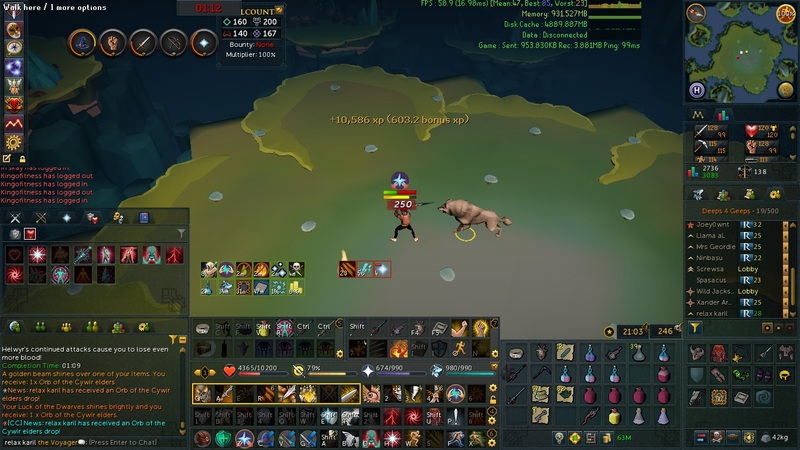 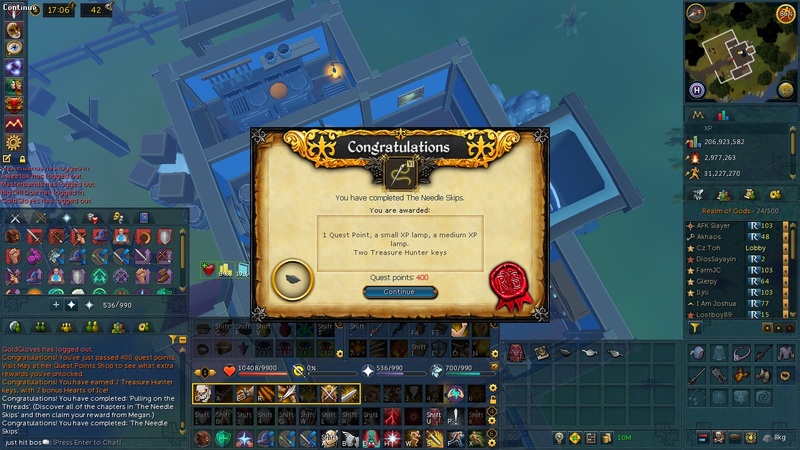 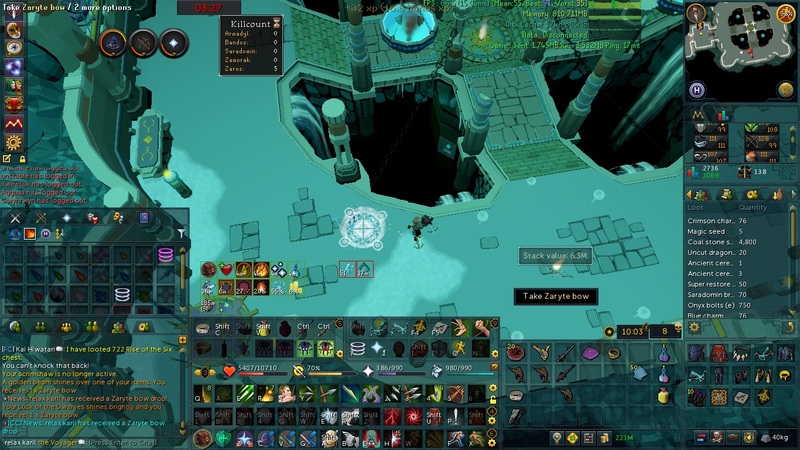 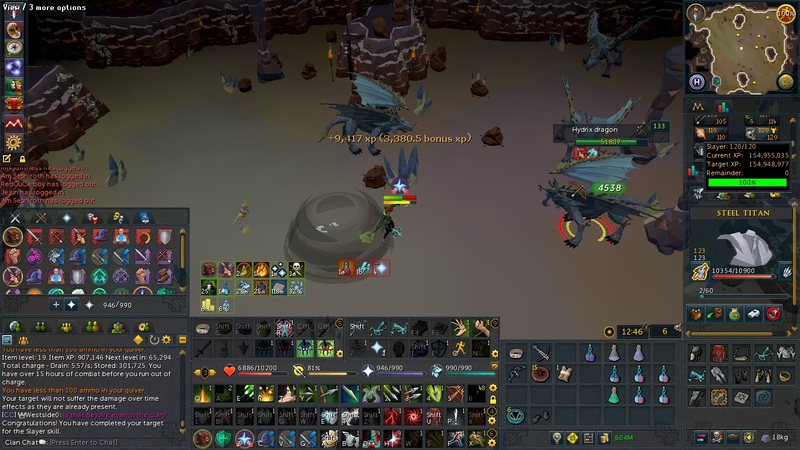 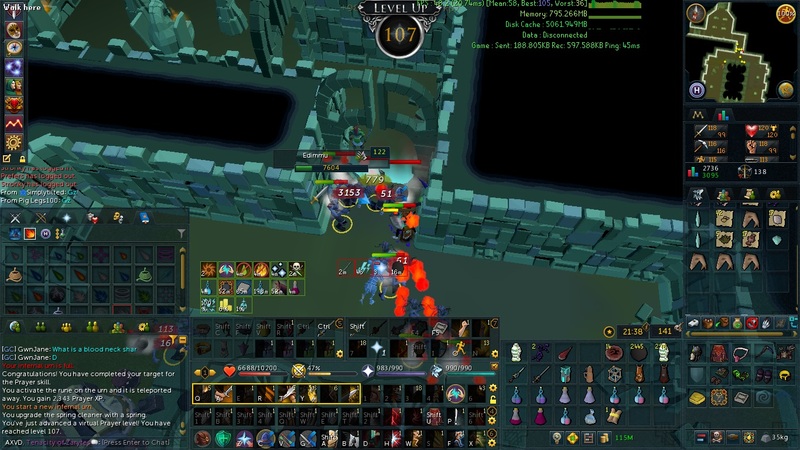 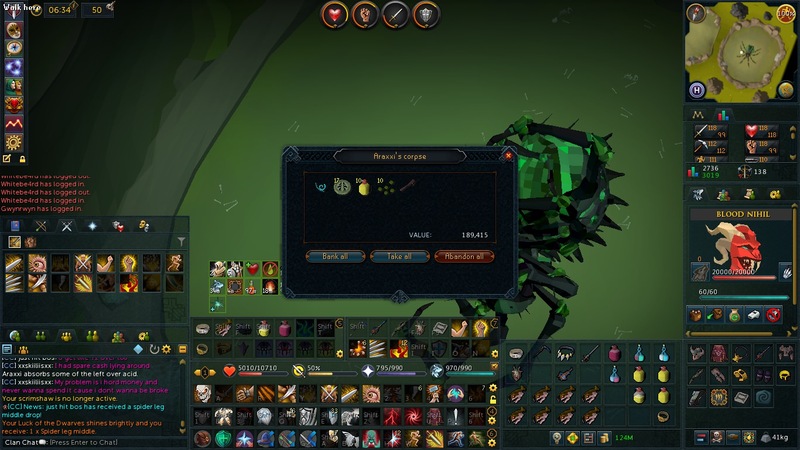 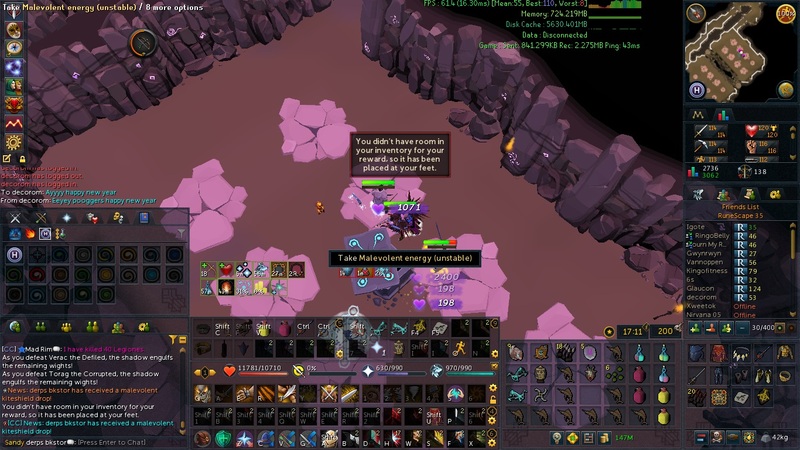 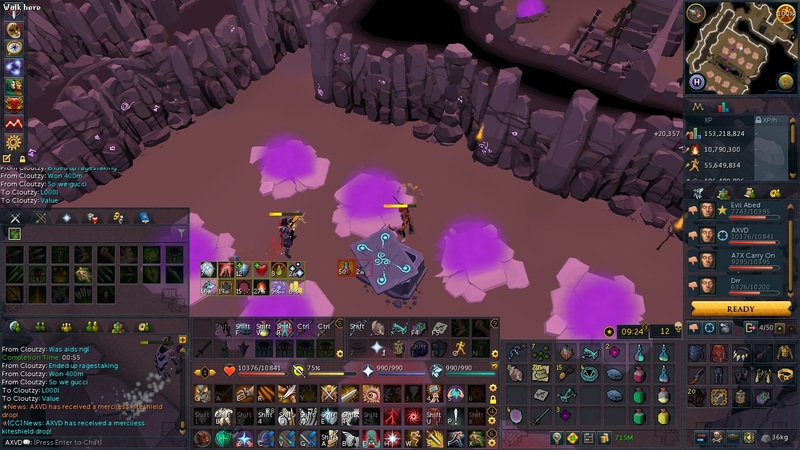 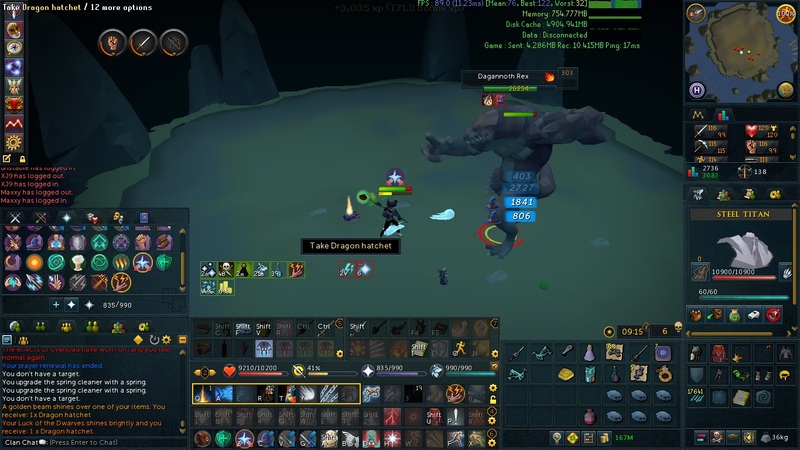 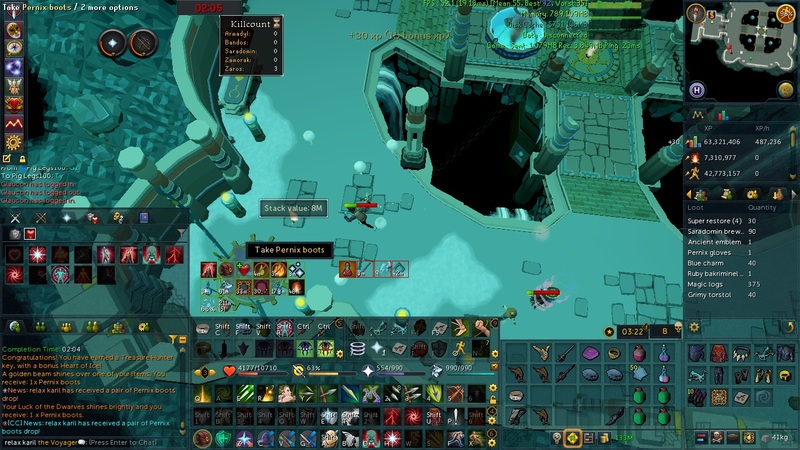 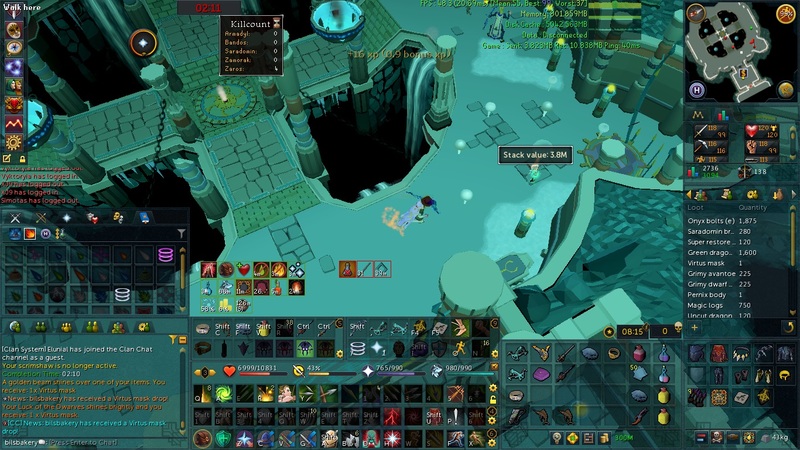 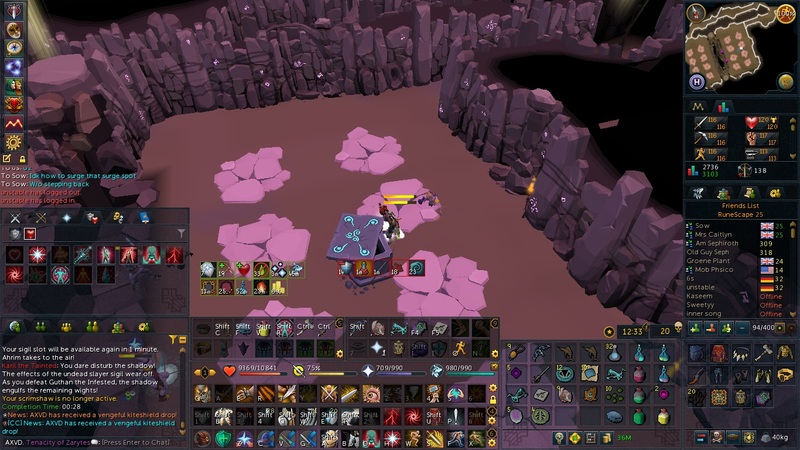 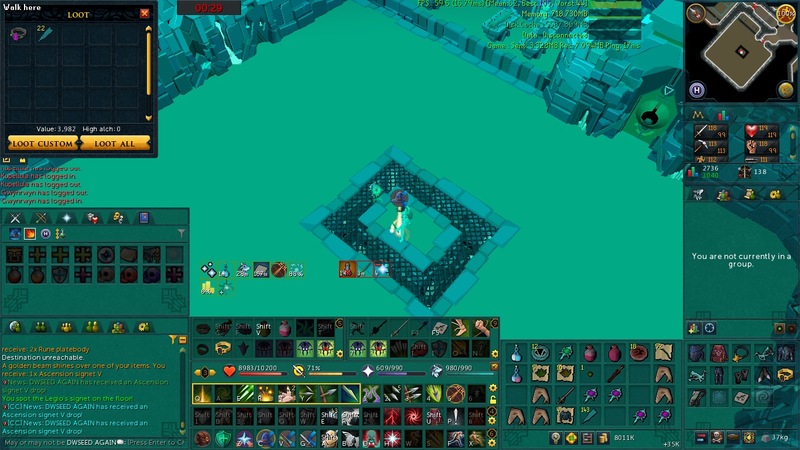 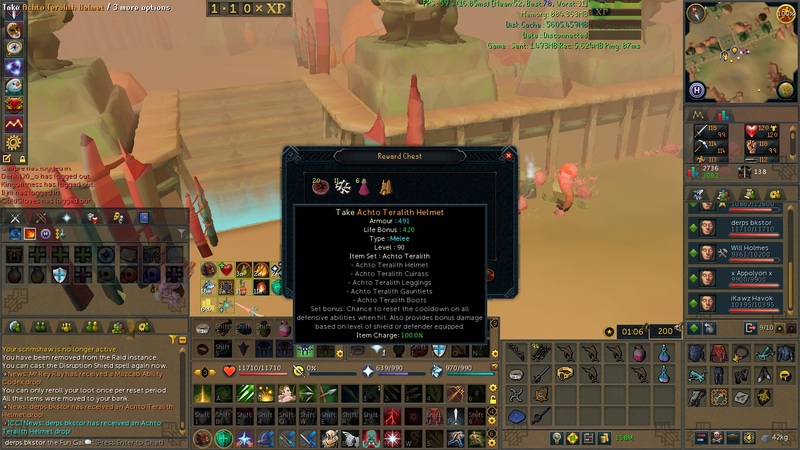 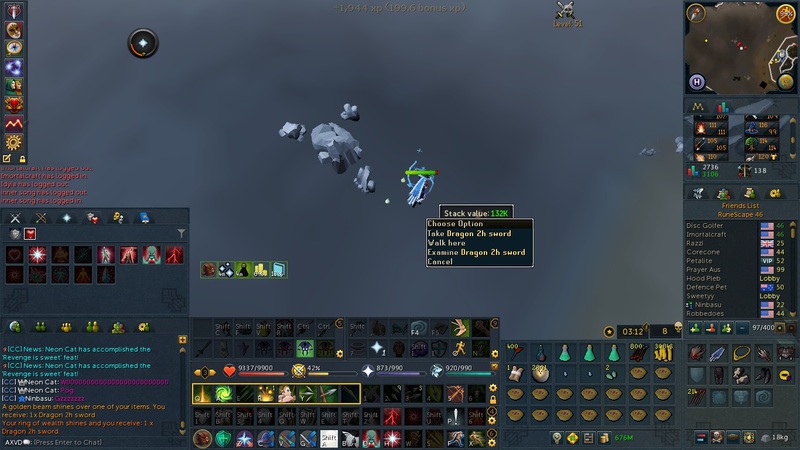 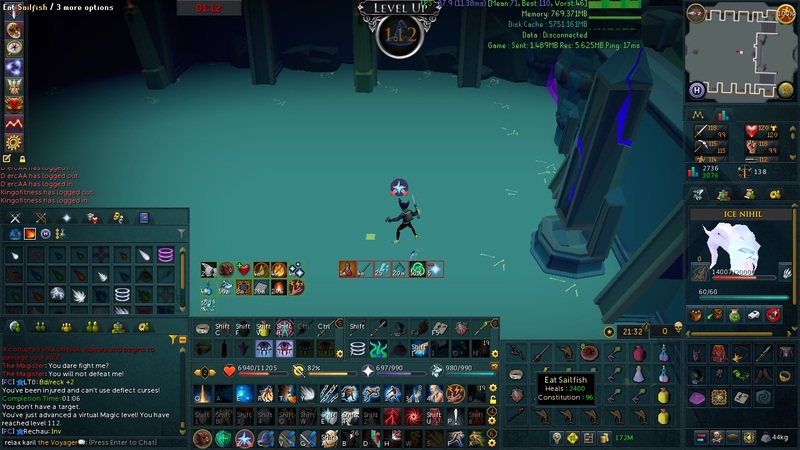 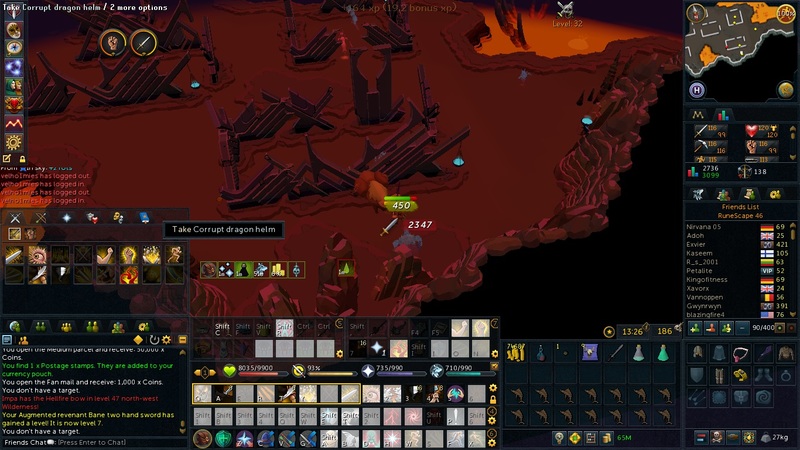 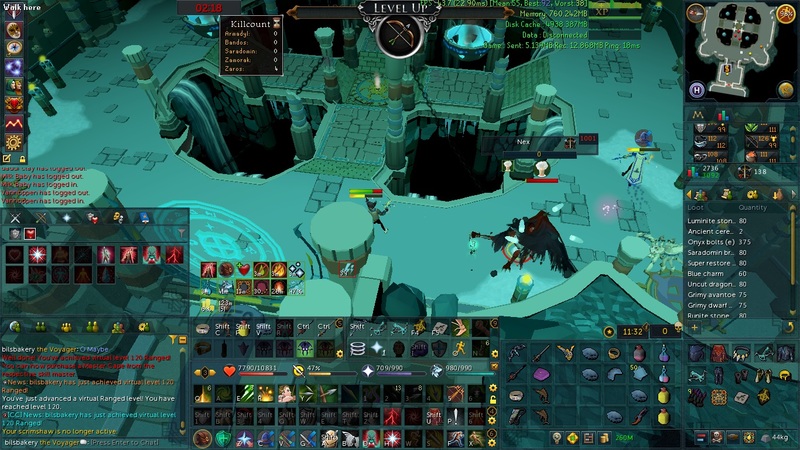 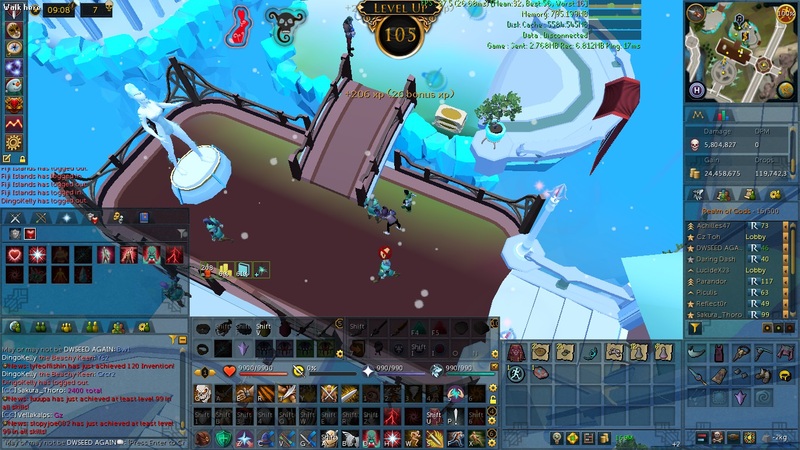 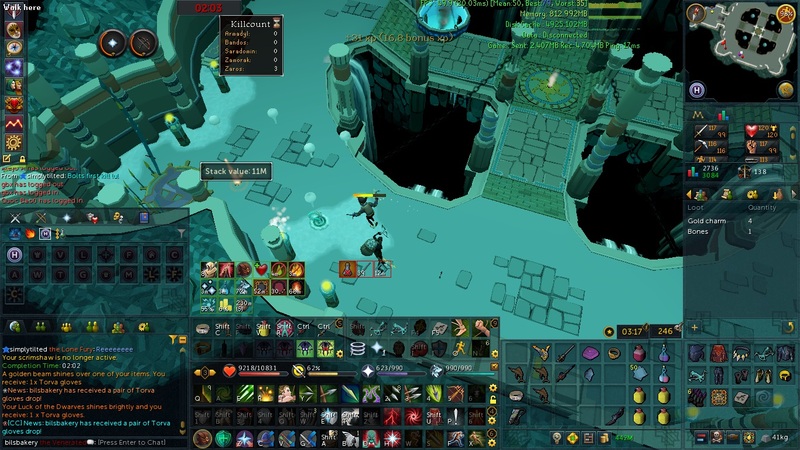 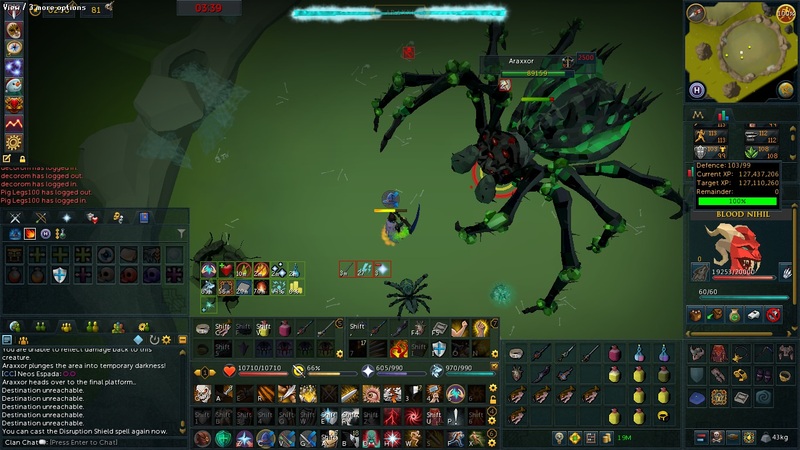 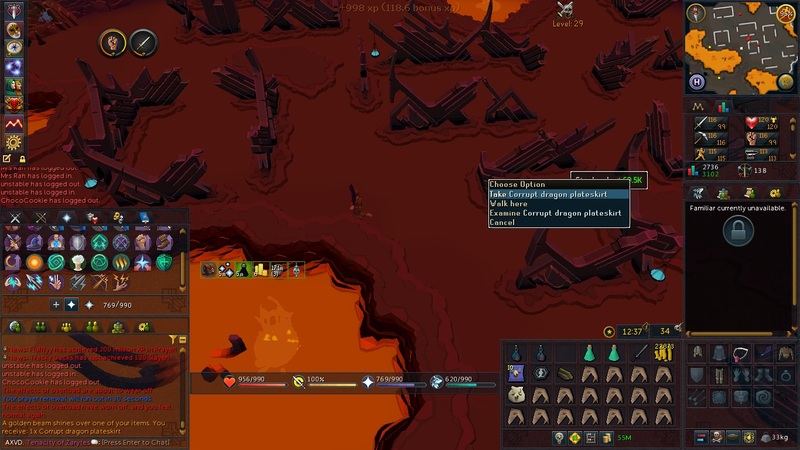 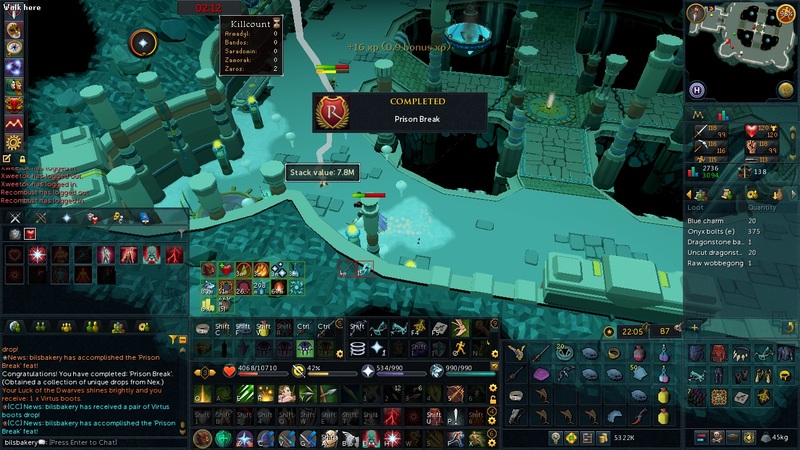 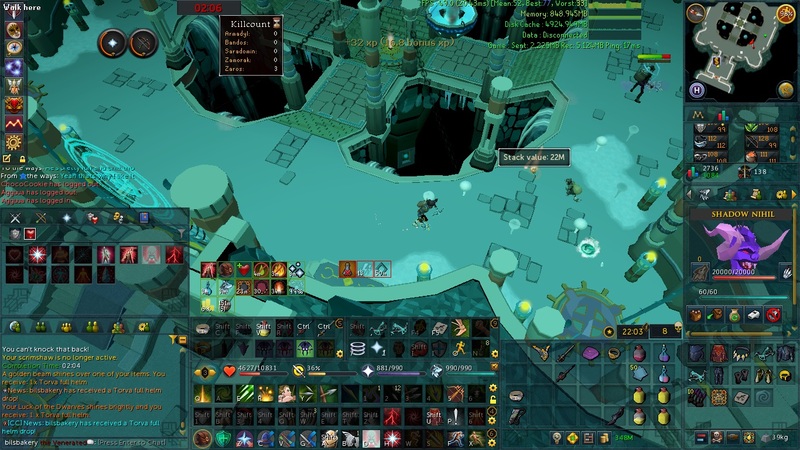 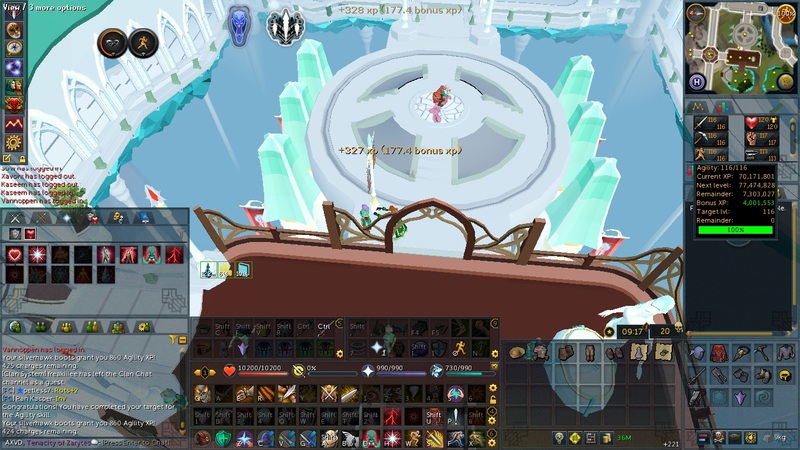 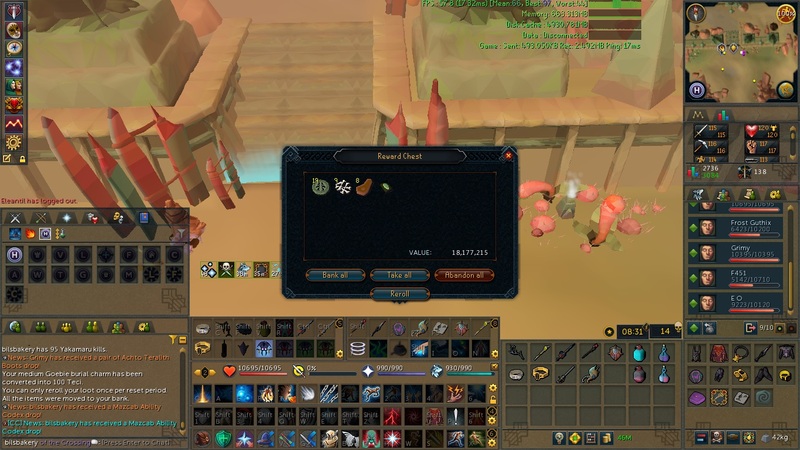 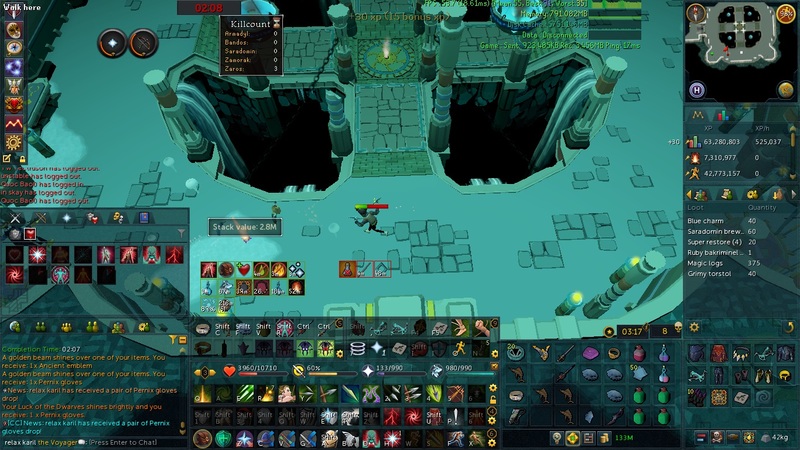 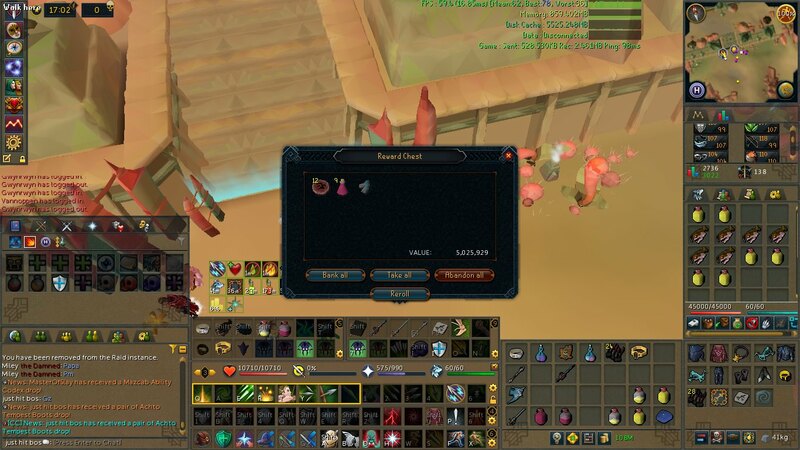 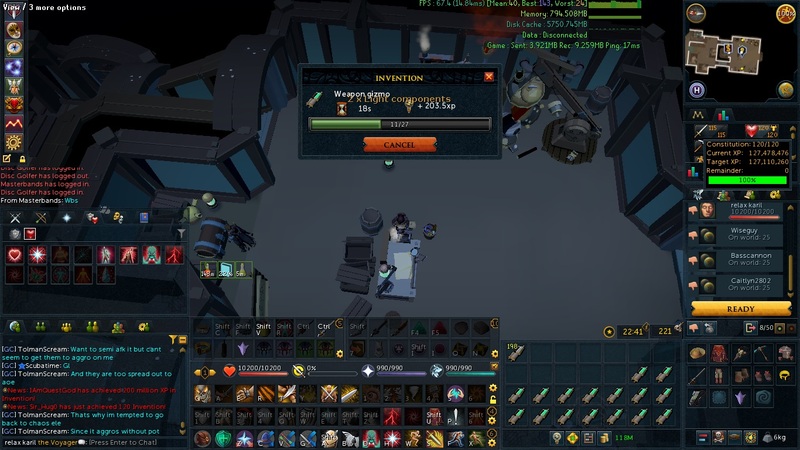 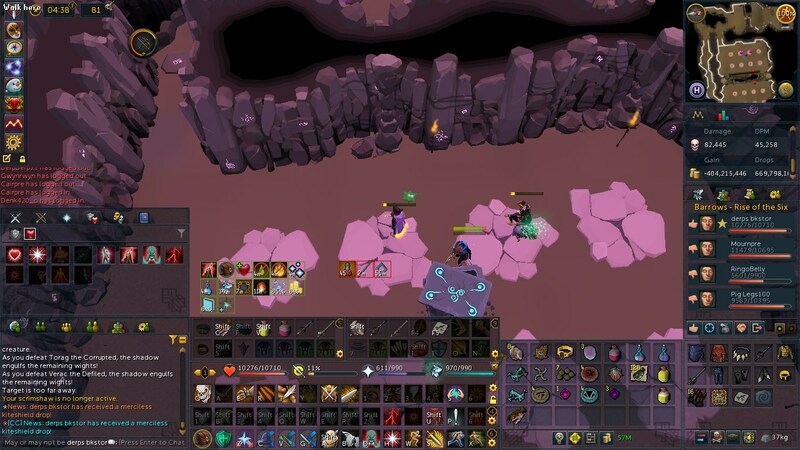 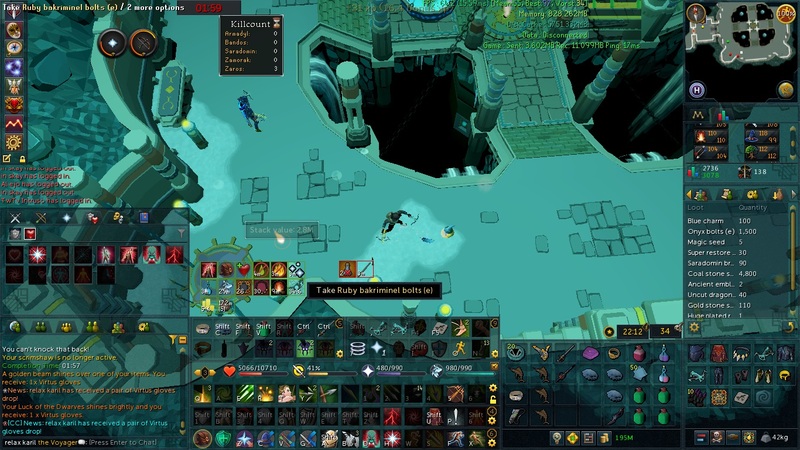 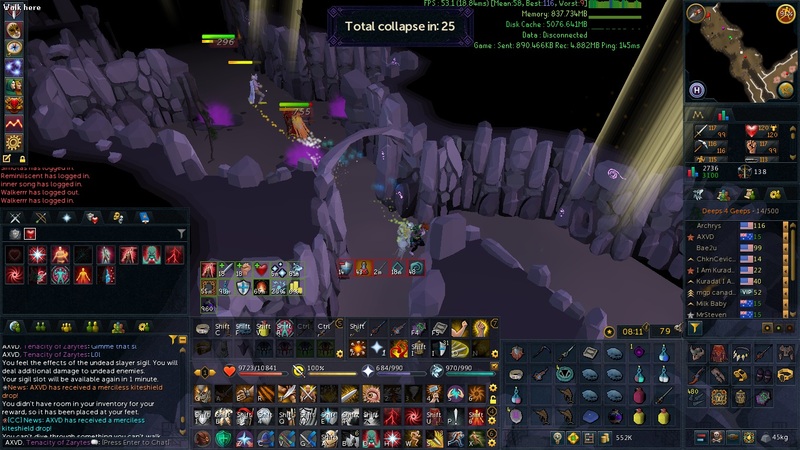 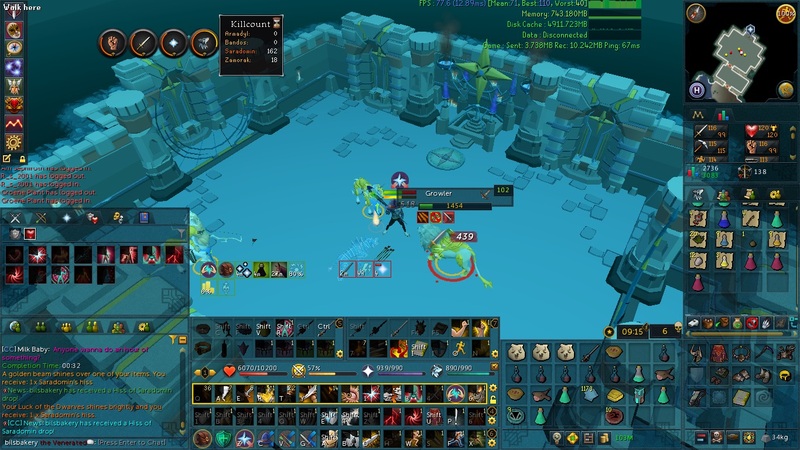 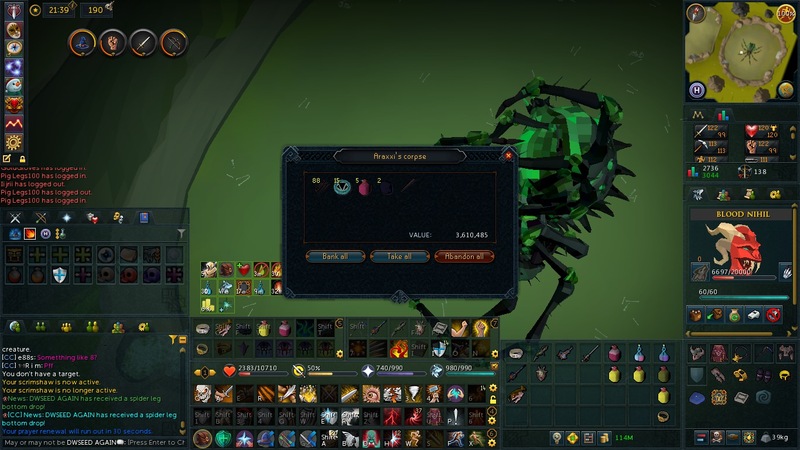 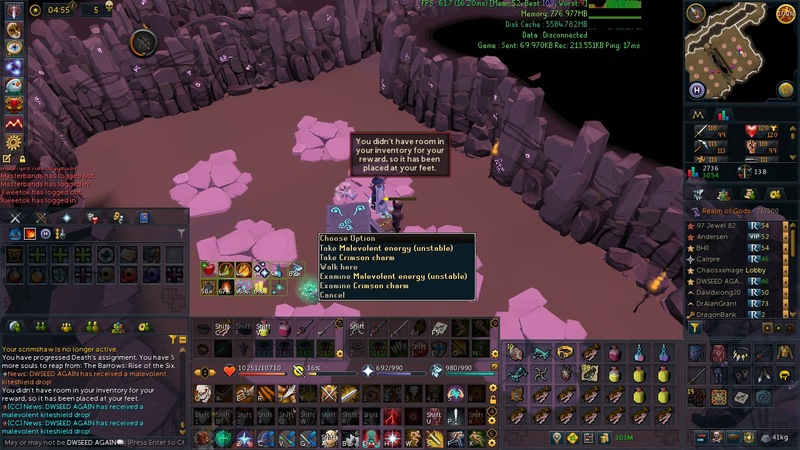 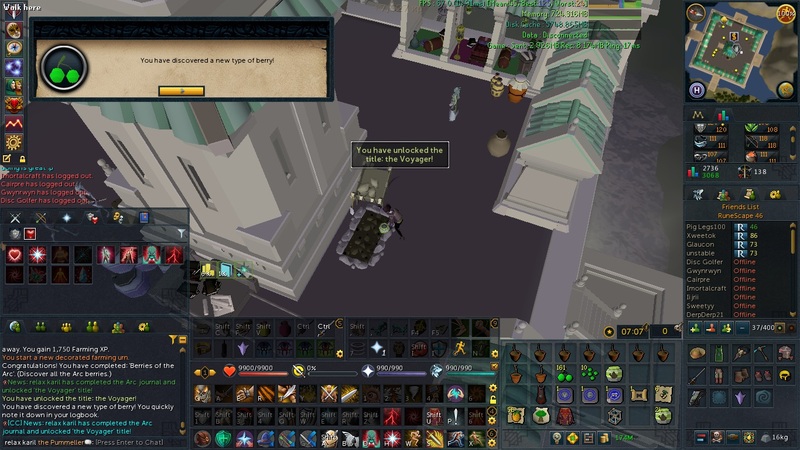 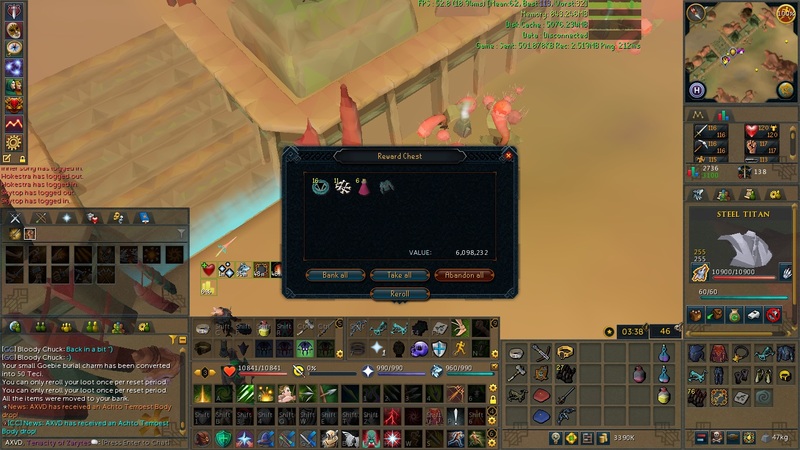 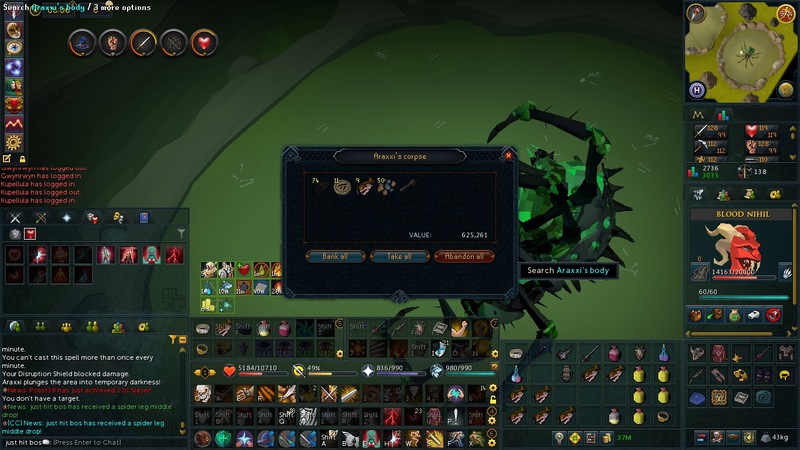 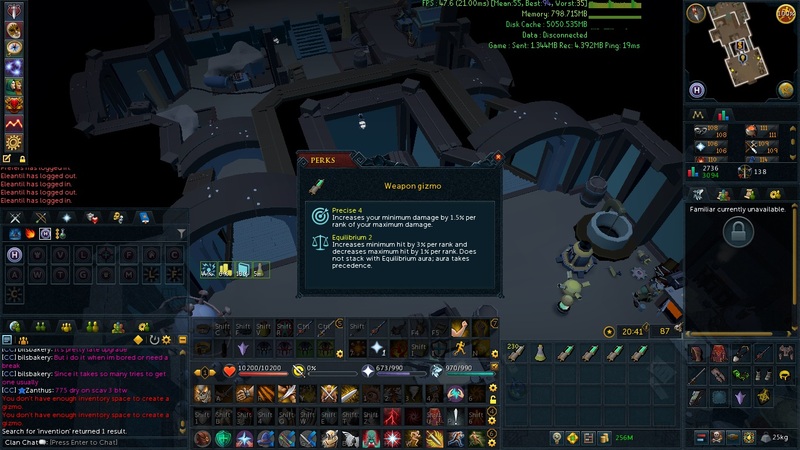 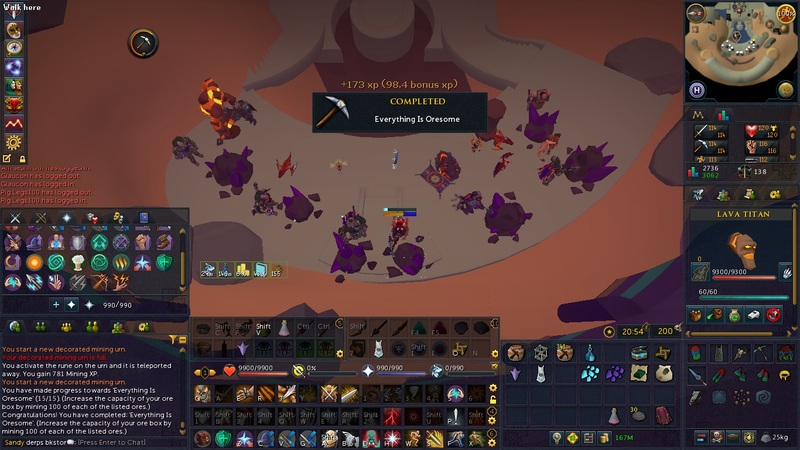 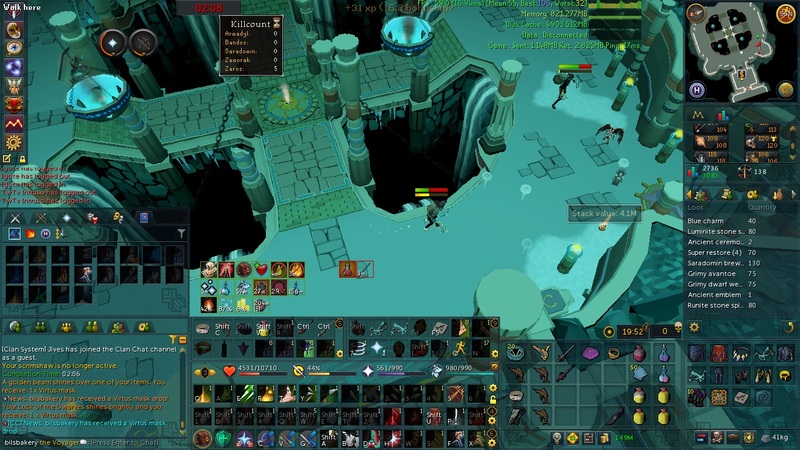 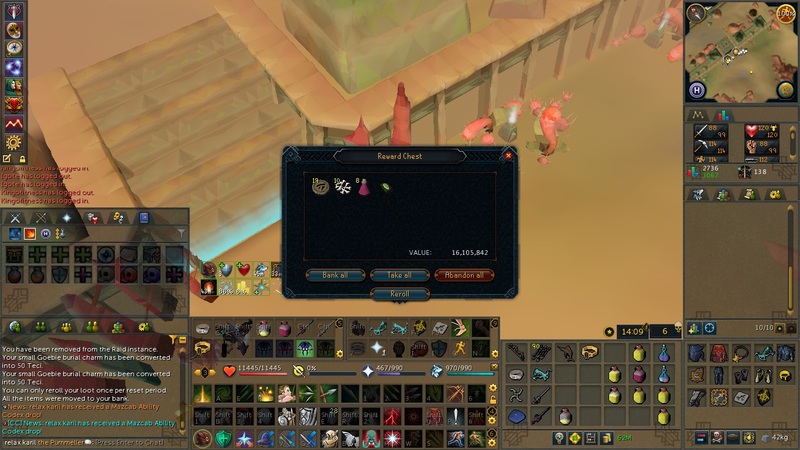 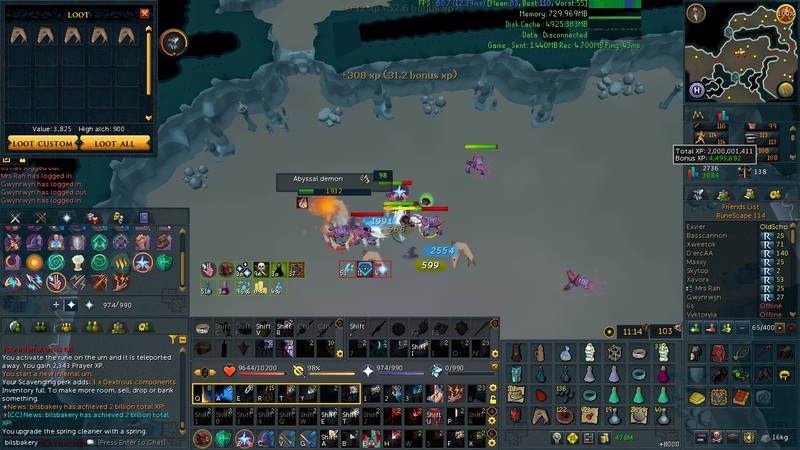 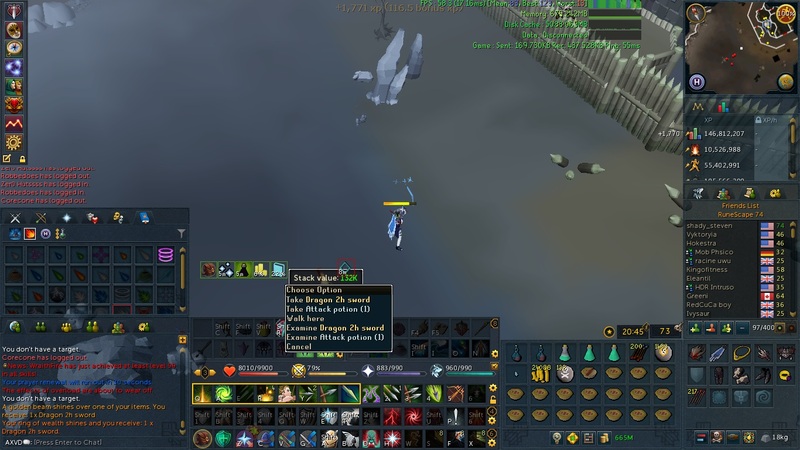 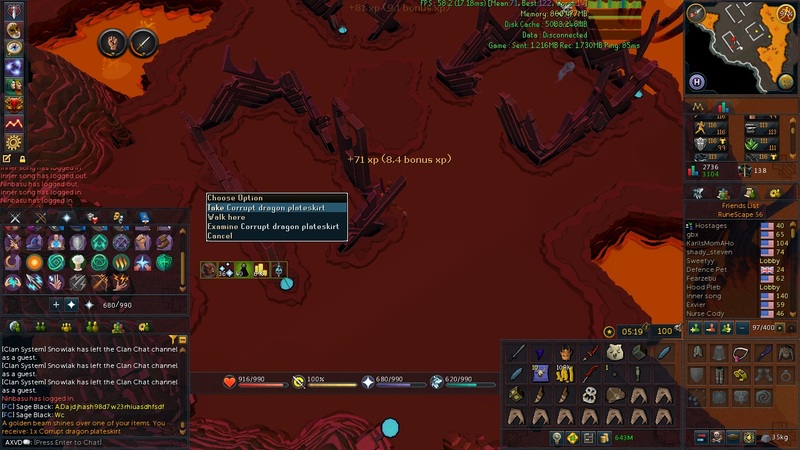 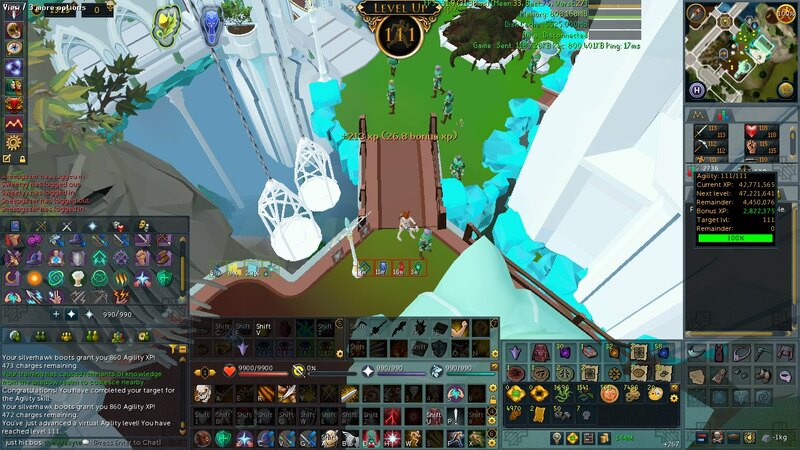 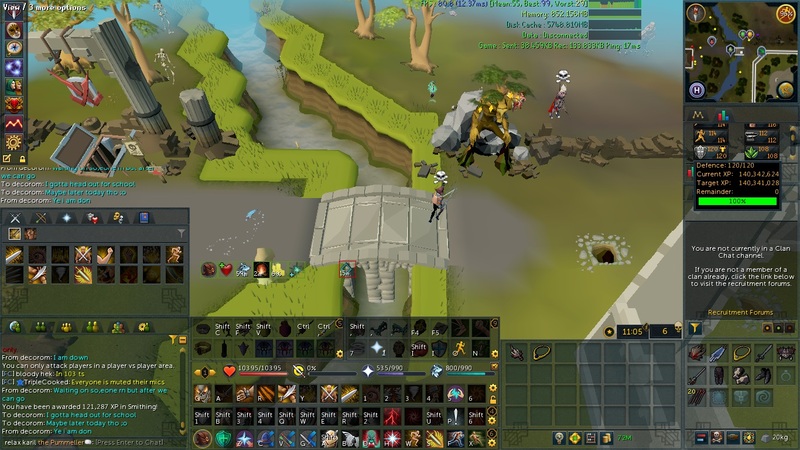 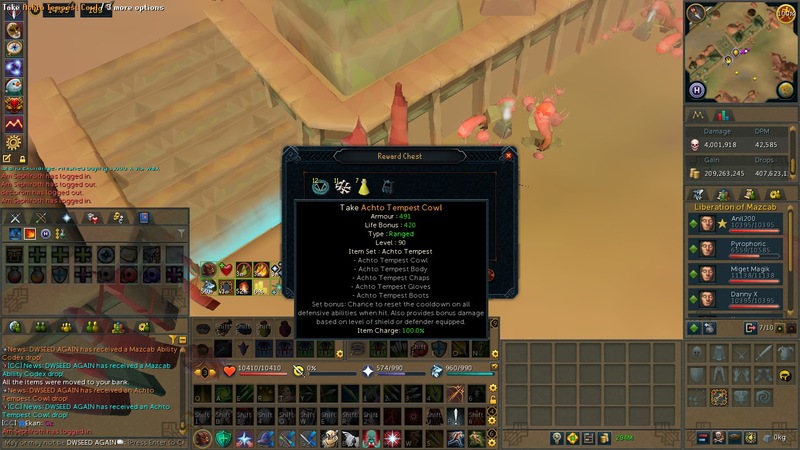 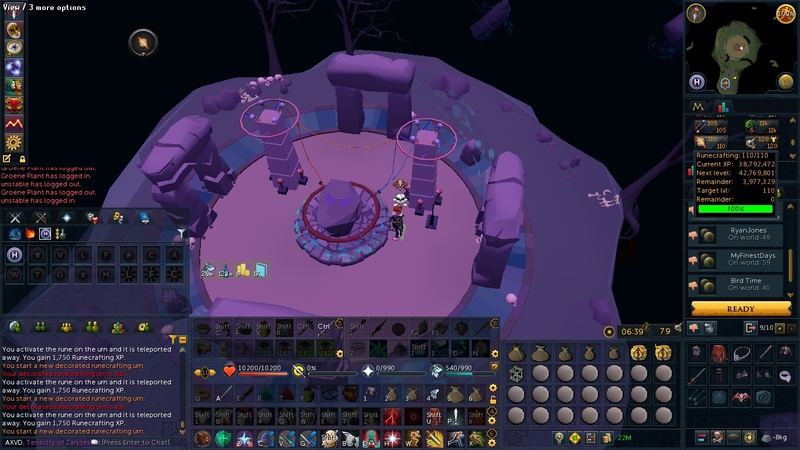 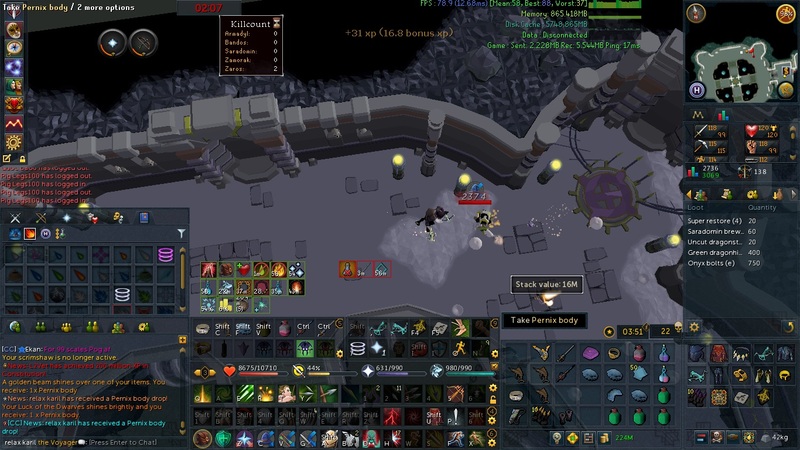 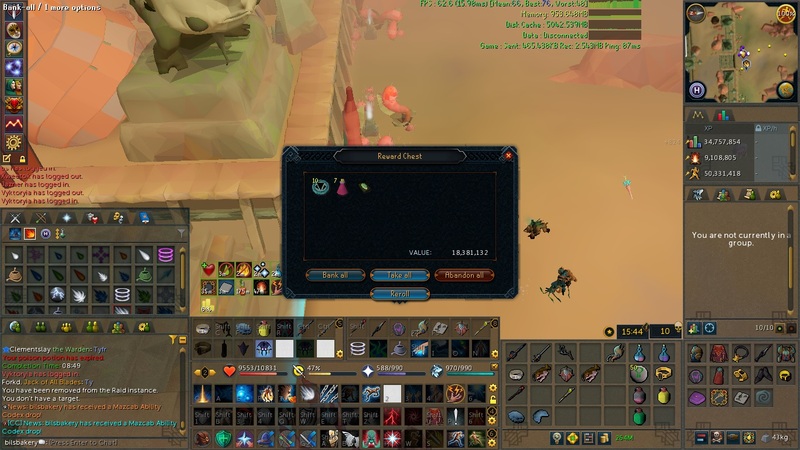 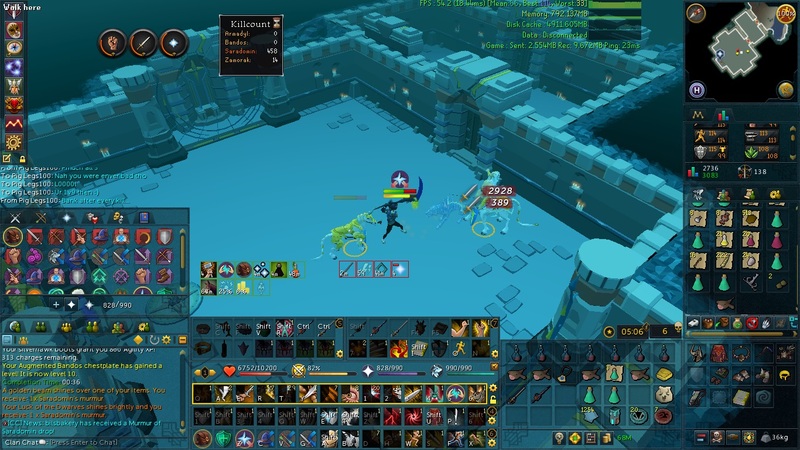 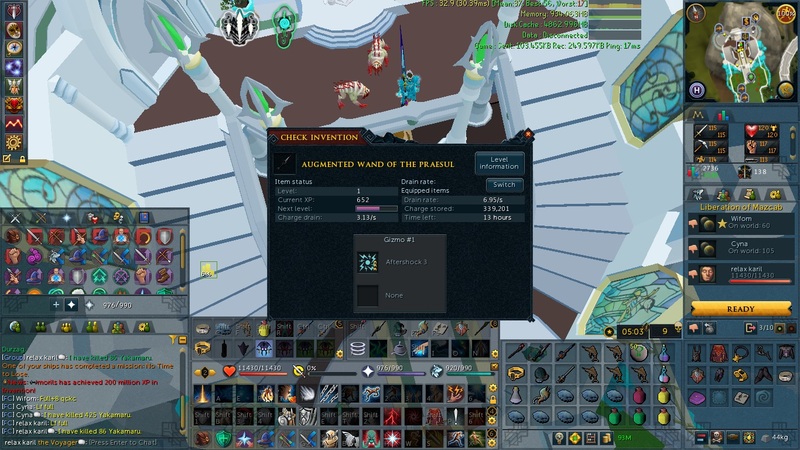 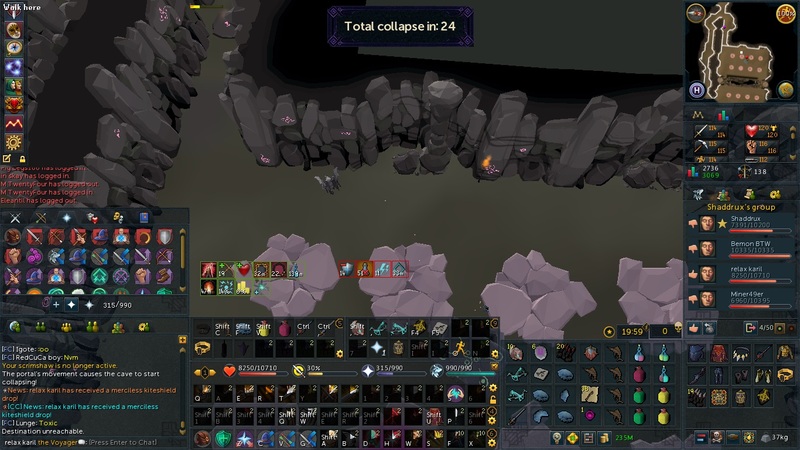 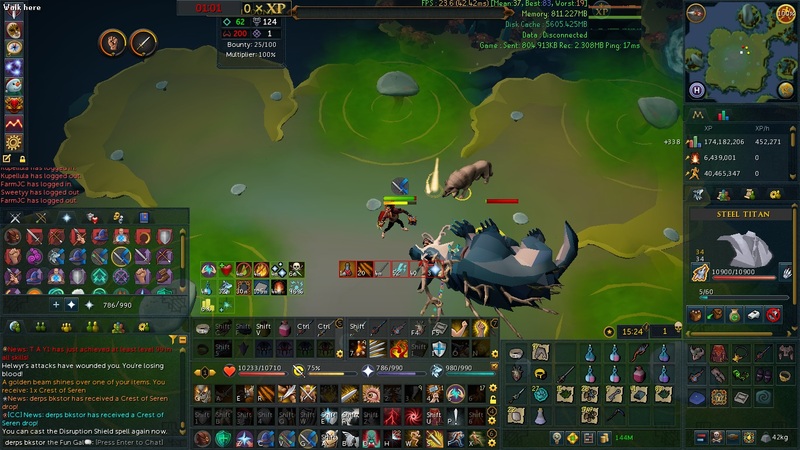 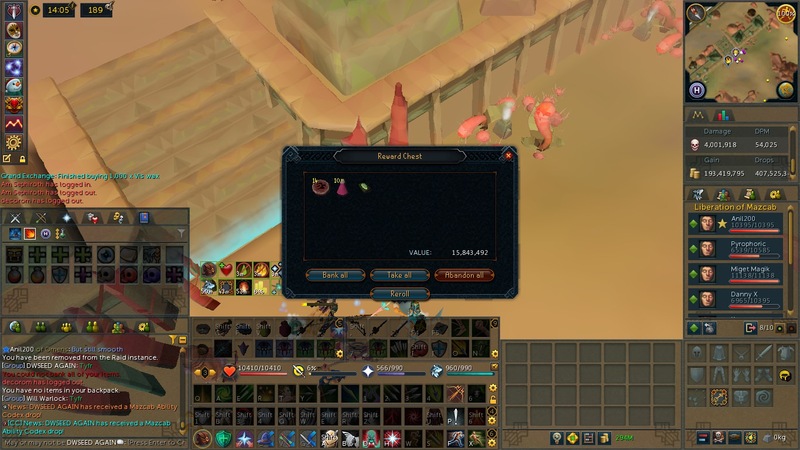 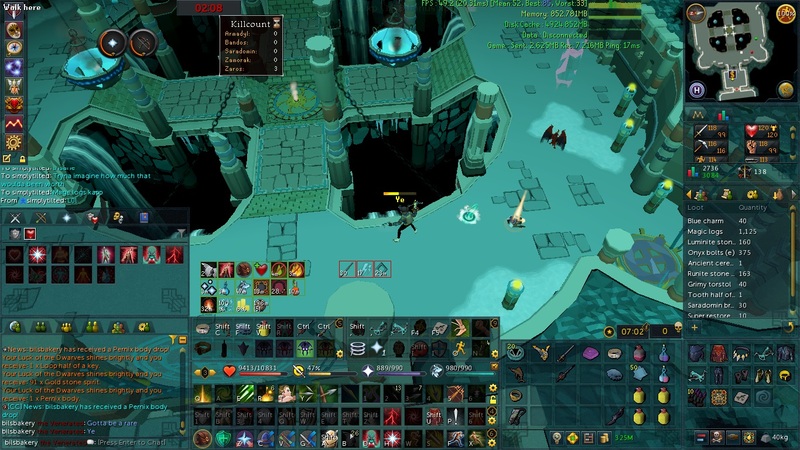 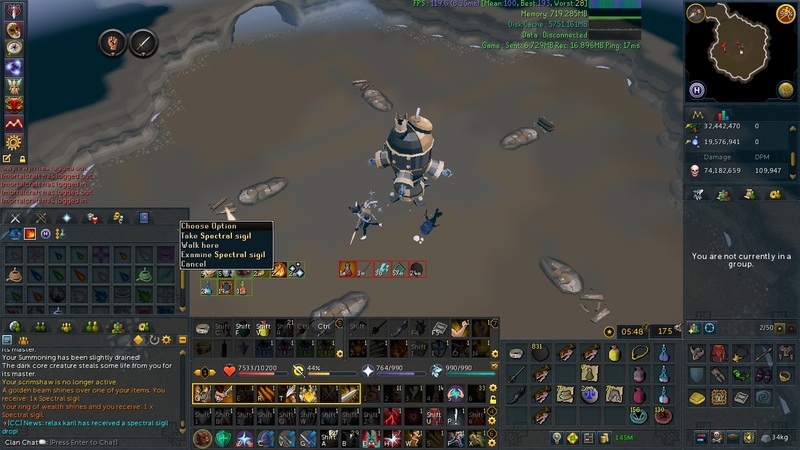 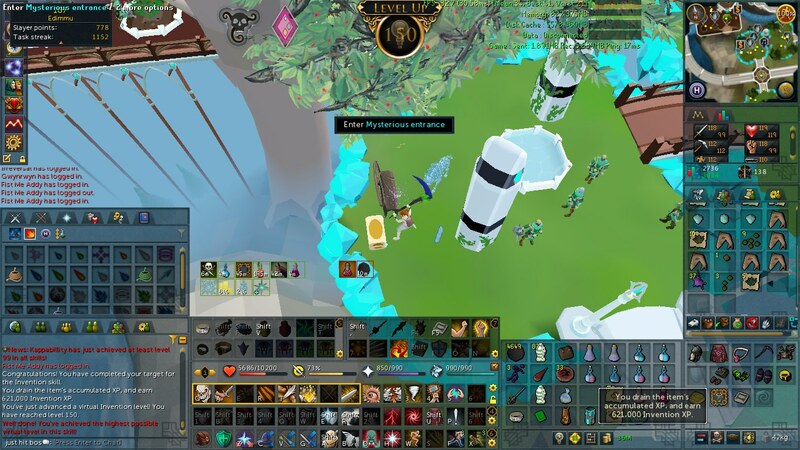 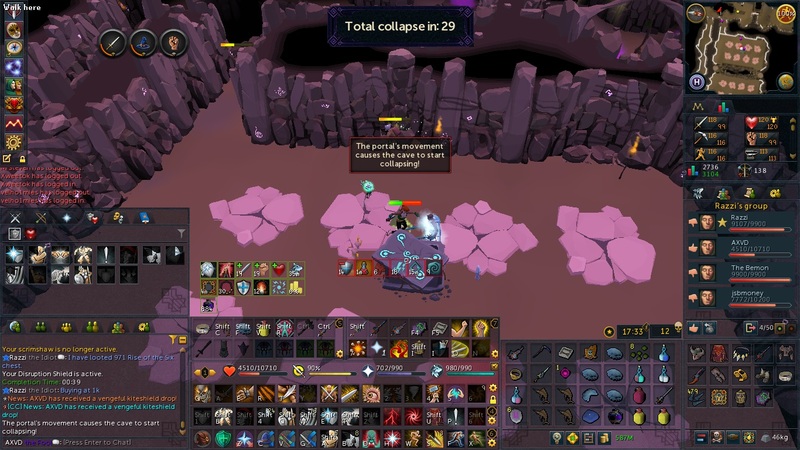 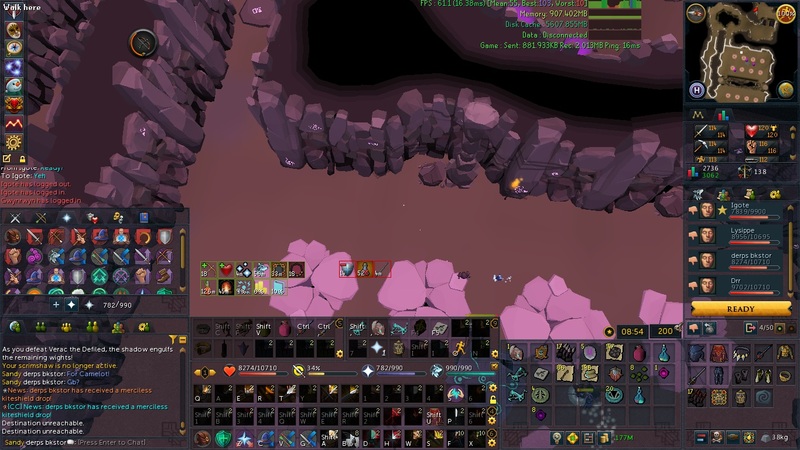 Finished vindicta title @ 575 KC, pretty lucky. 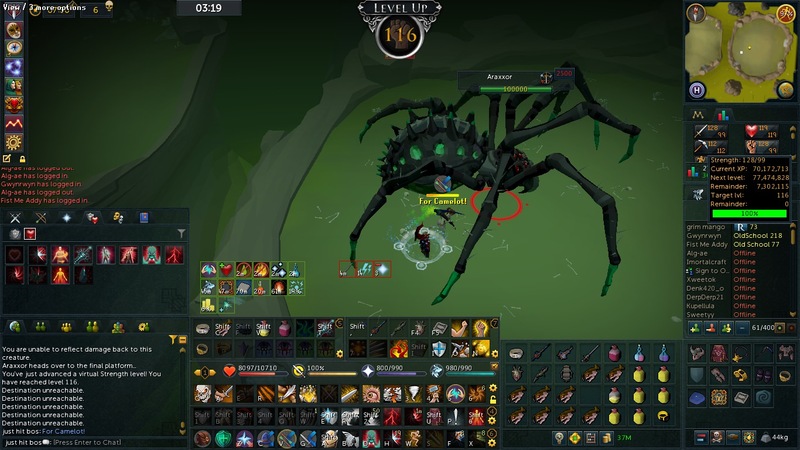 Been Nexing most of this week, going back to spider though as I'm starting to run out of refreshes for Reckless and am largely leaving Berserker unused. 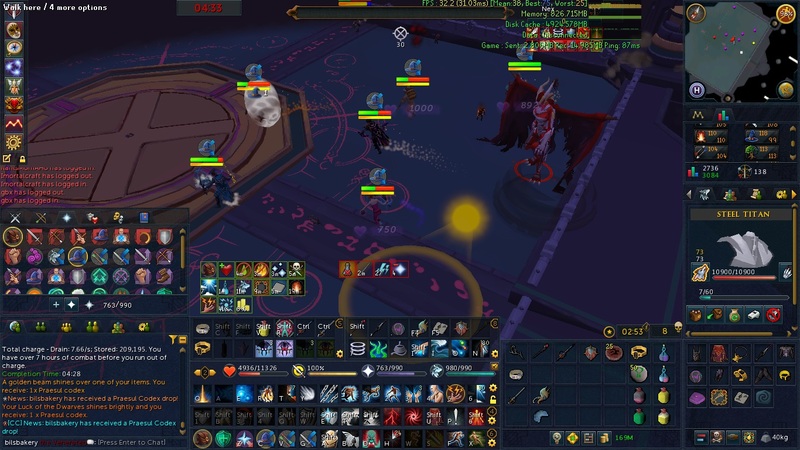 Exams are done this Thursday so the plan is to start spamming AOD and trying to make as much money as I can before the new semester starts again. 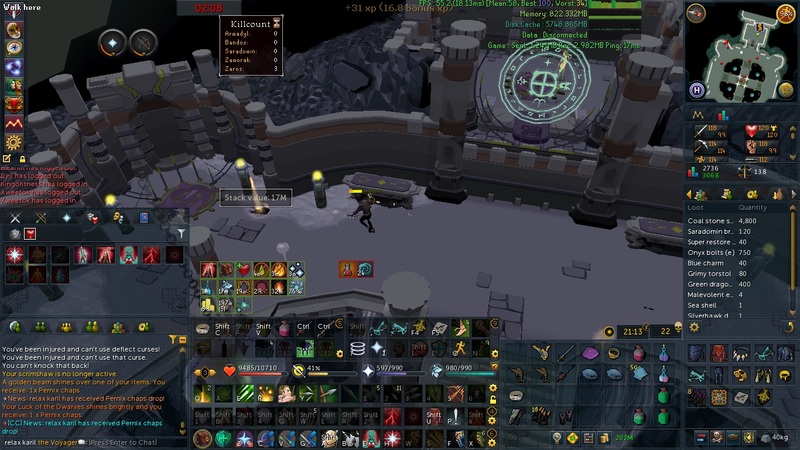 Just 500k distance left for trim and MQC!! 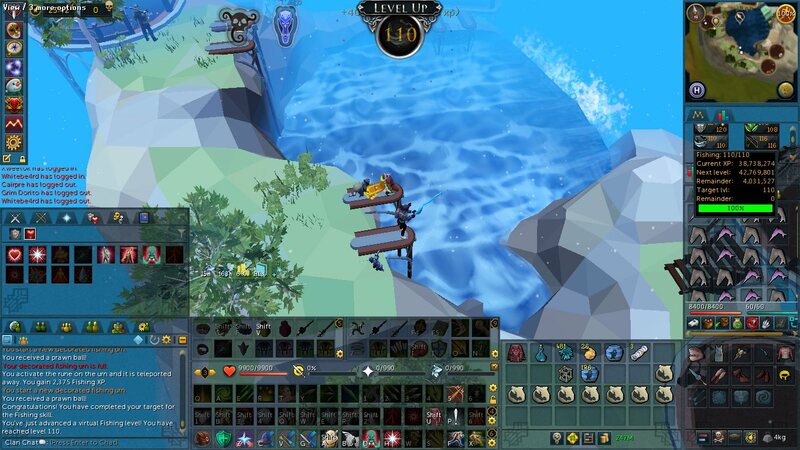 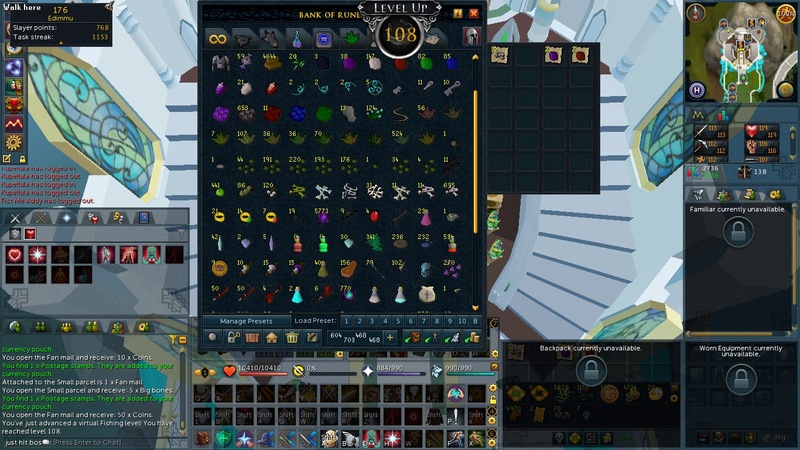 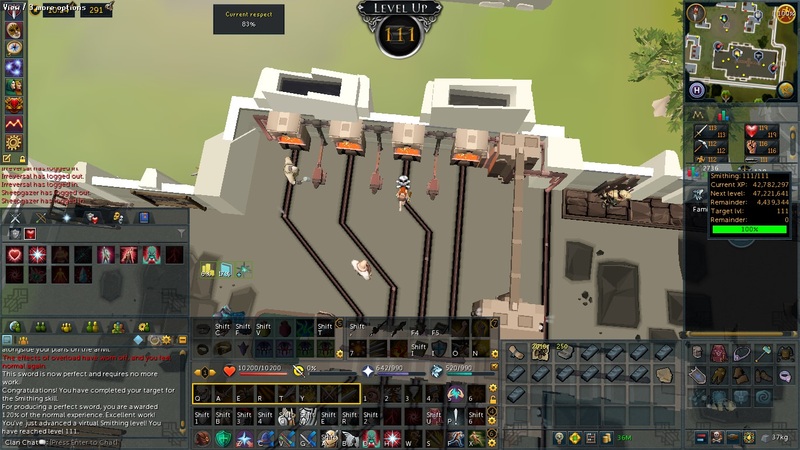 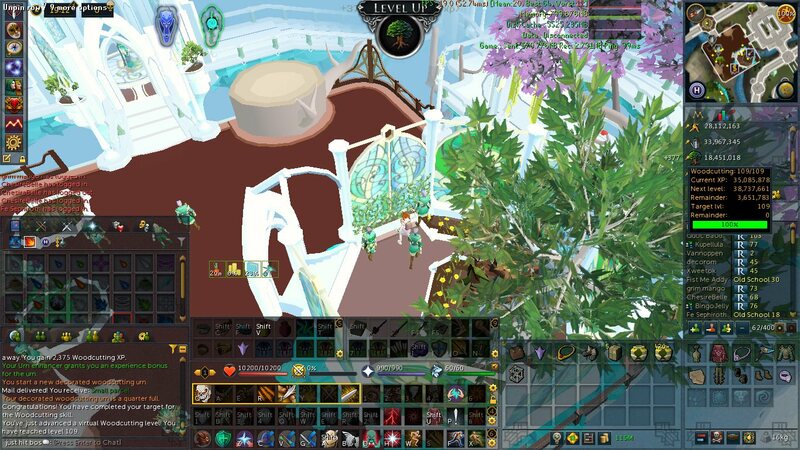 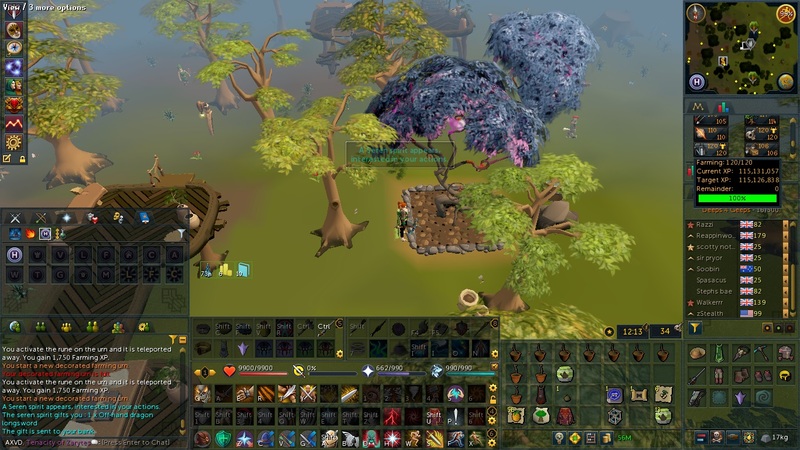 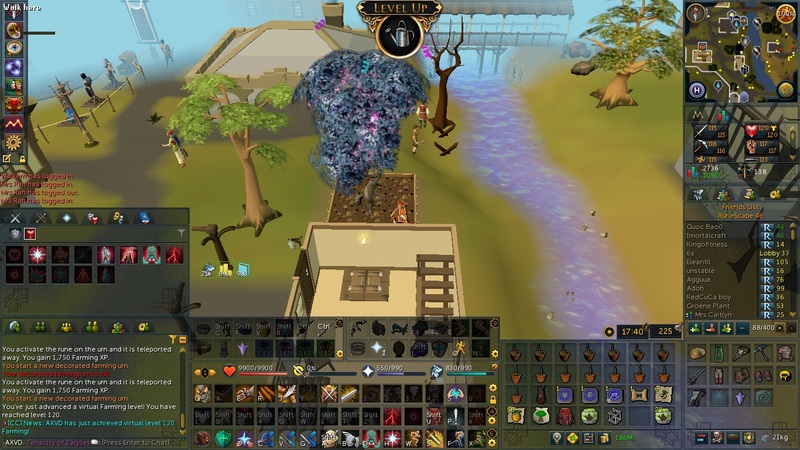 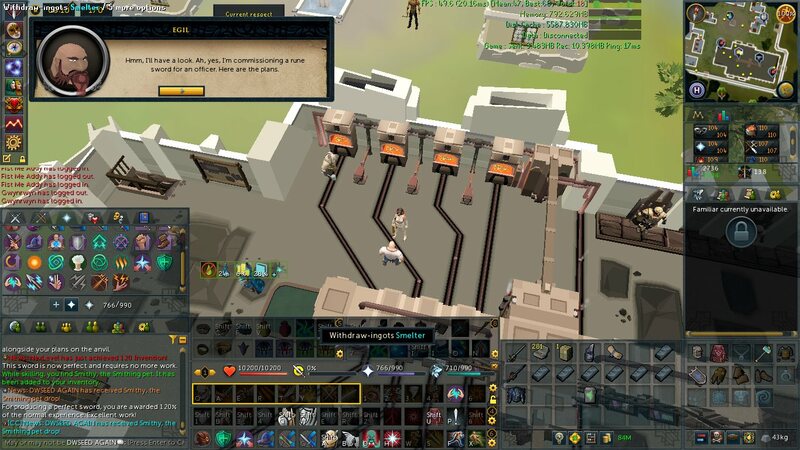 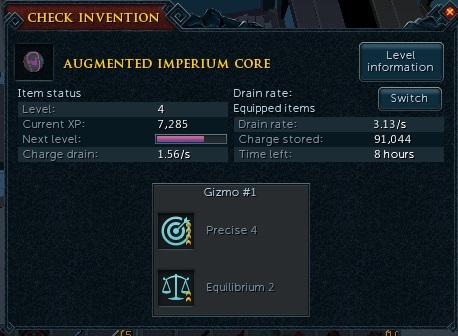 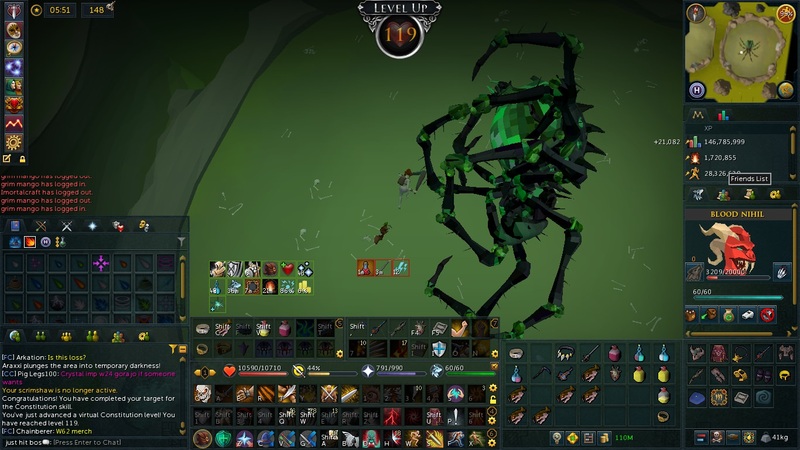 P much spent the whole week practicing Telos, doing a little spider, and perking my tools out with much better perks than what I had previously (settling in for the big 200m grind... Tinderbox has Pyro4Rapid2 + Tinker 3, finally got Refined 3 for my Hatchet, and just need to work on a Rapid 3 for my Hammer now). 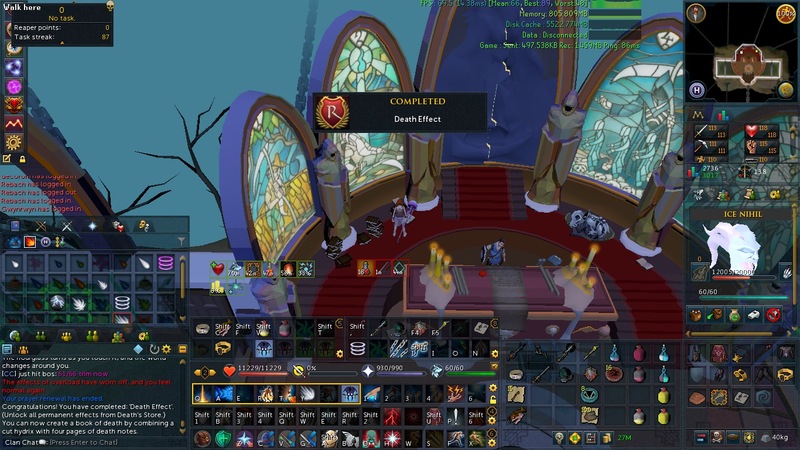 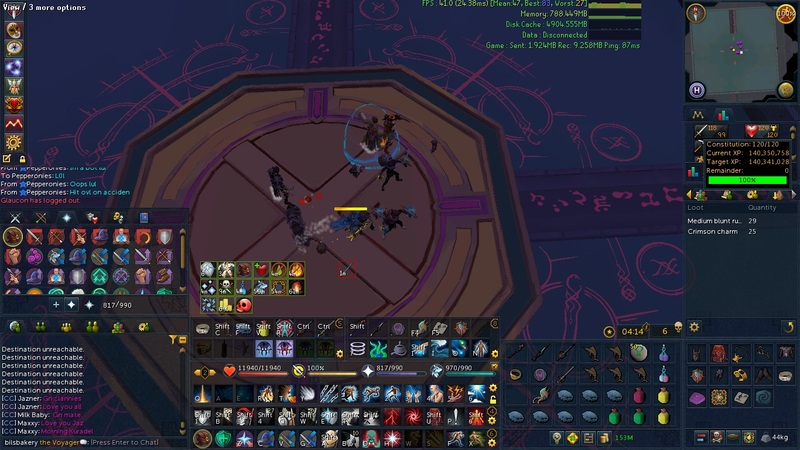 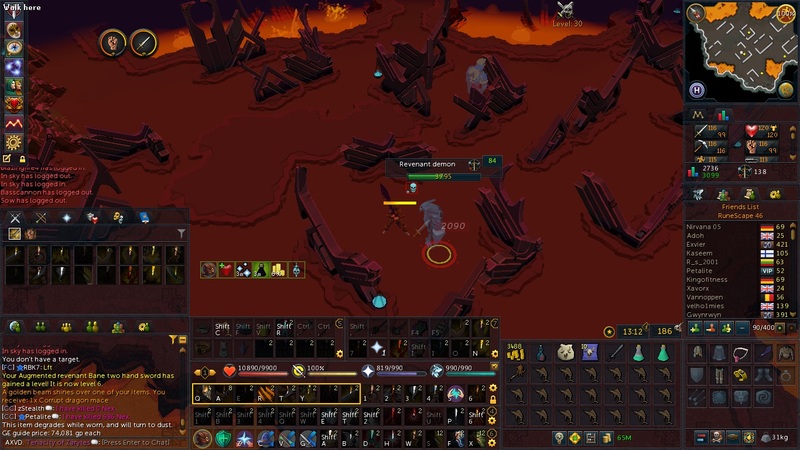 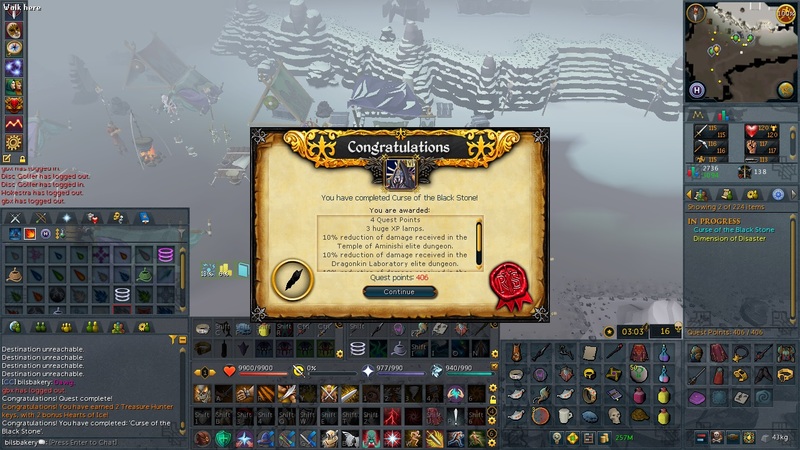 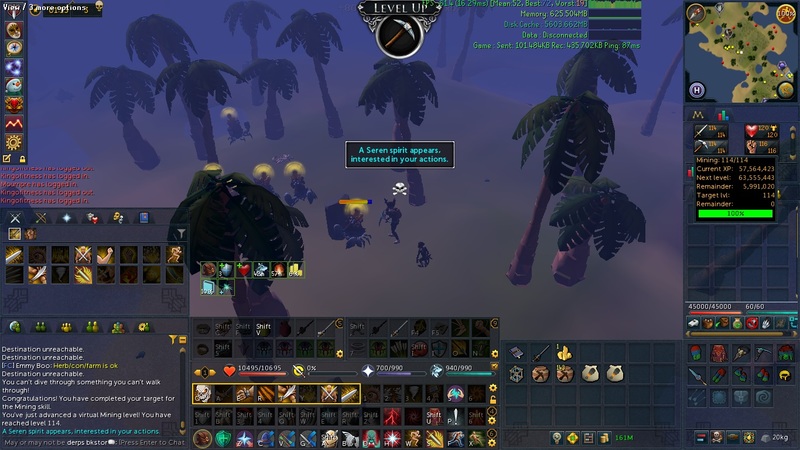 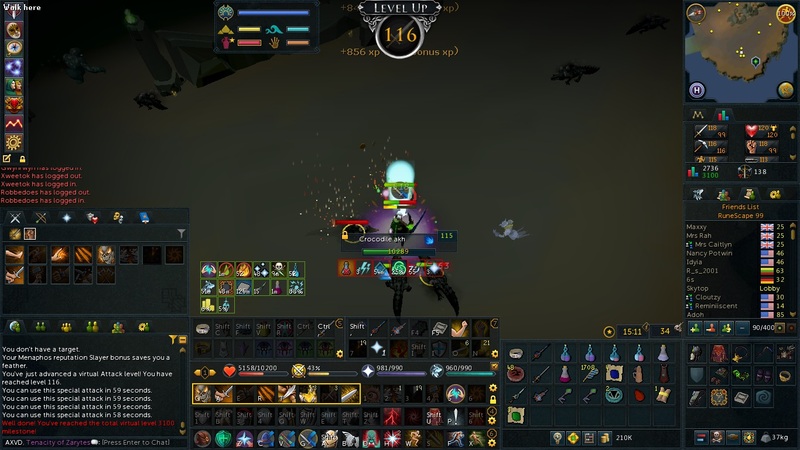 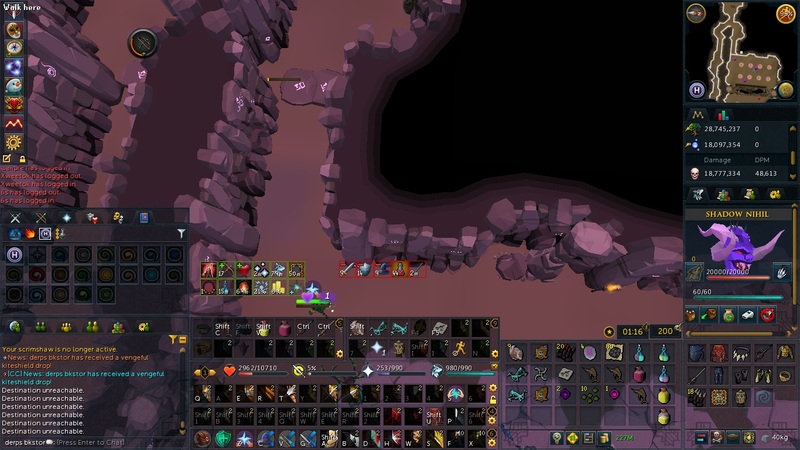 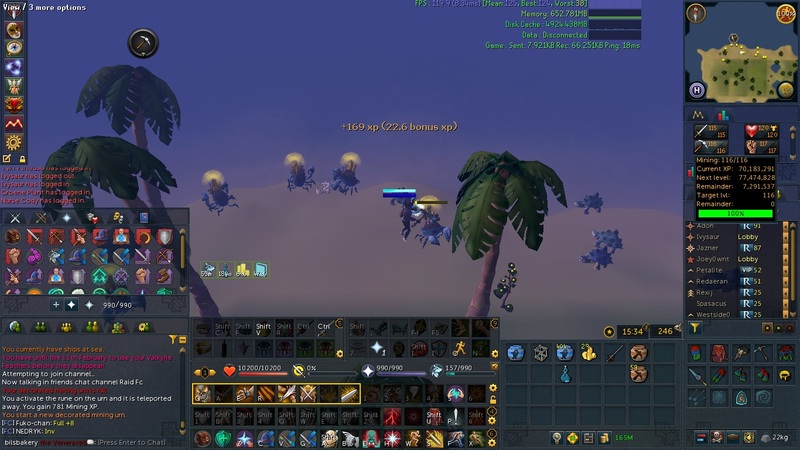 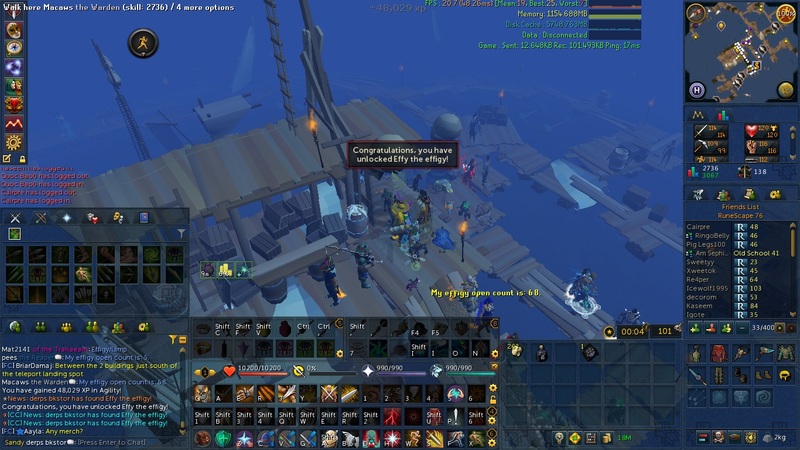 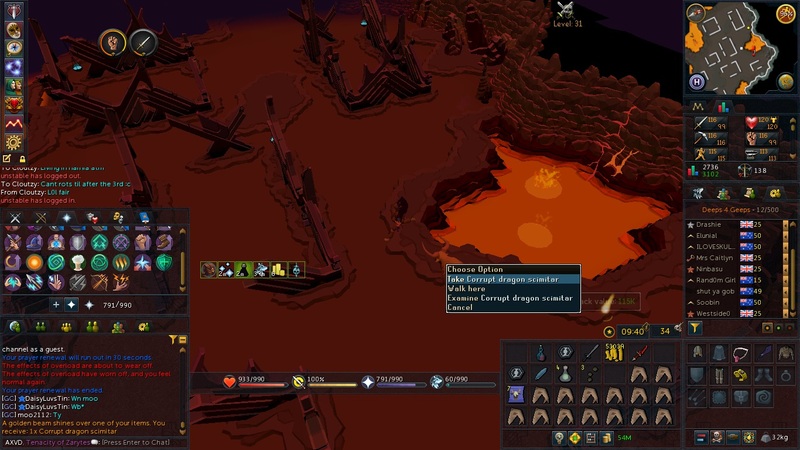 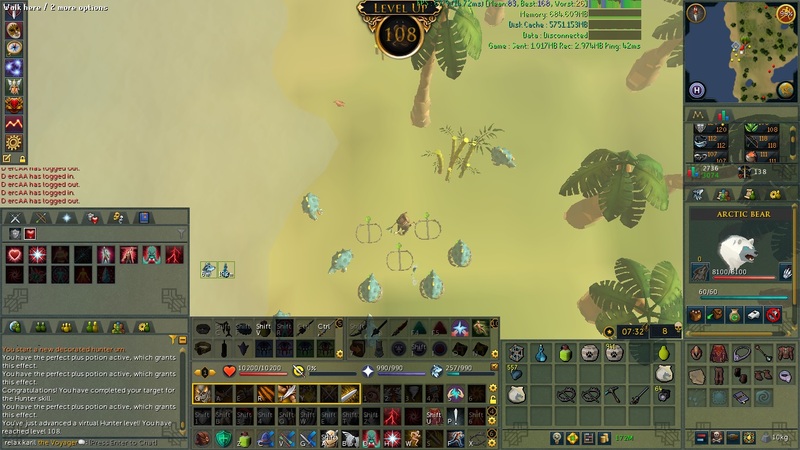 got 2 trim reqs checked off which is a huge push, I'm now 64/66 with ~1M distance remaining on ports and about 2500 chompies left as the final frontier (as well as KBD book for MQC). 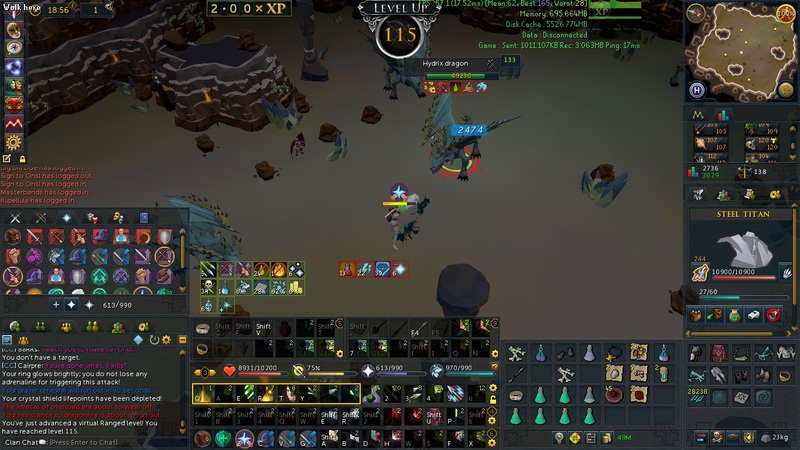 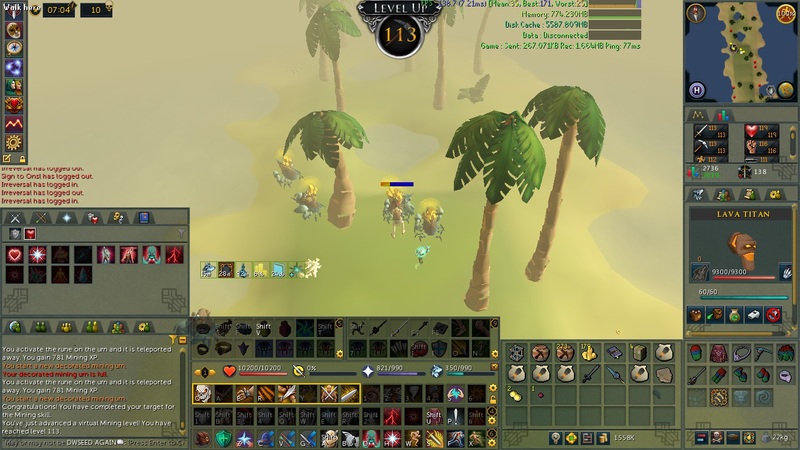 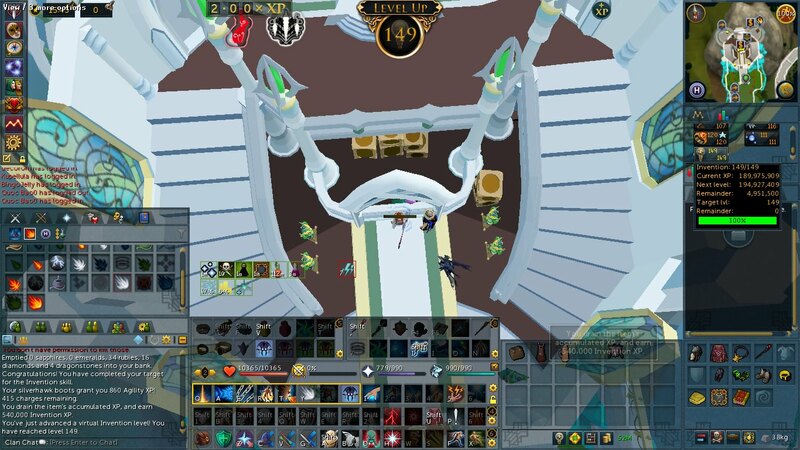 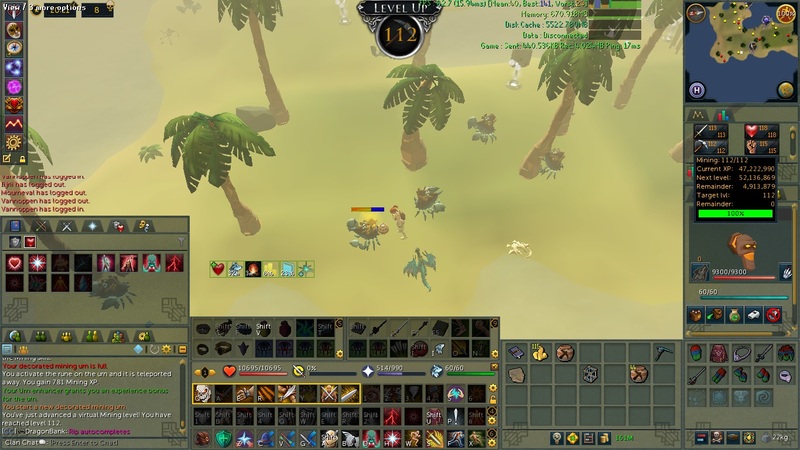 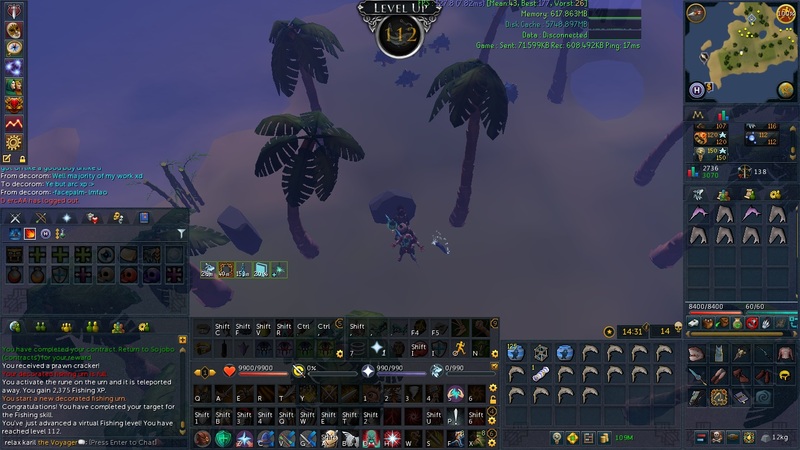 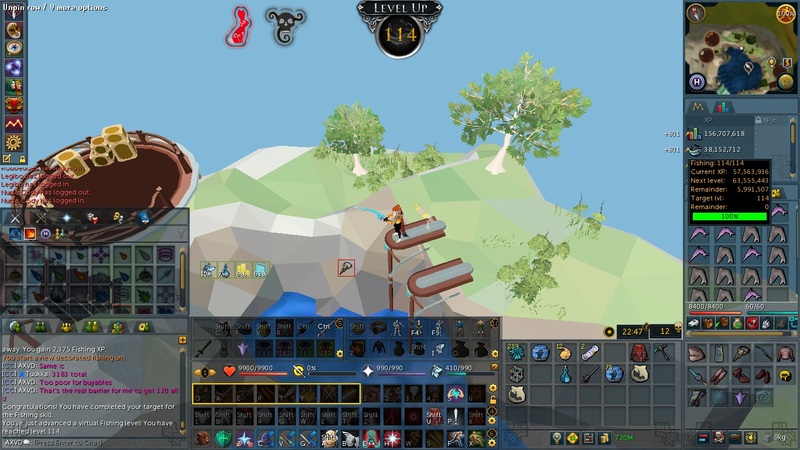 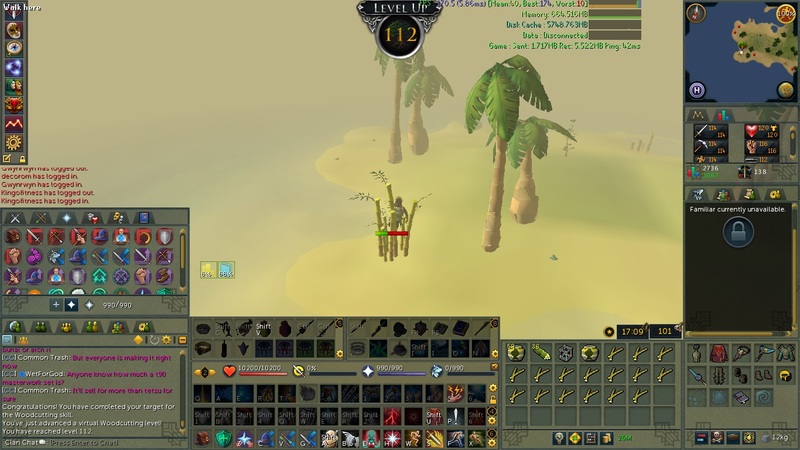 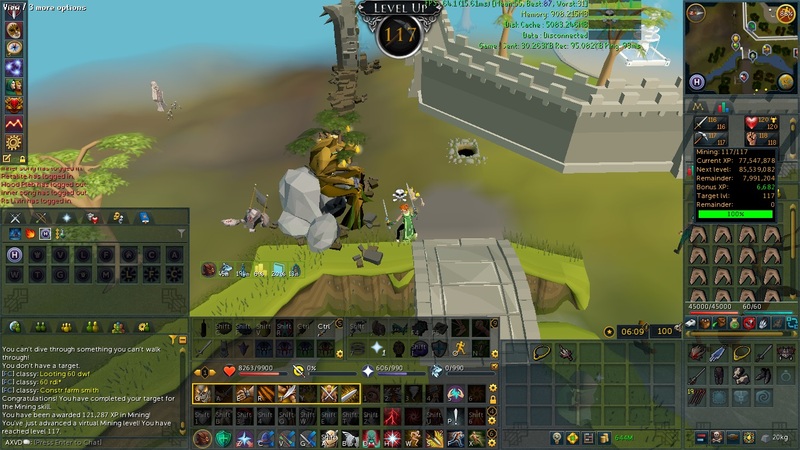 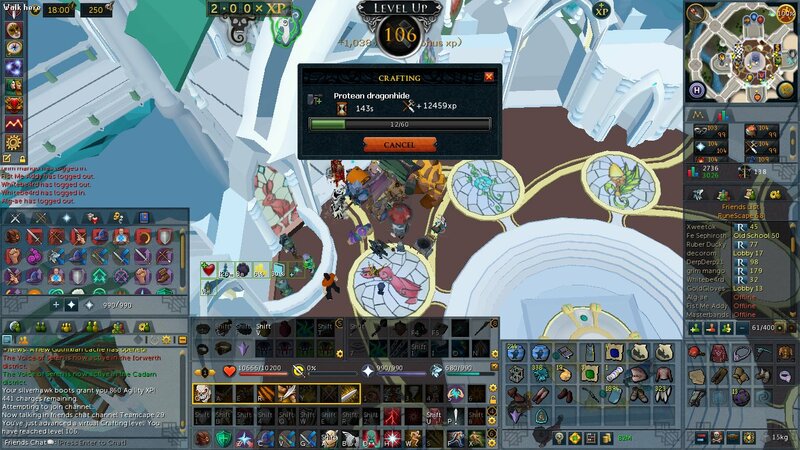 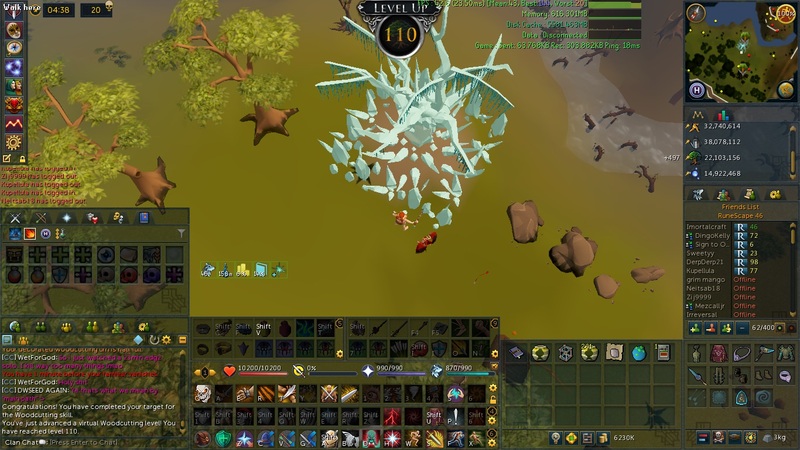 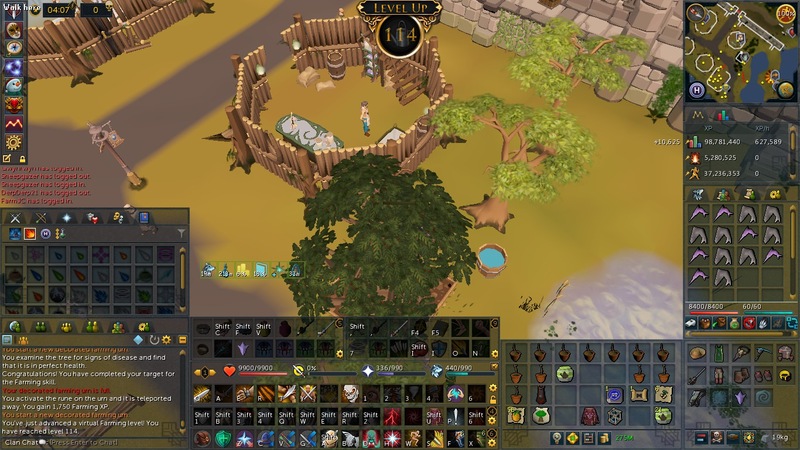 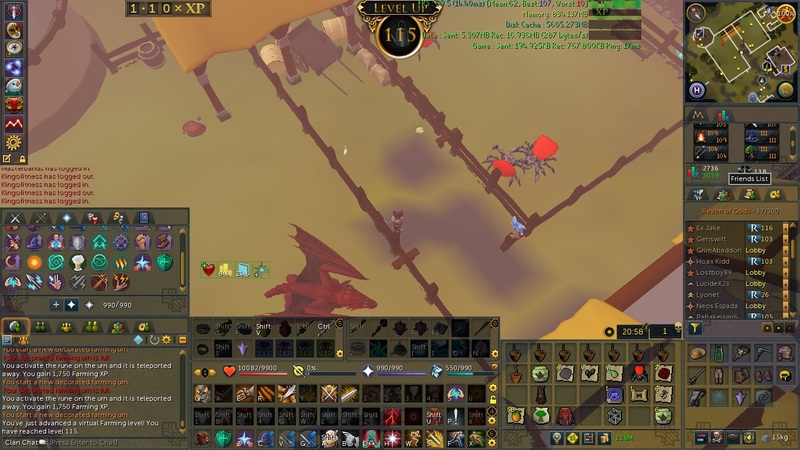 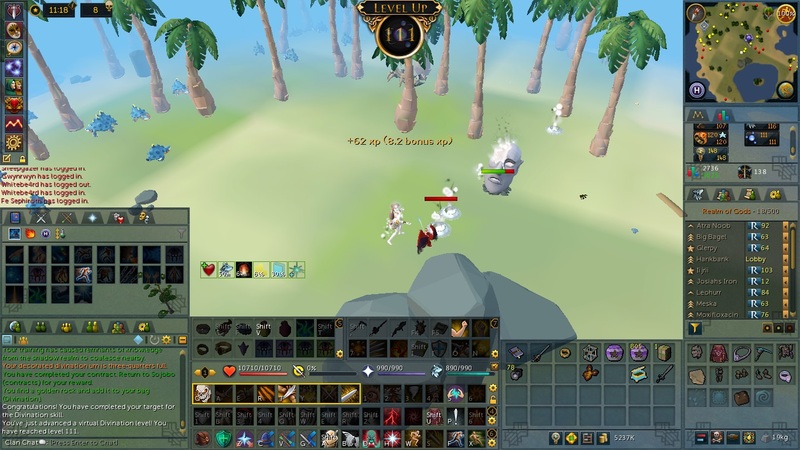 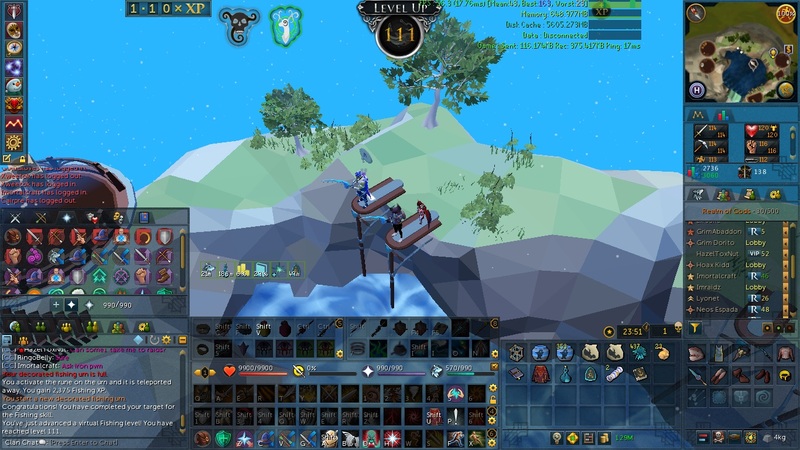 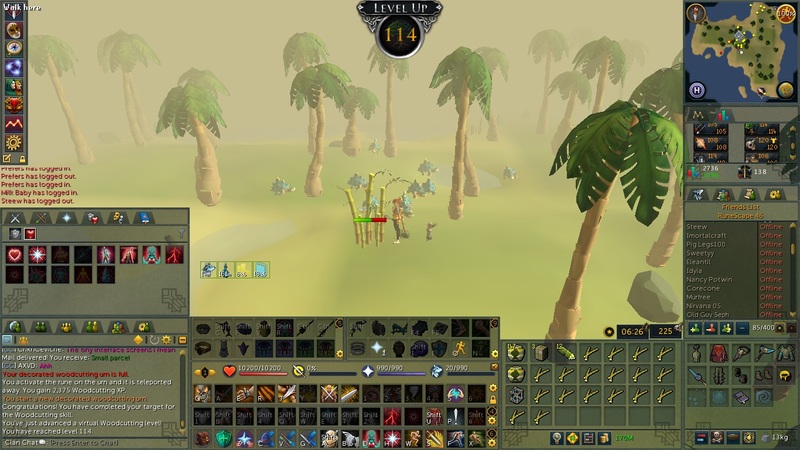 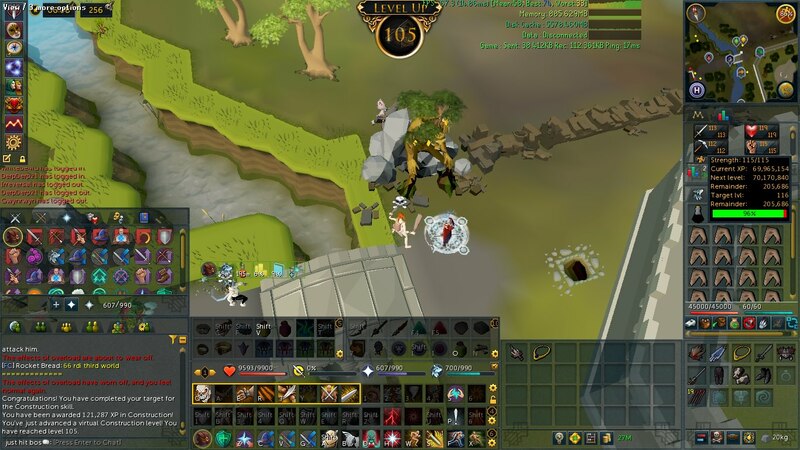 I'm aiming to do about 400 chompies each night now which should have me done the requirement in around a week, then I'll slowly camp KBD and just keep pvming for $ + afk skilling whenever I'm studying. 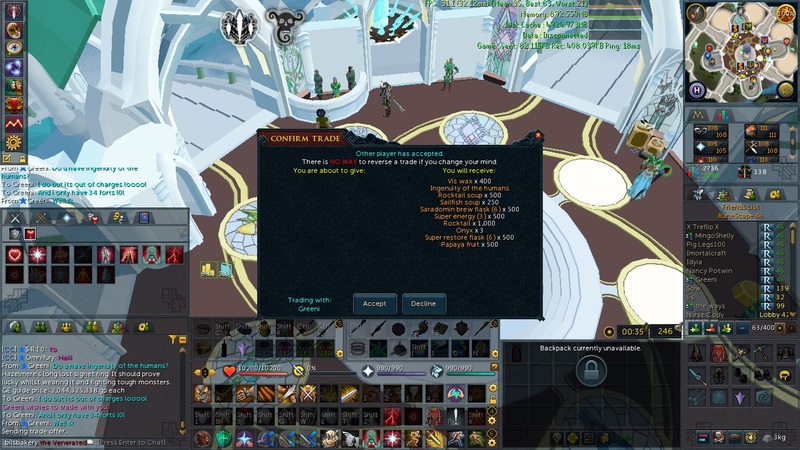 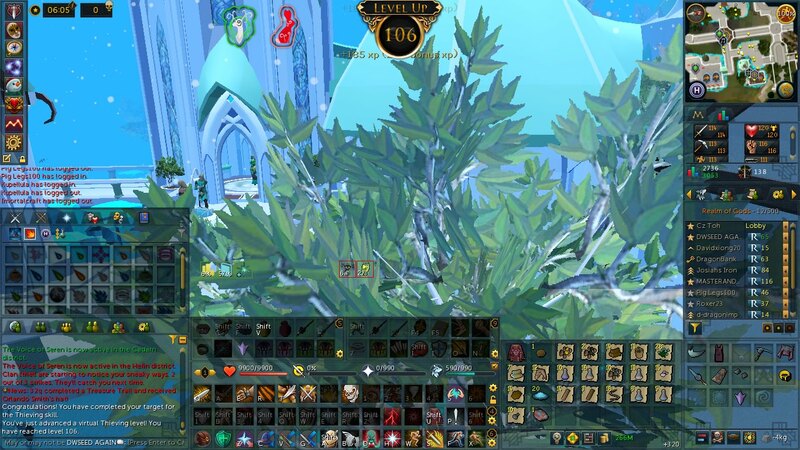 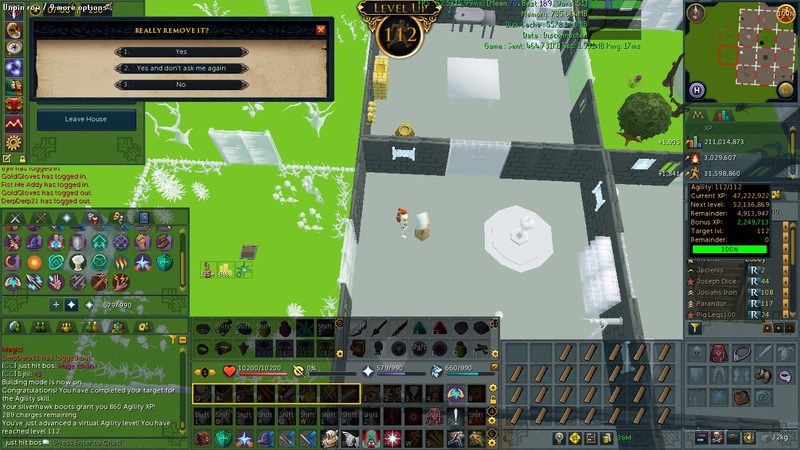 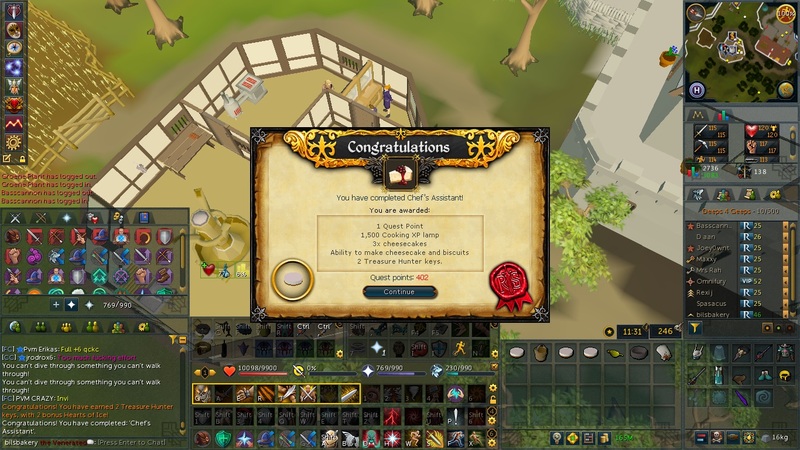 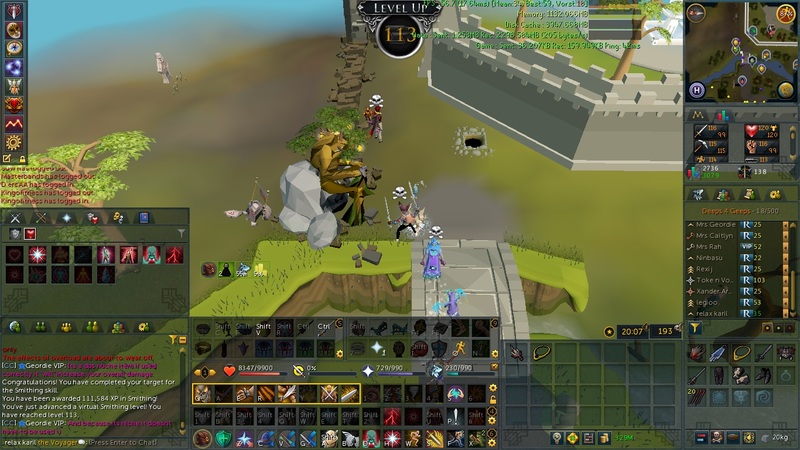 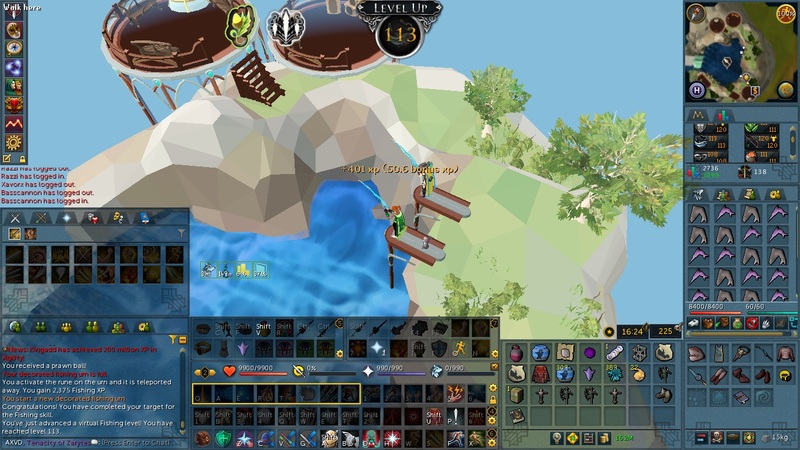 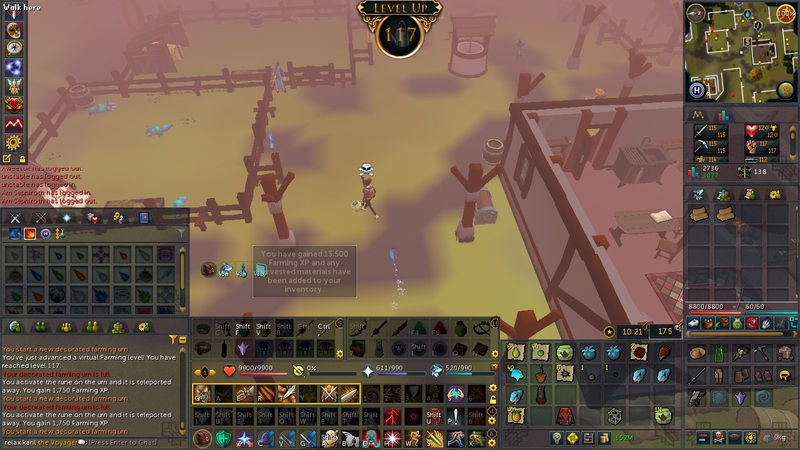 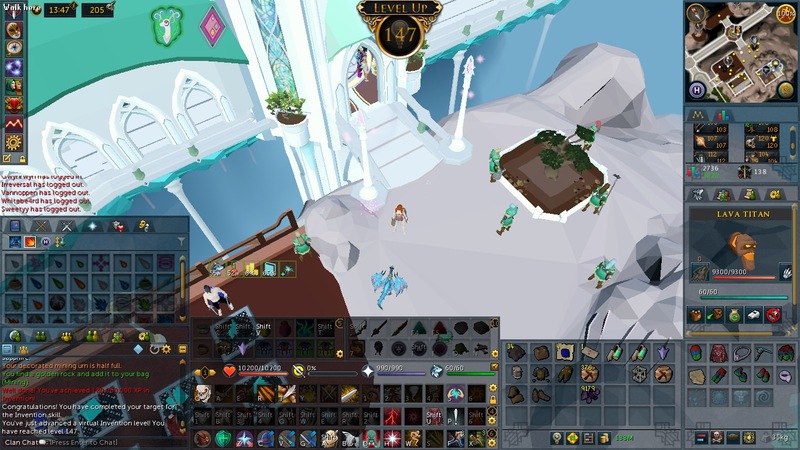 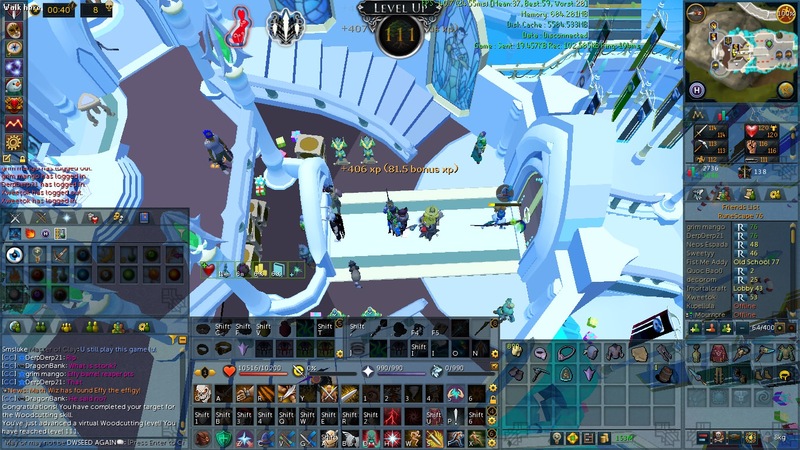 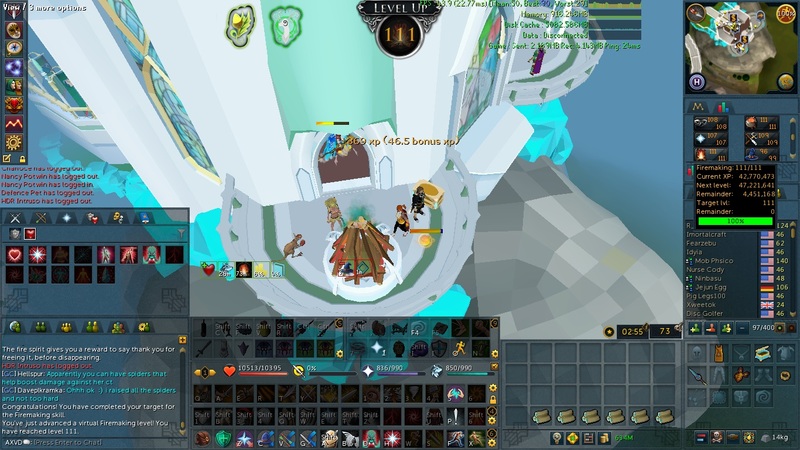 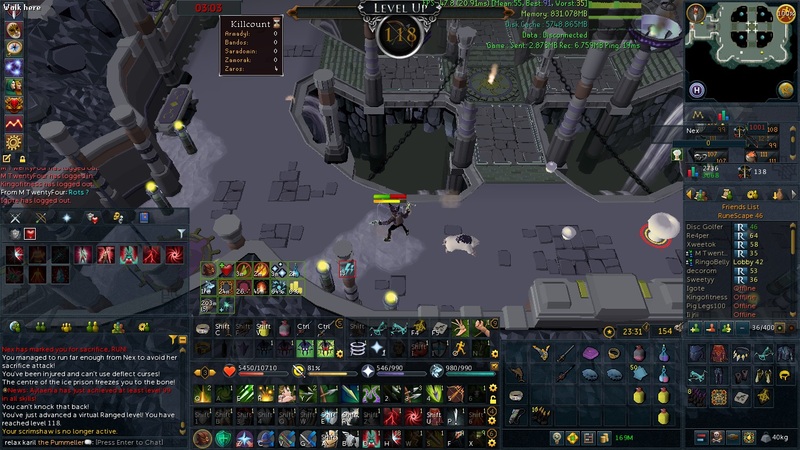 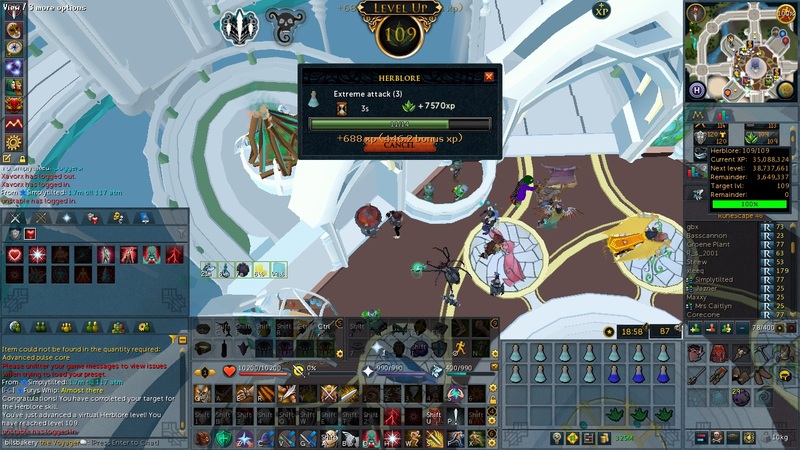 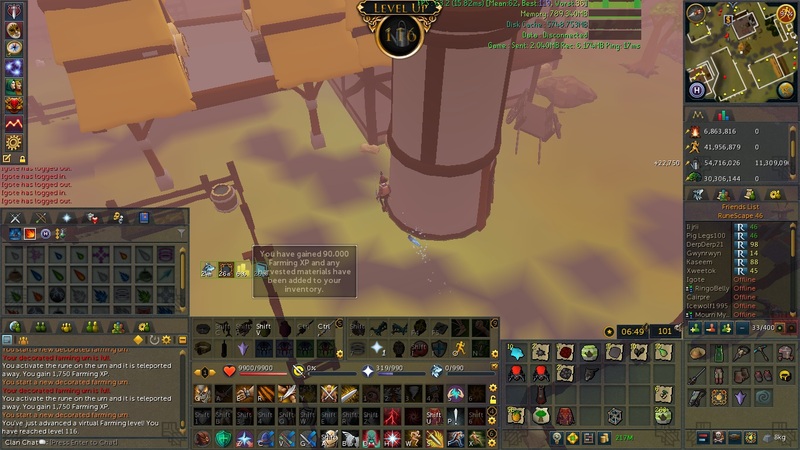 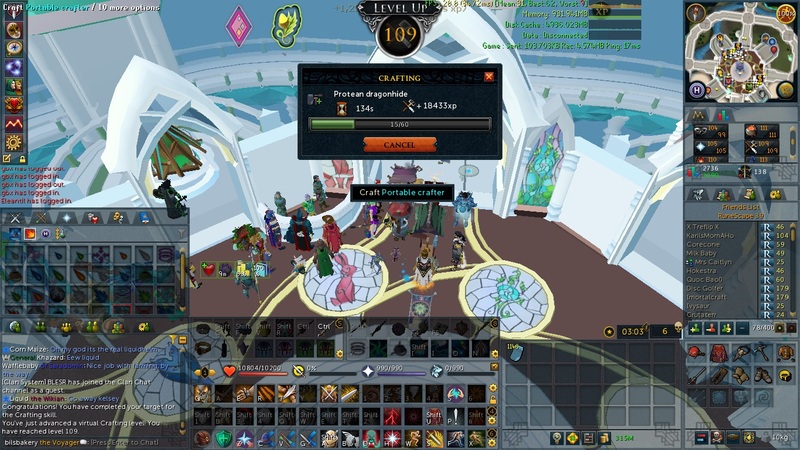 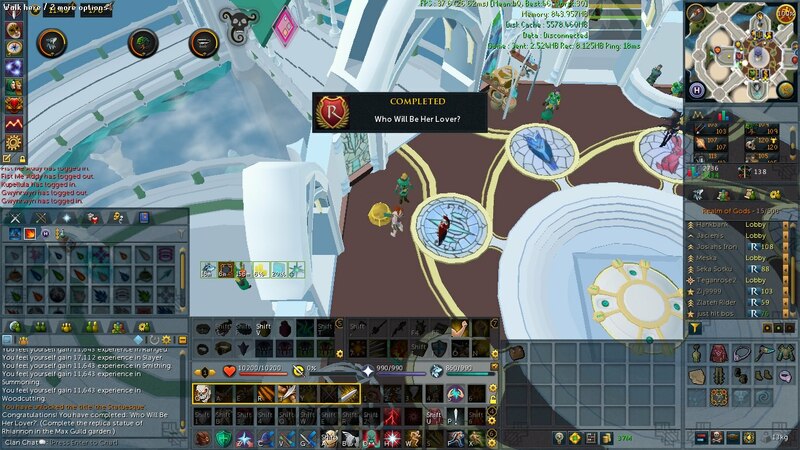 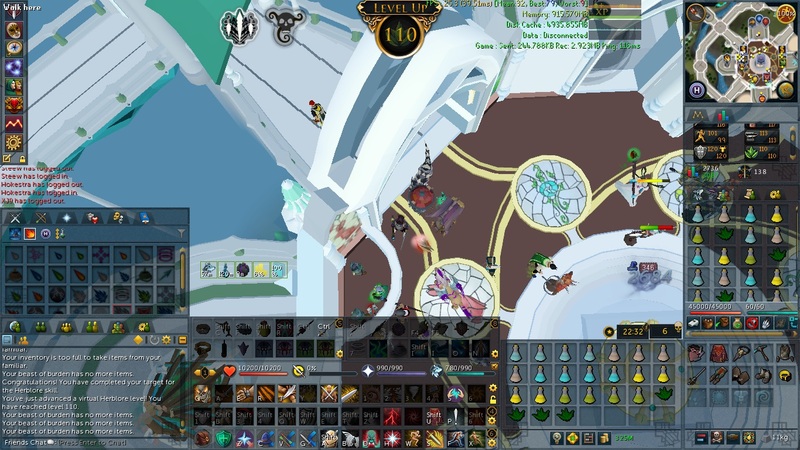 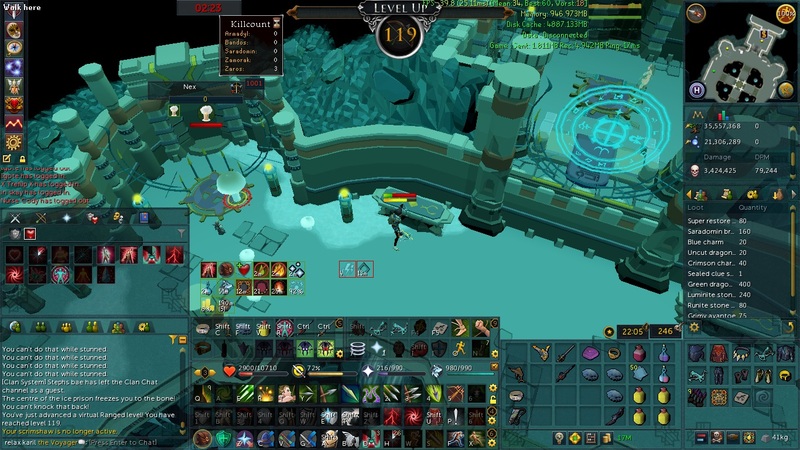 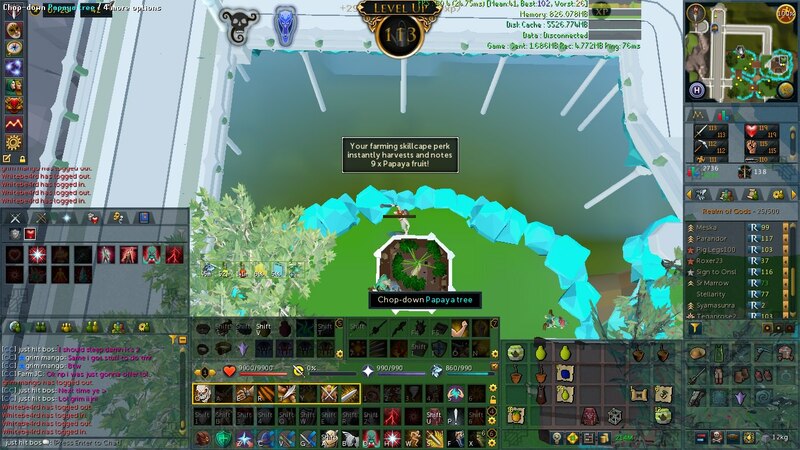 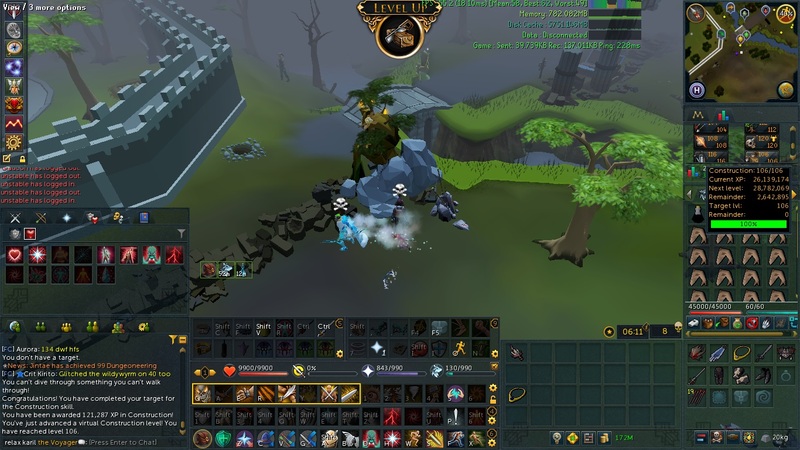 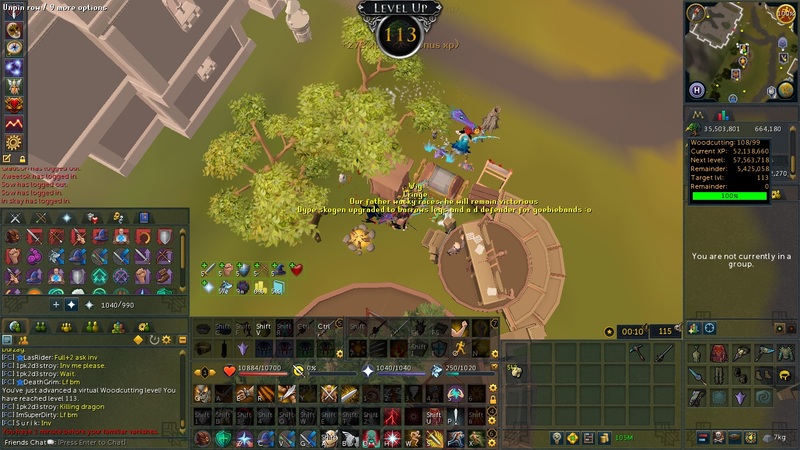 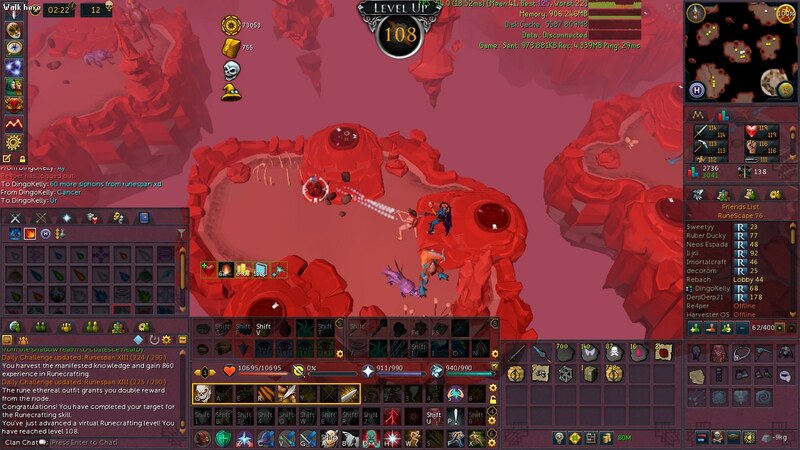 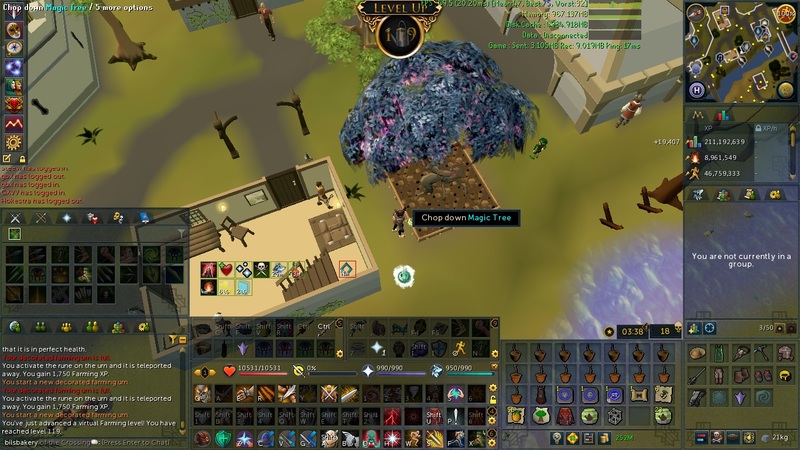 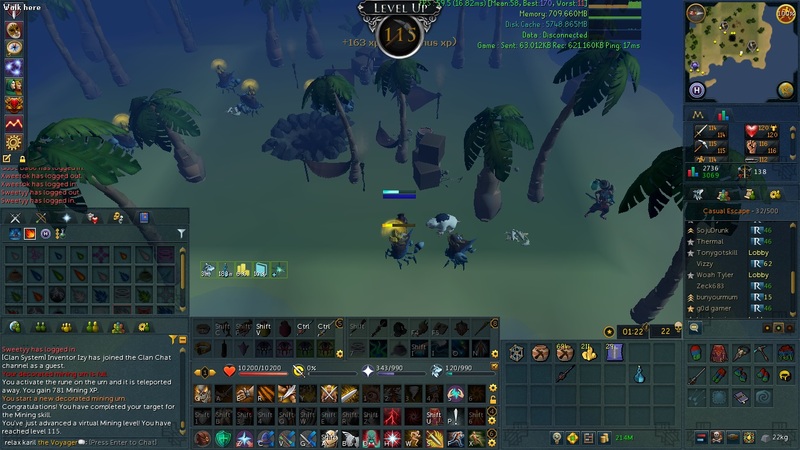 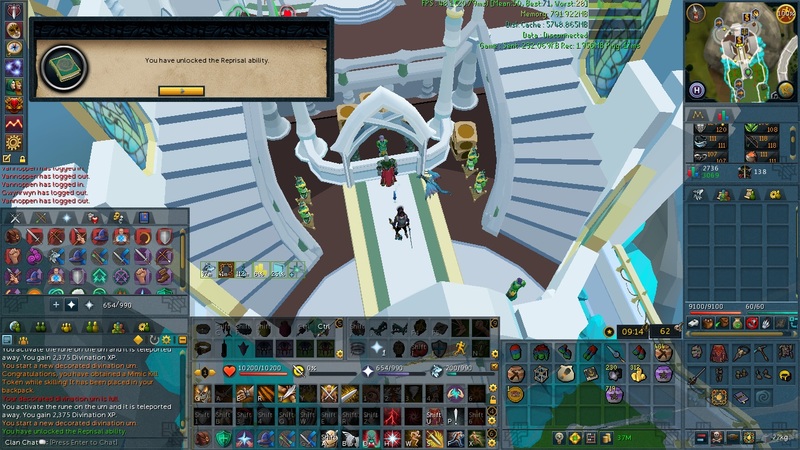 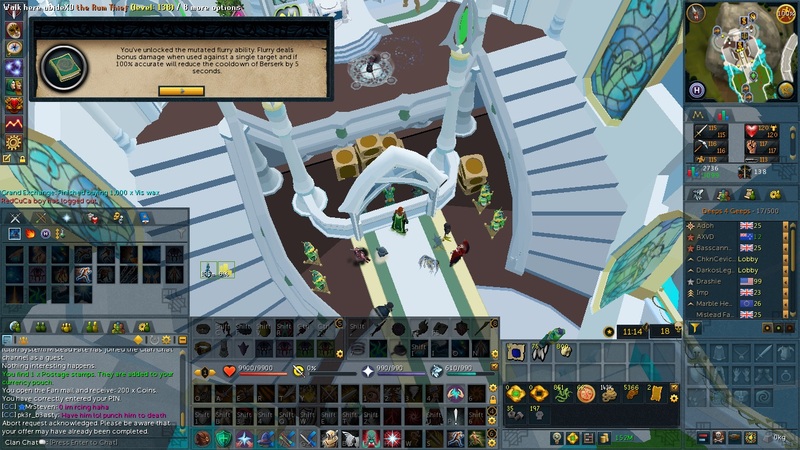 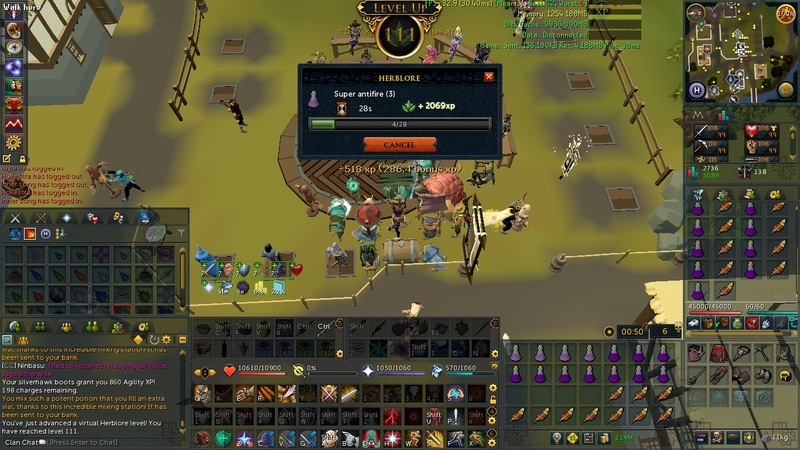 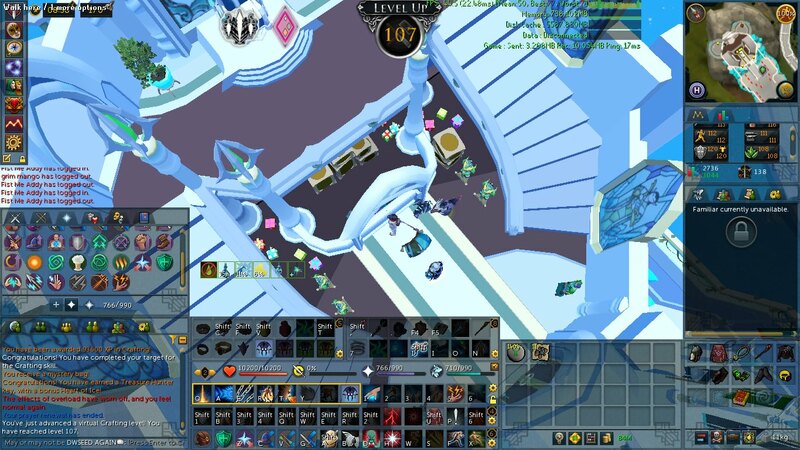 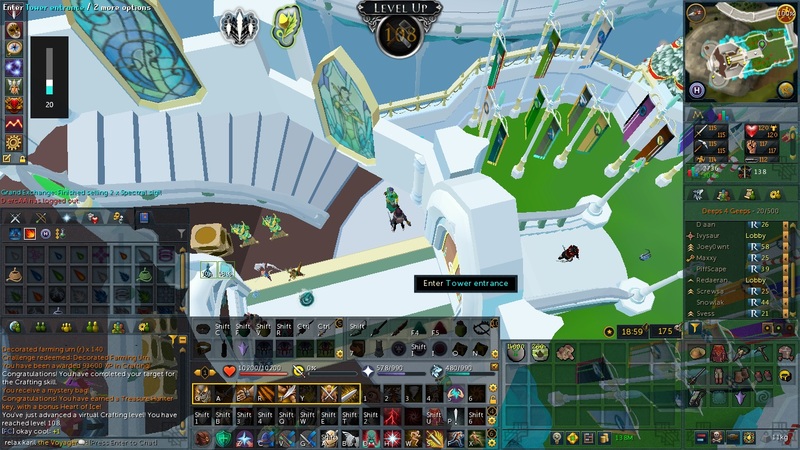 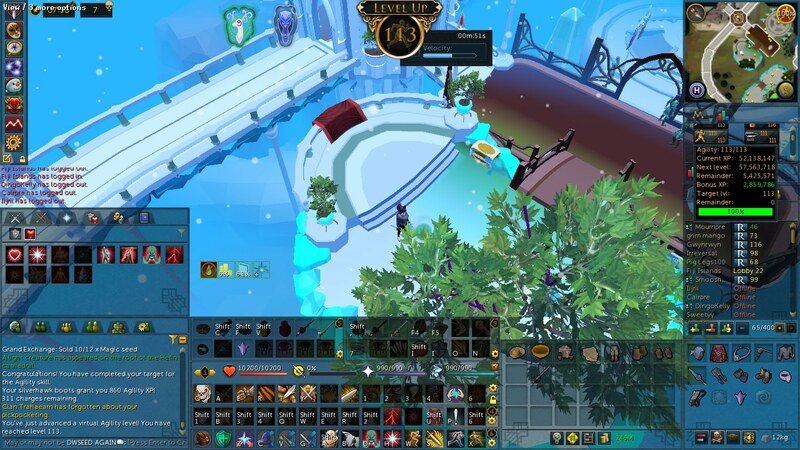 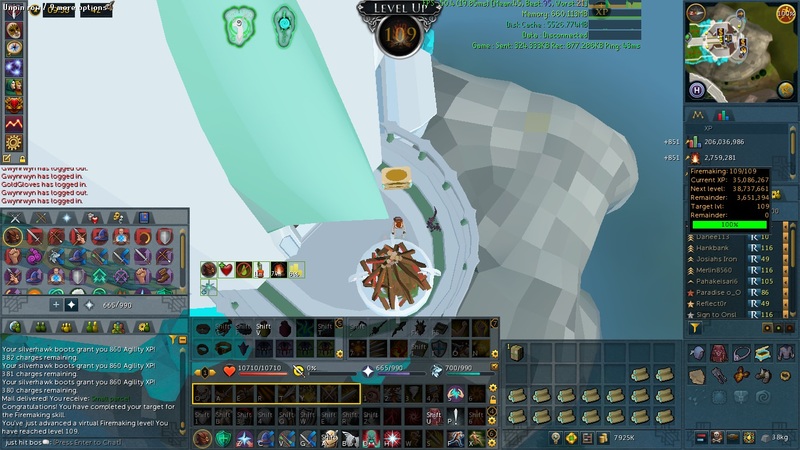 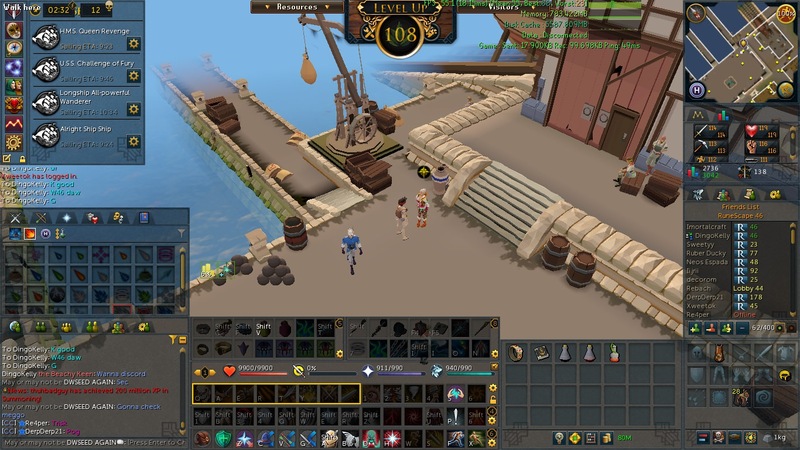 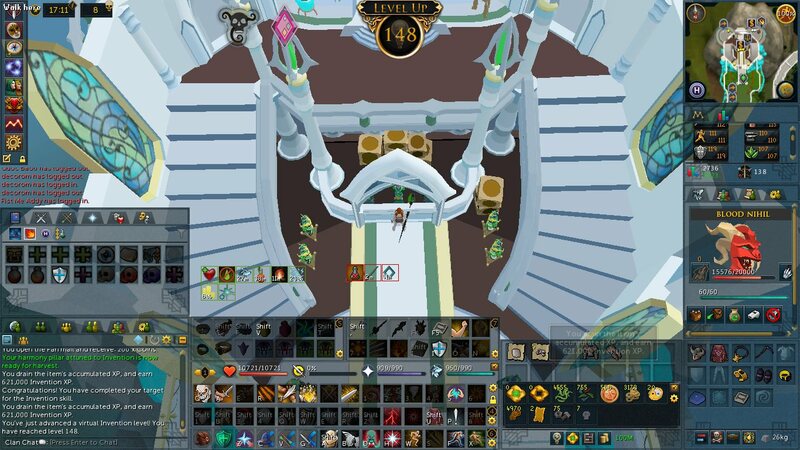 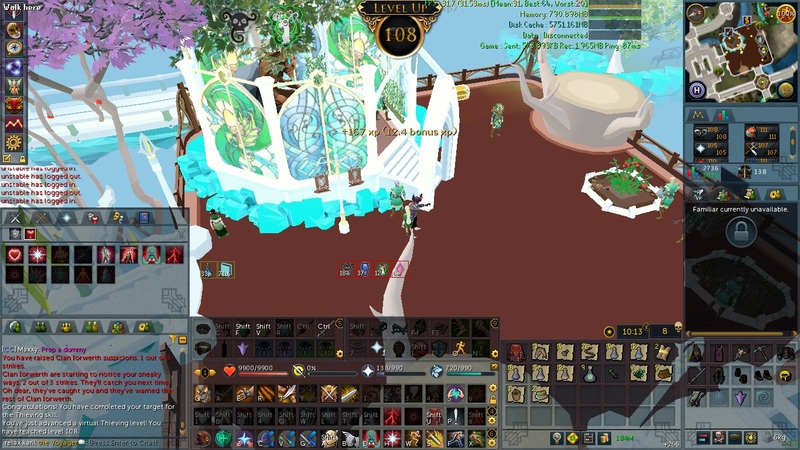 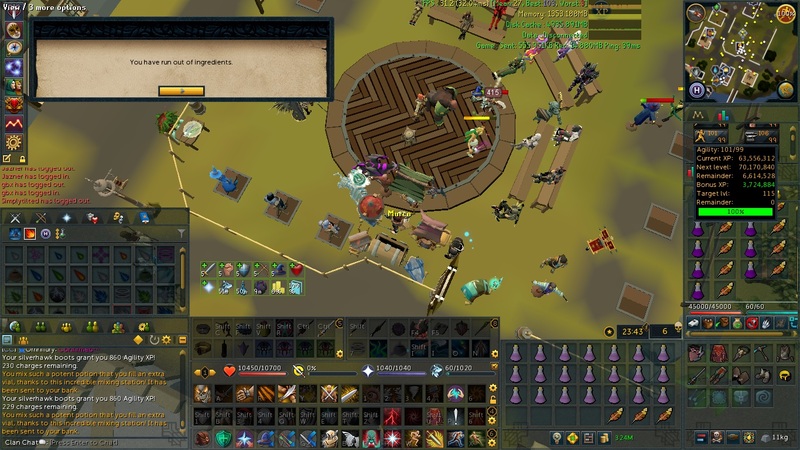 T99 ranged prayer unlocked though, Nex gonna be much more hittable now! 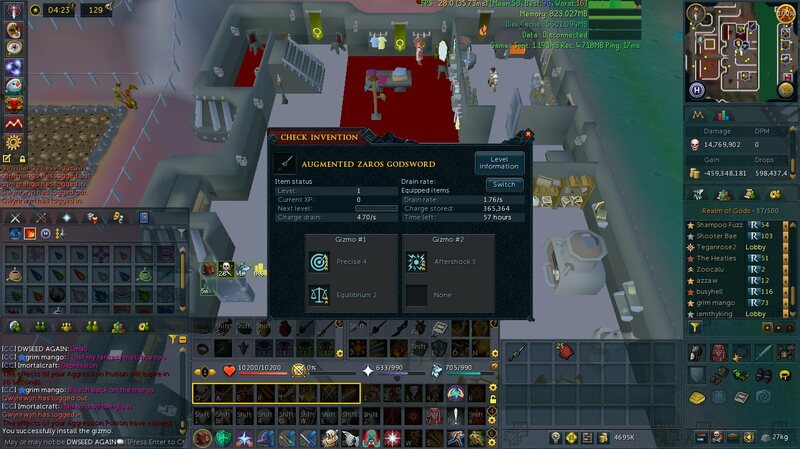 Next big item I'm going for is ZGS and probably SGB after that.